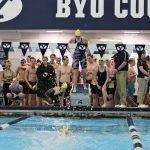 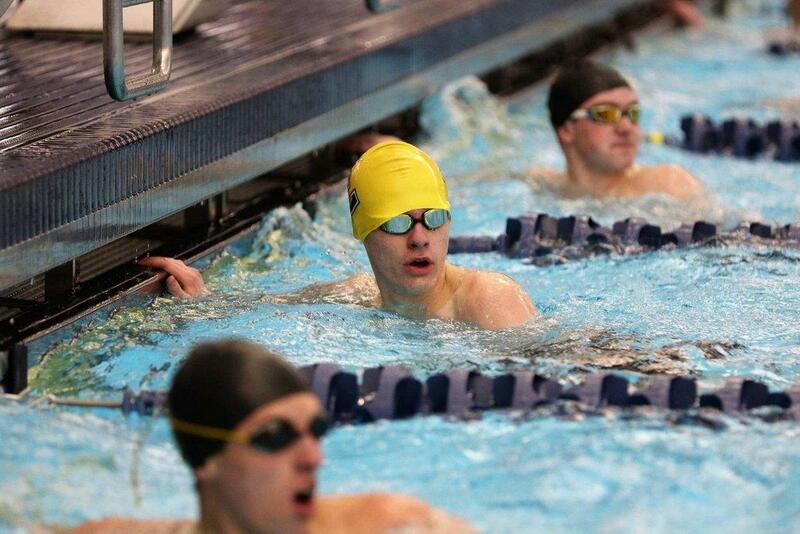 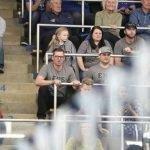 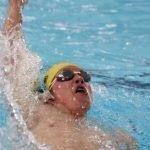 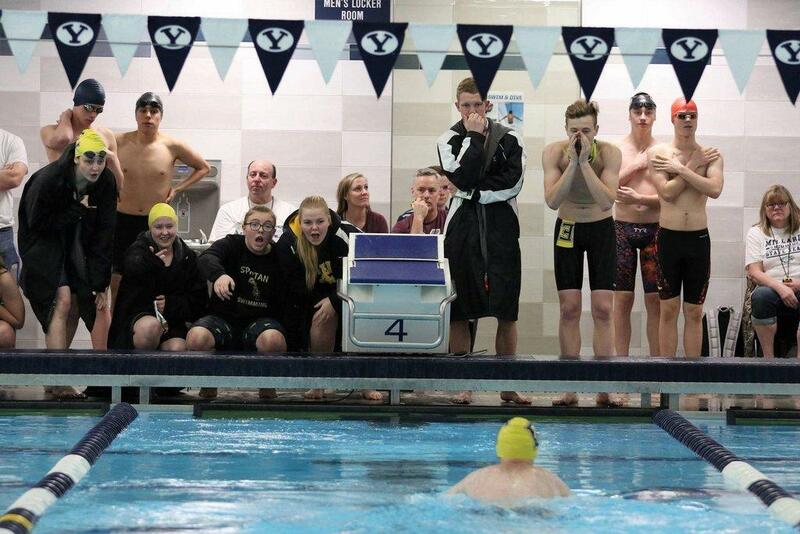 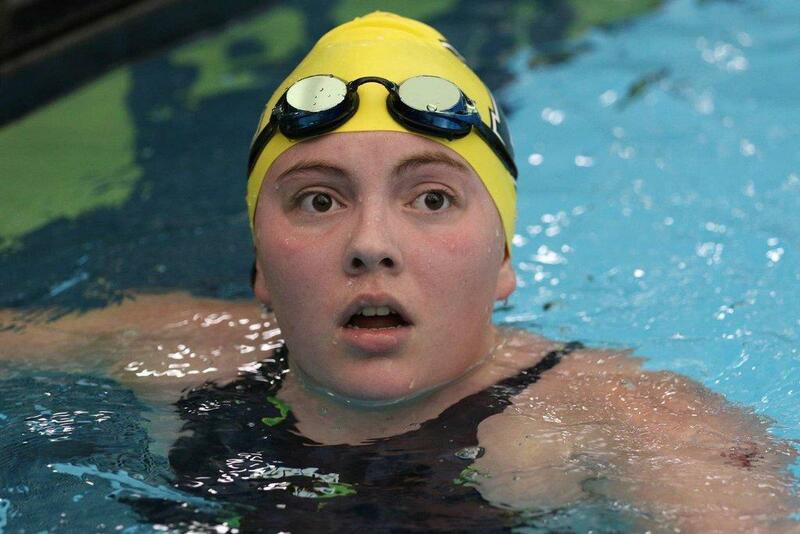 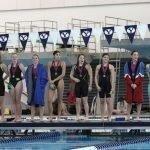 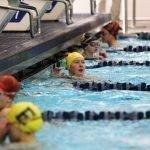 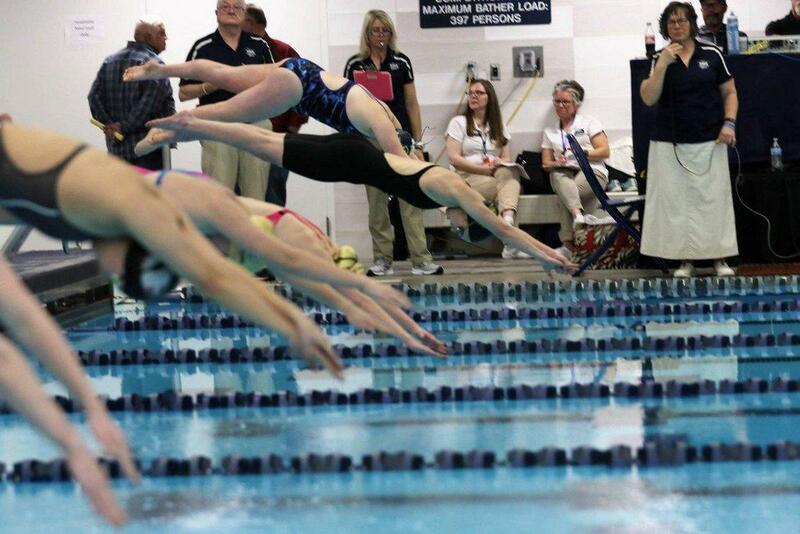 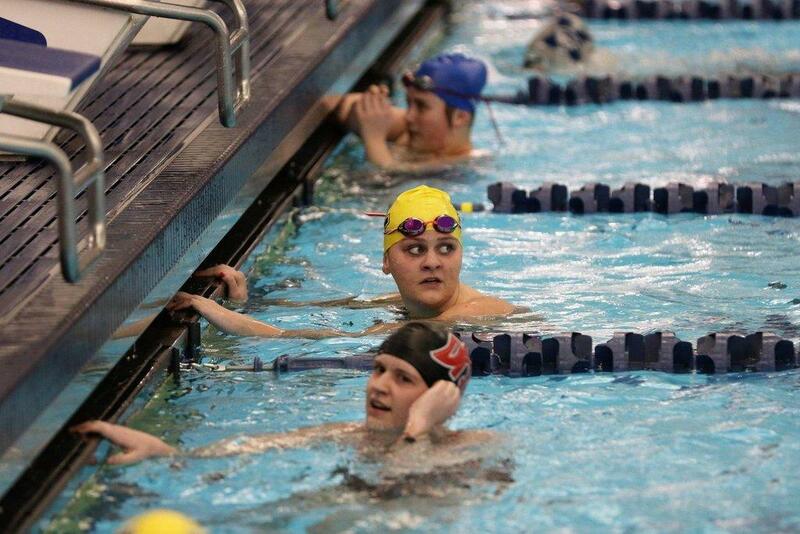 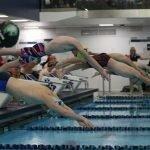 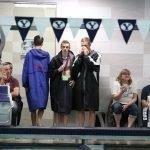 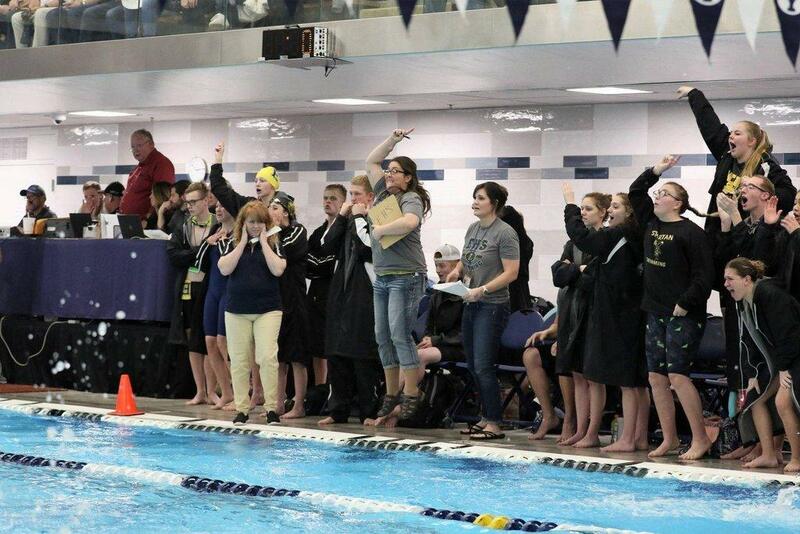 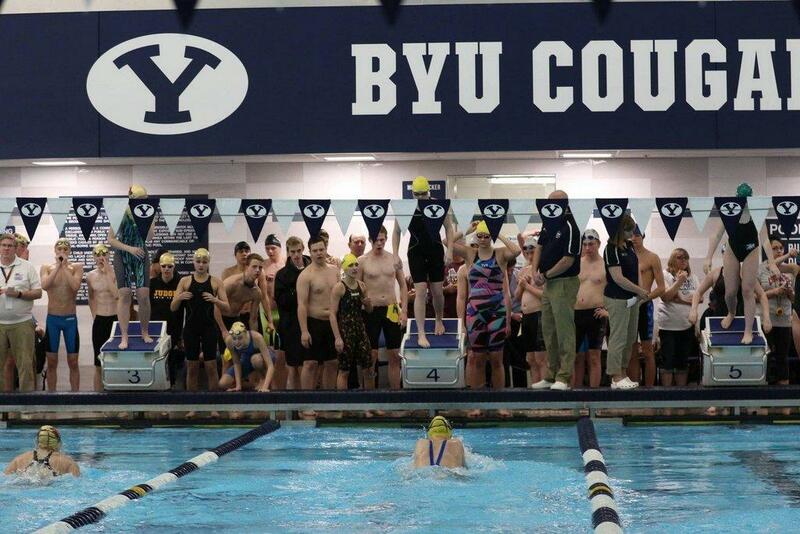 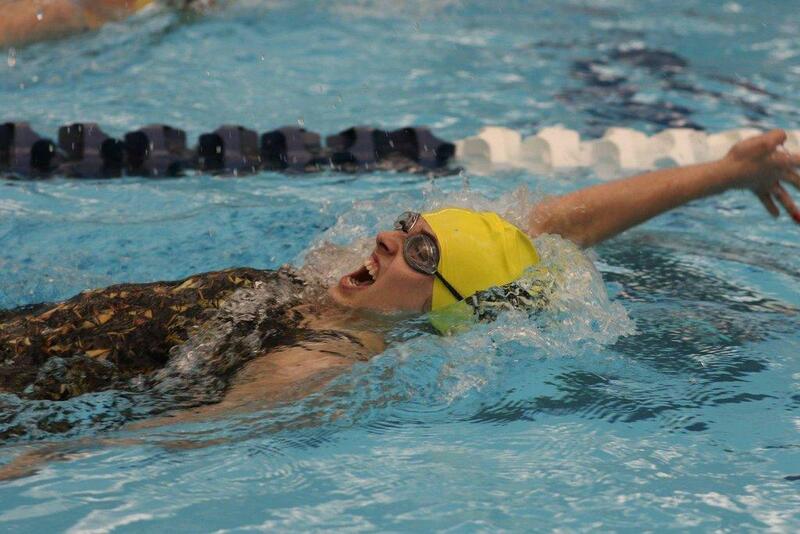 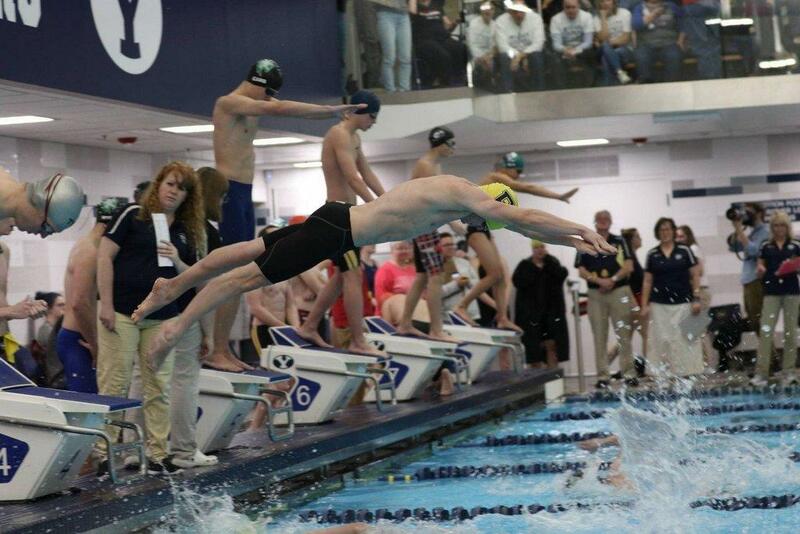 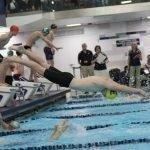 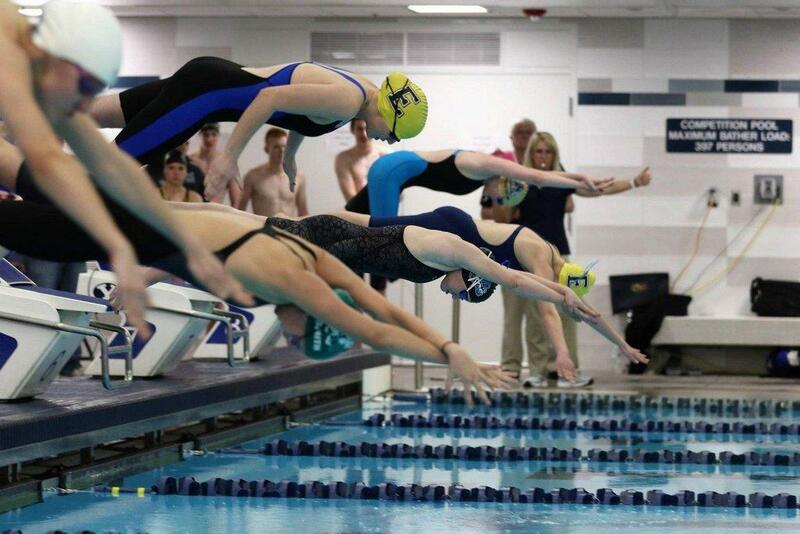 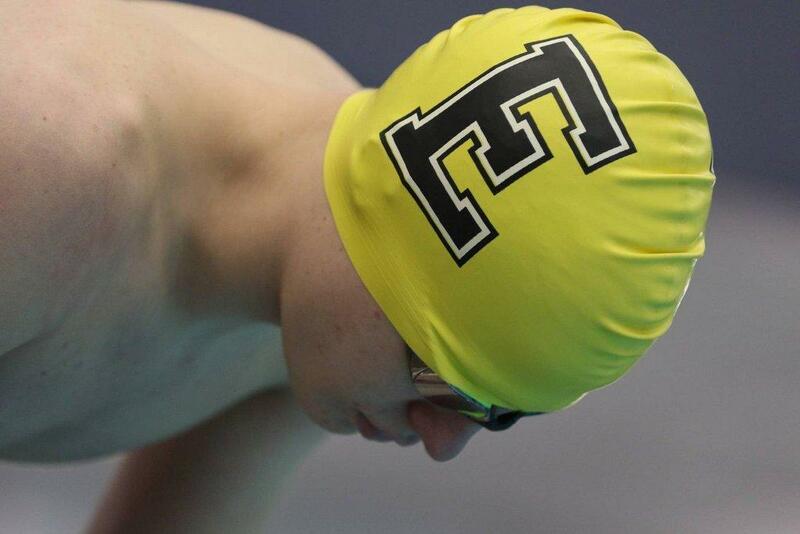 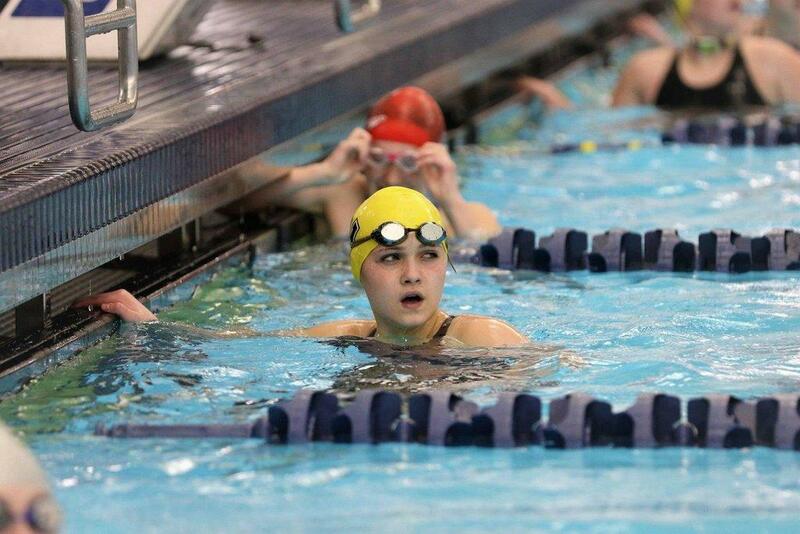 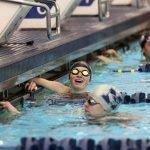 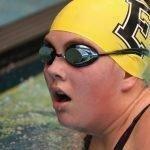 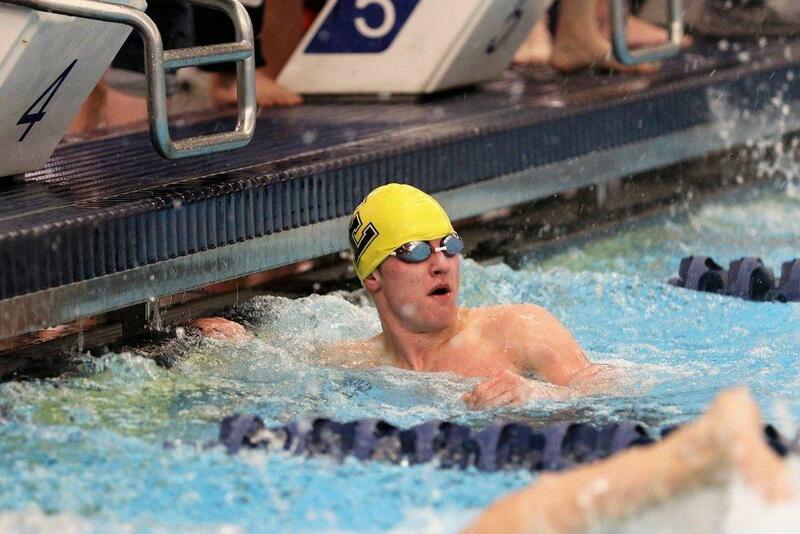 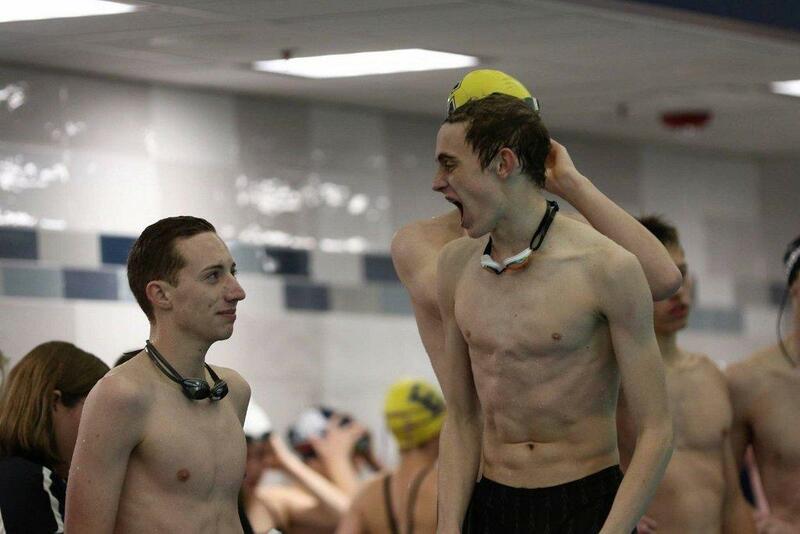 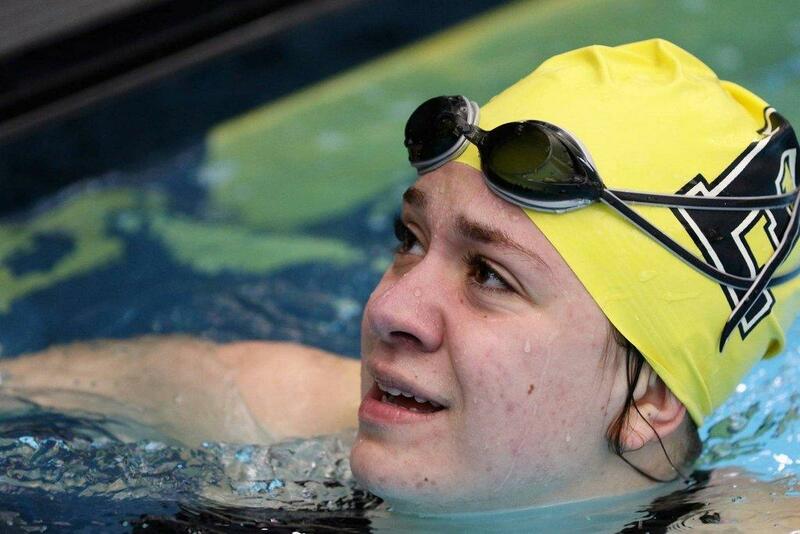 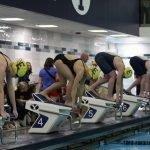 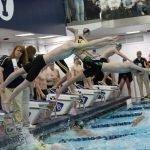 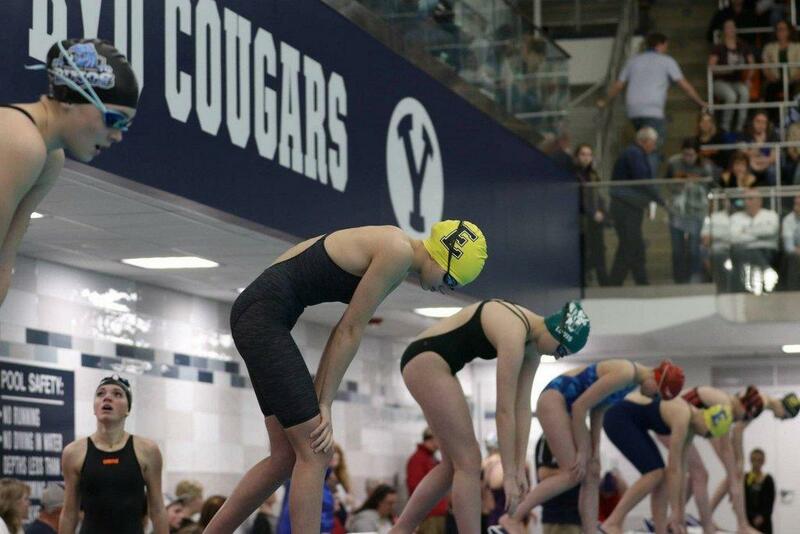 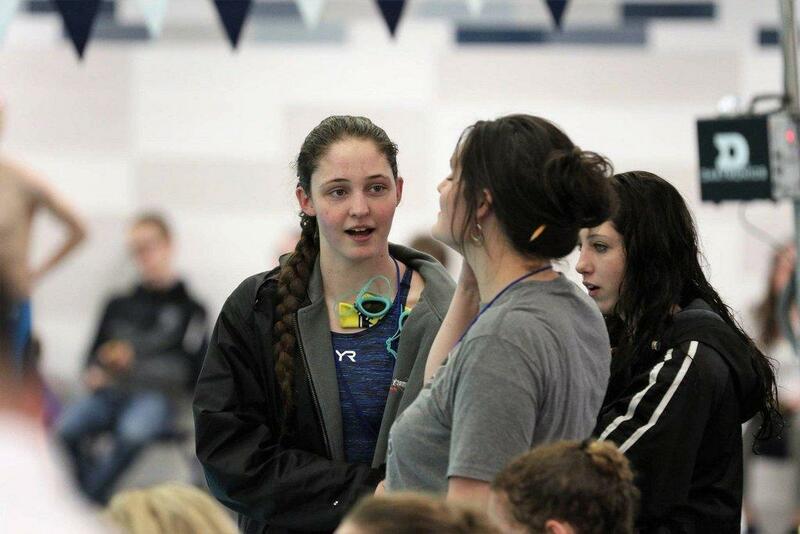 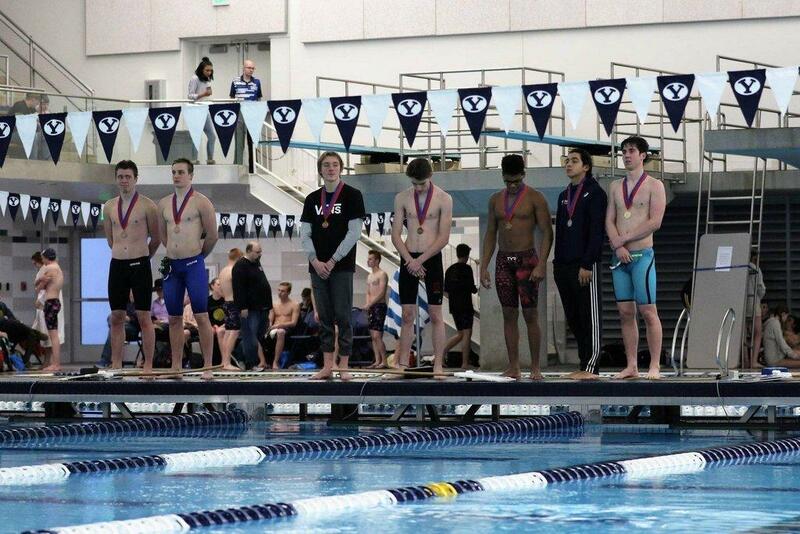 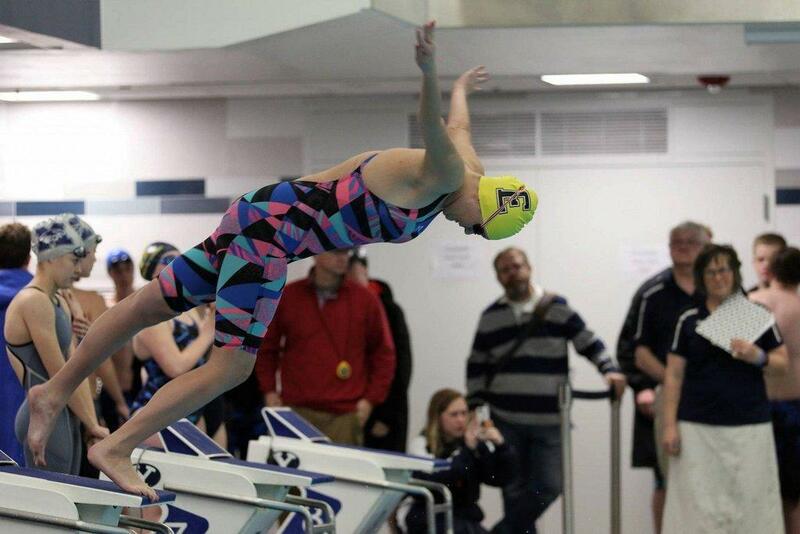 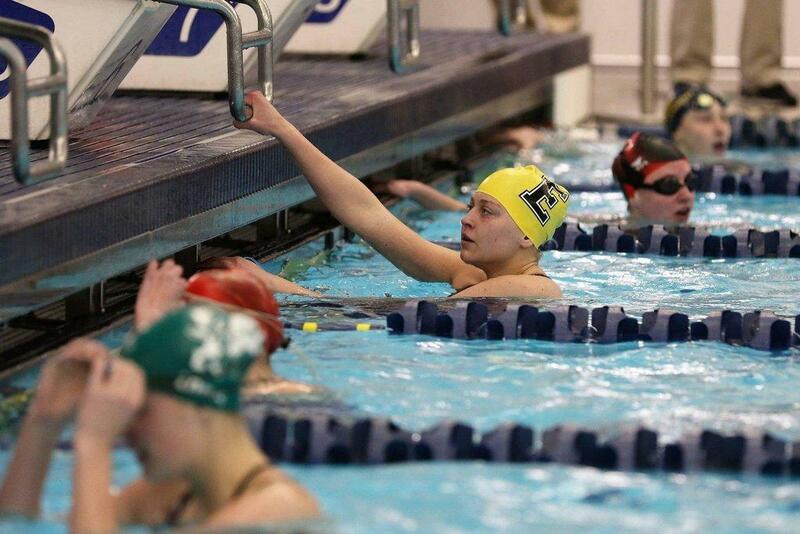 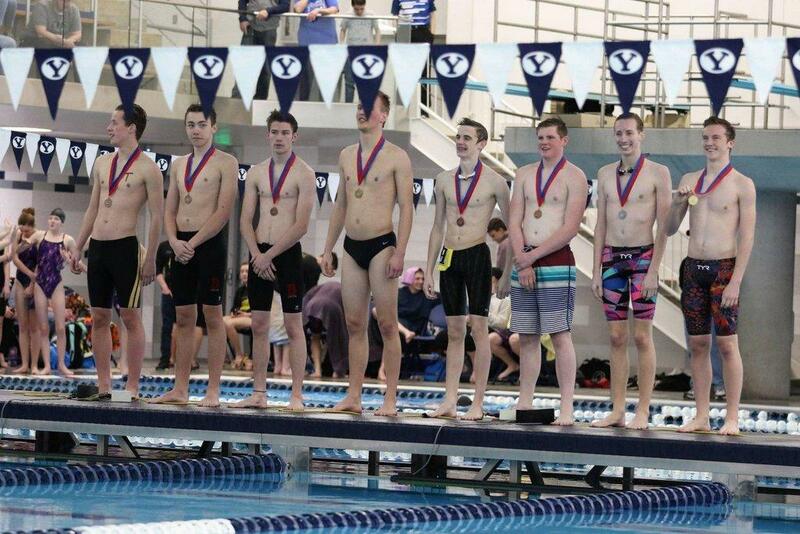 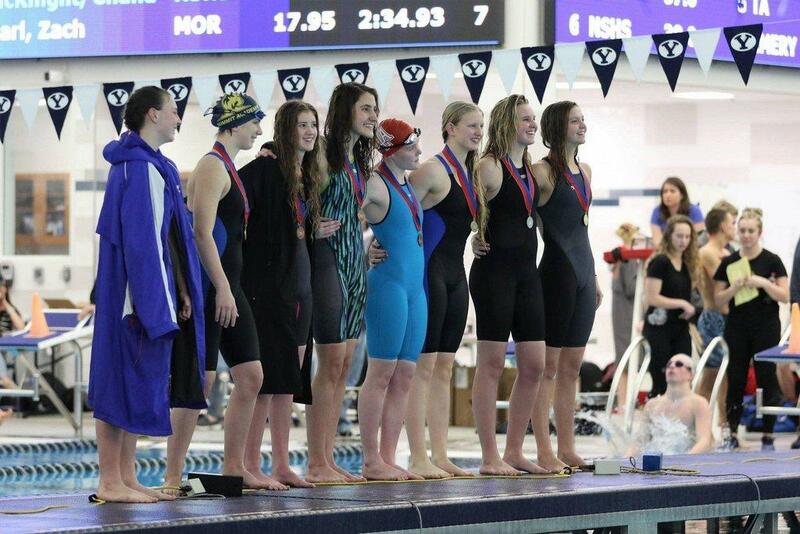 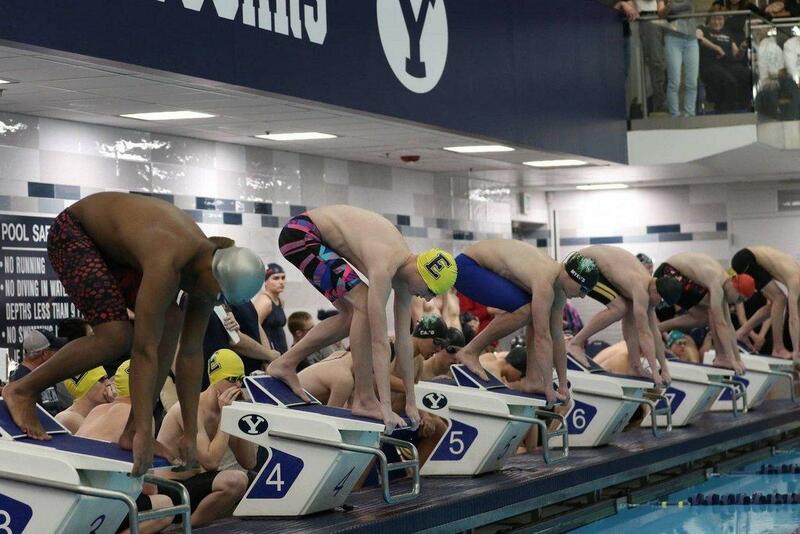 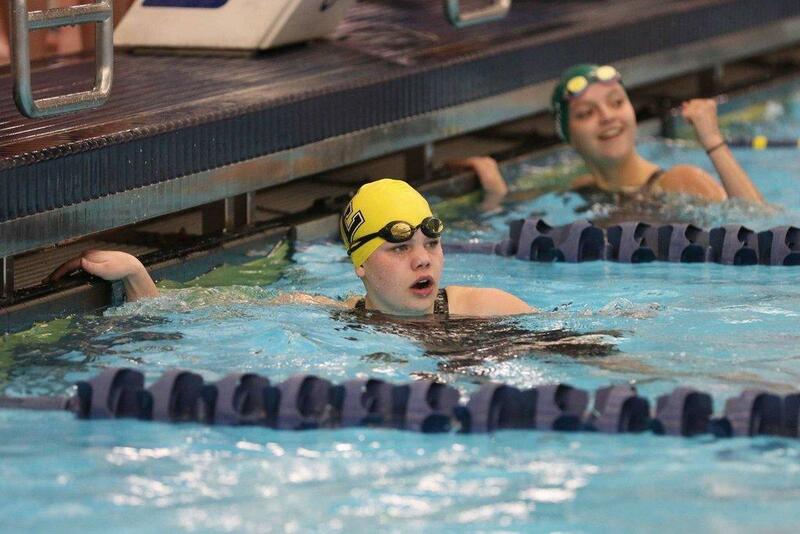 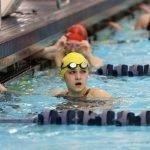 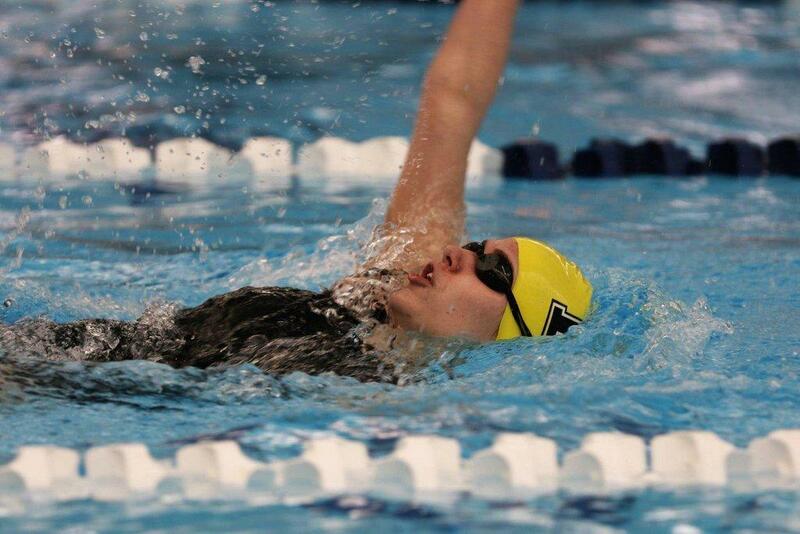 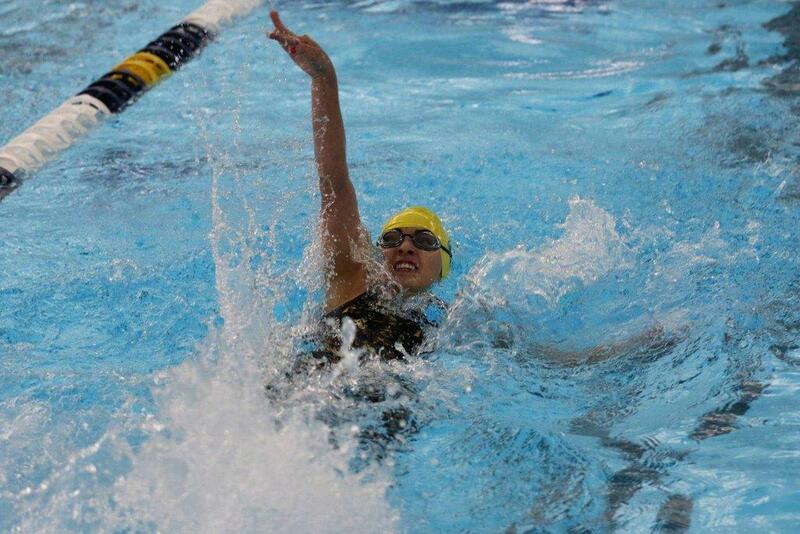 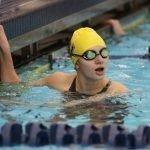 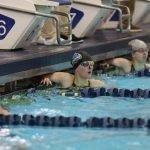 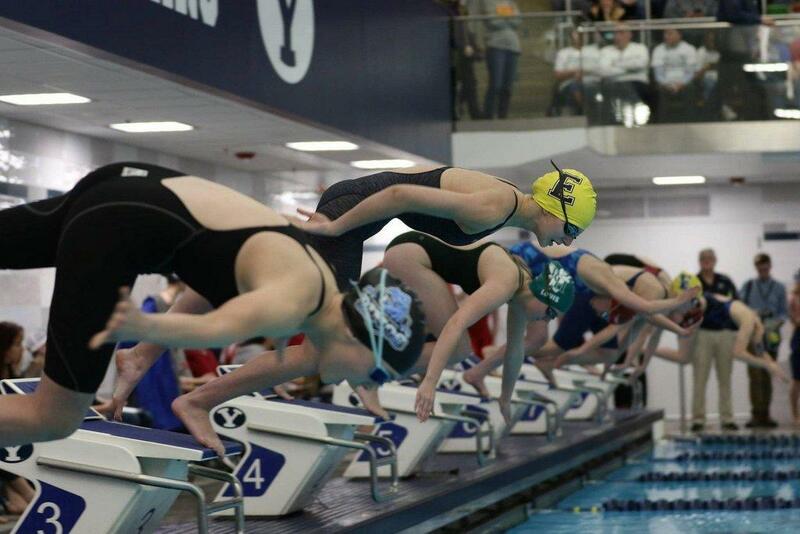 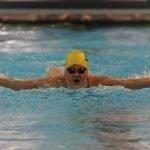 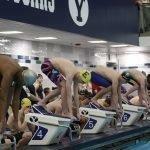 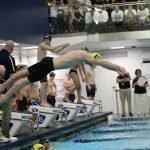 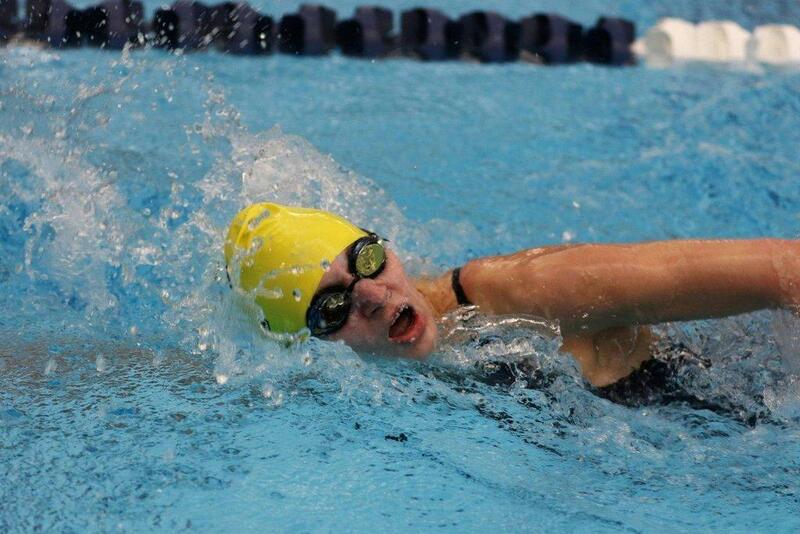 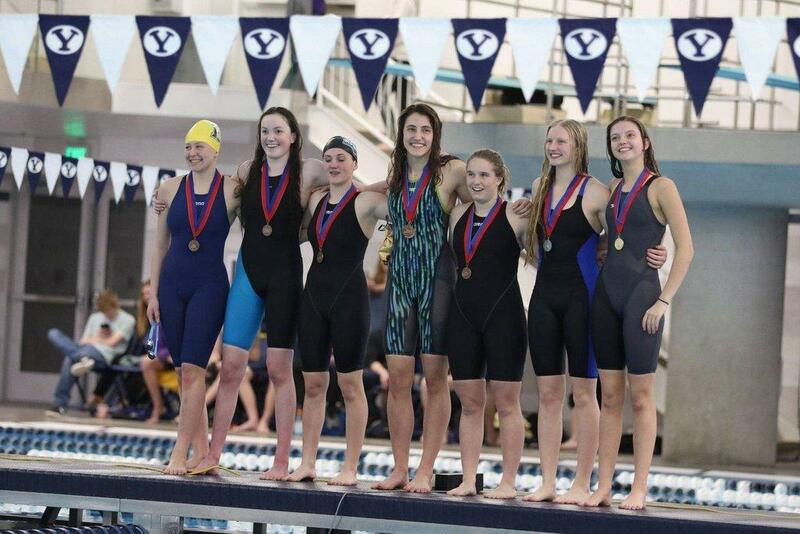 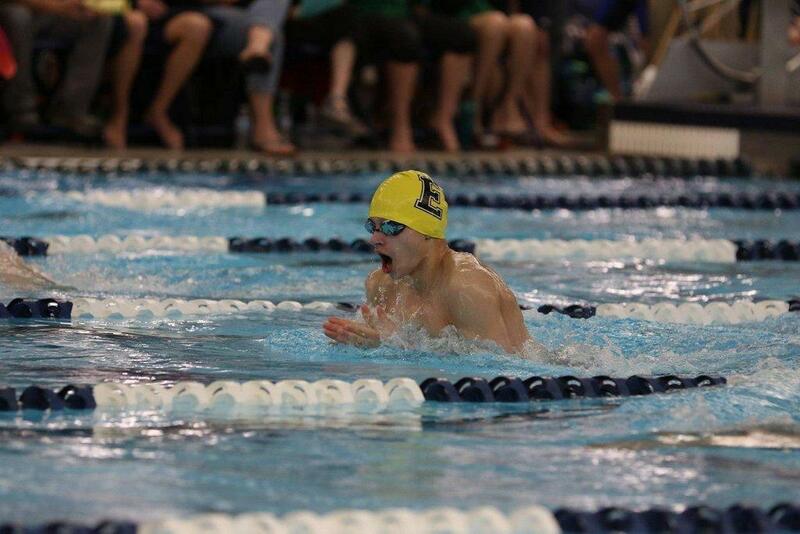 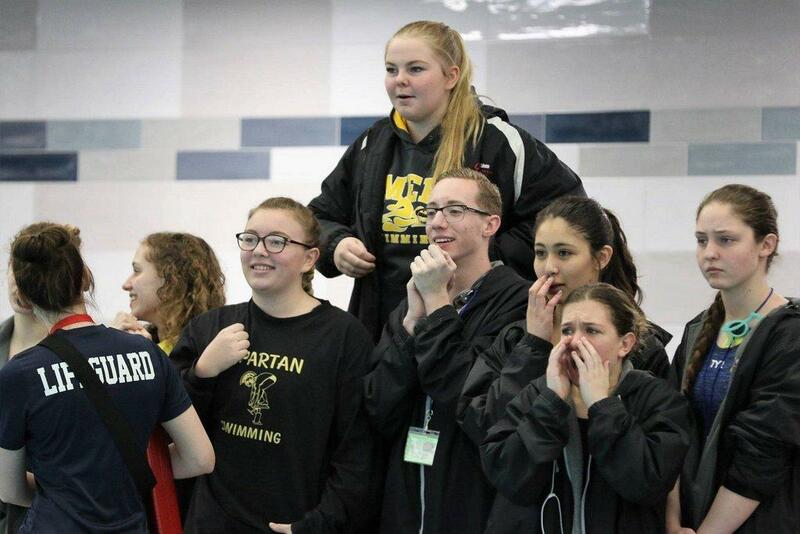 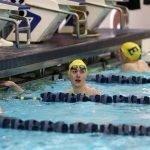 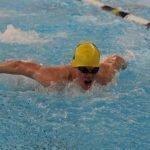 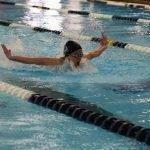 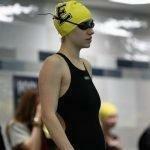 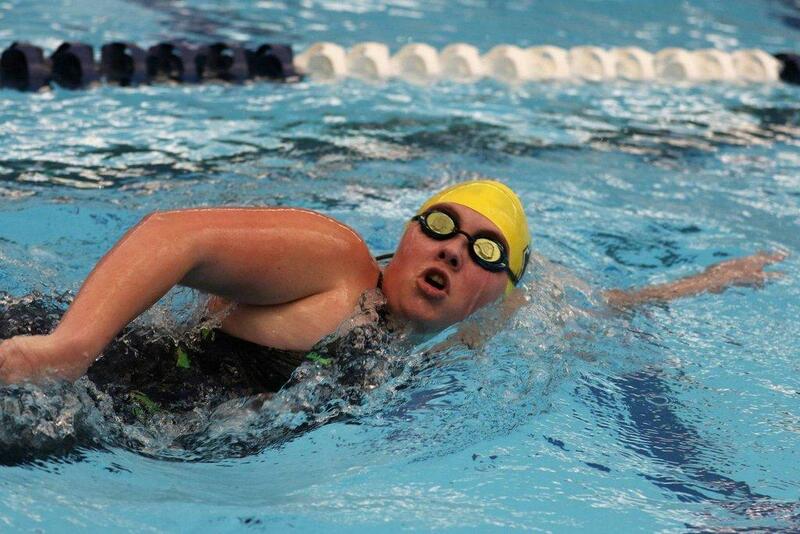 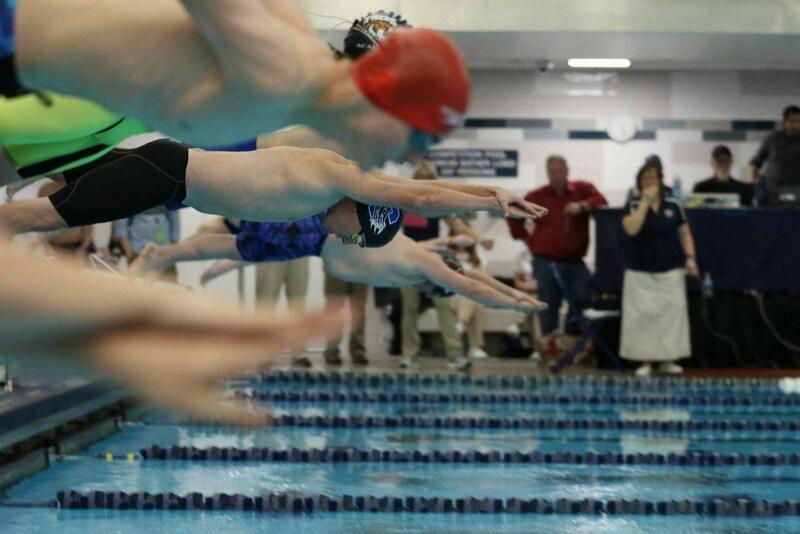 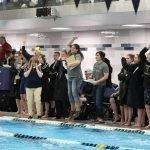 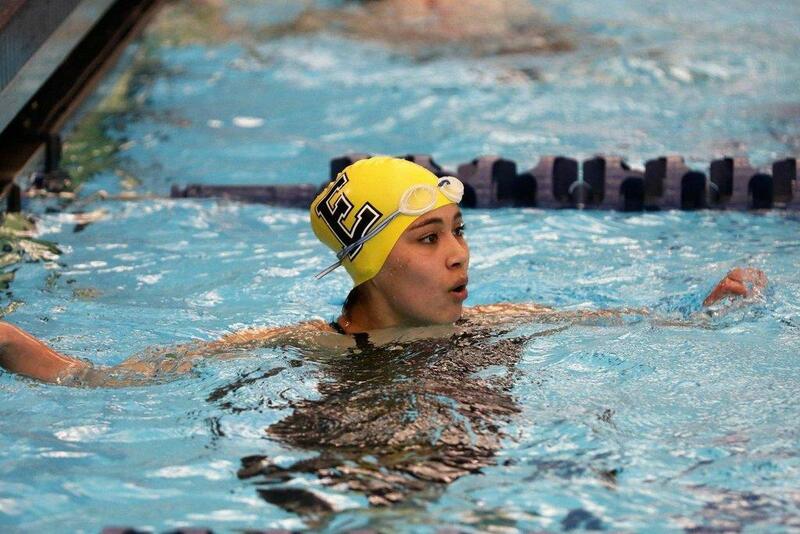 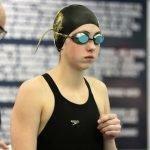 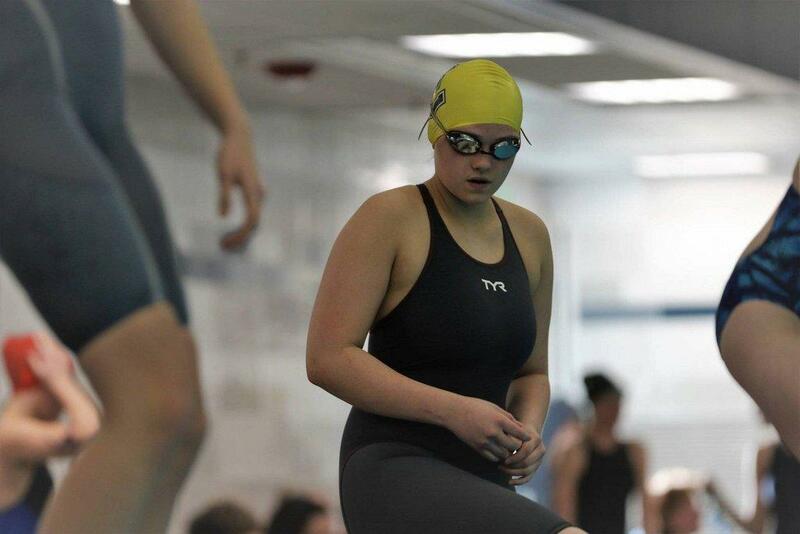 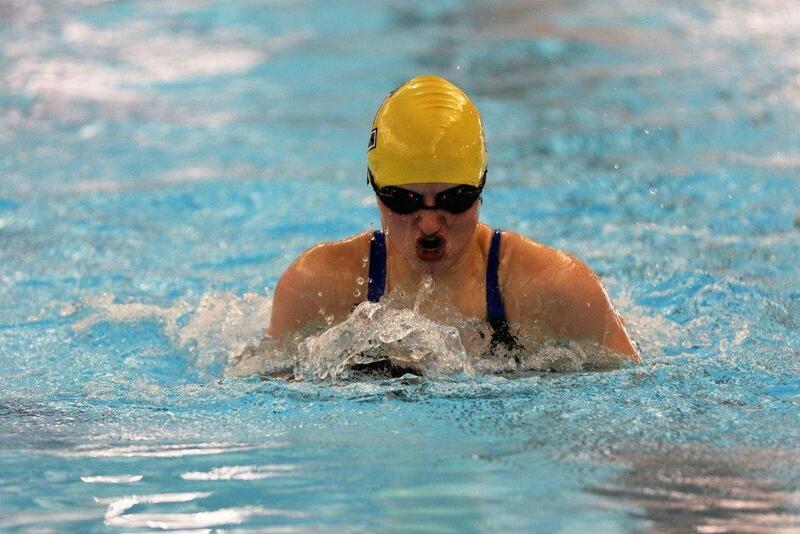 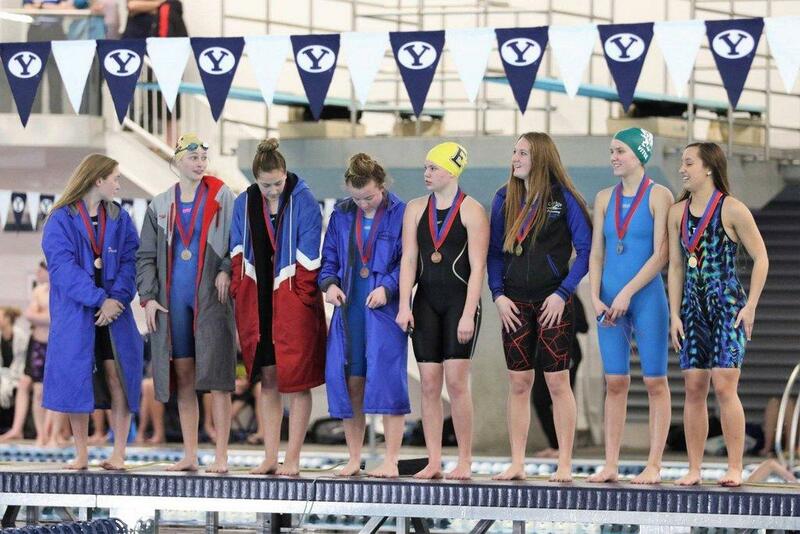 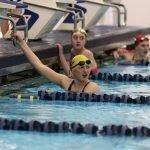 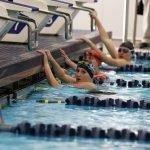 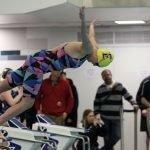 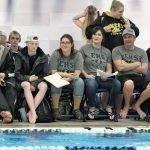 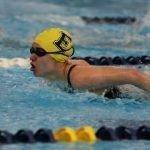 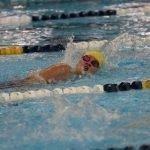 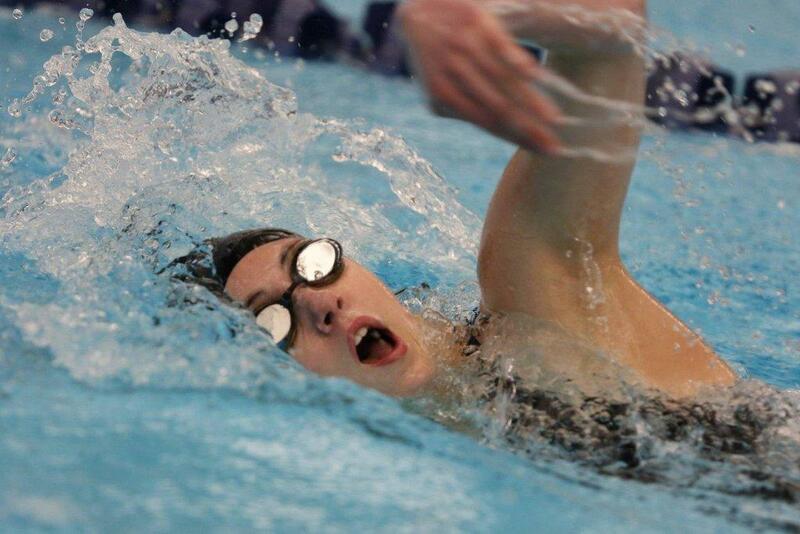 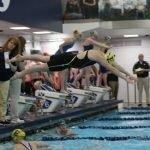 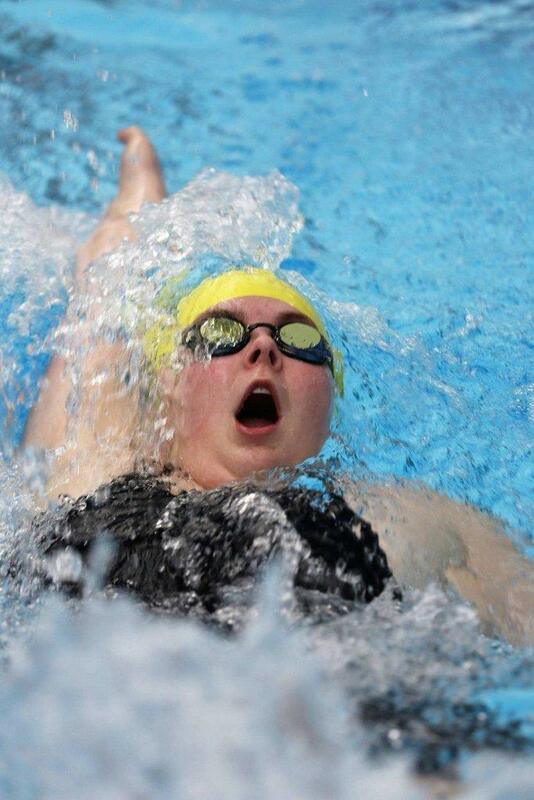 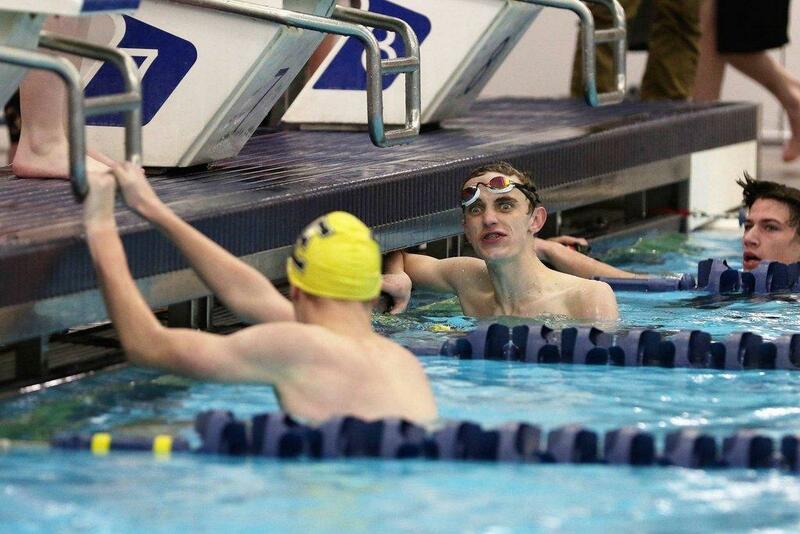 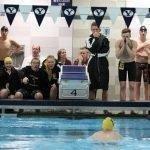 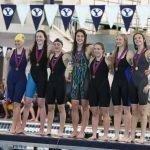 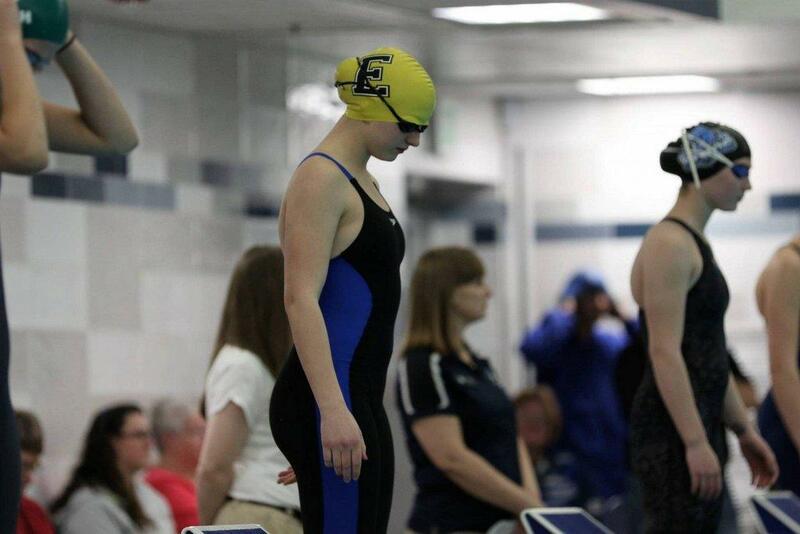 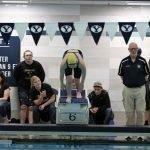 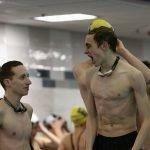 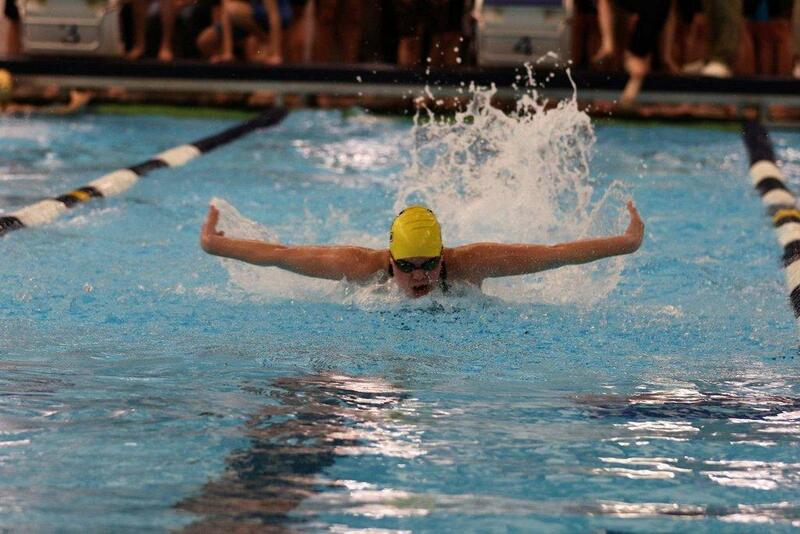 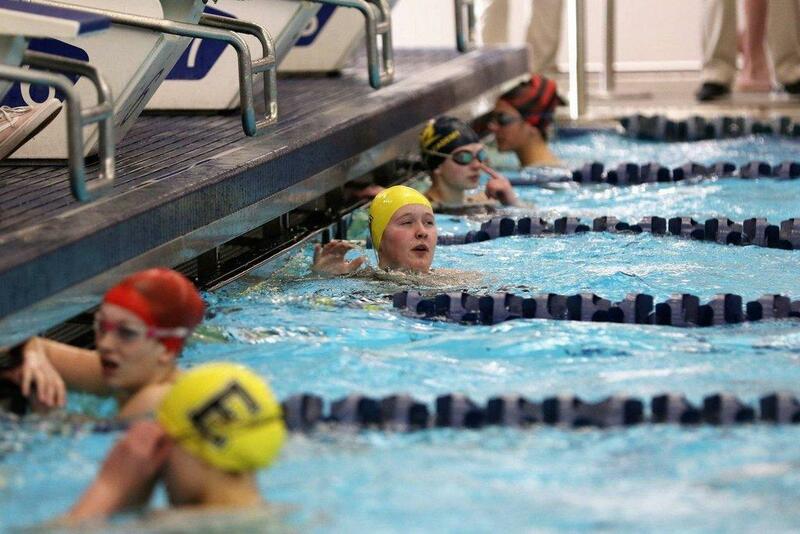 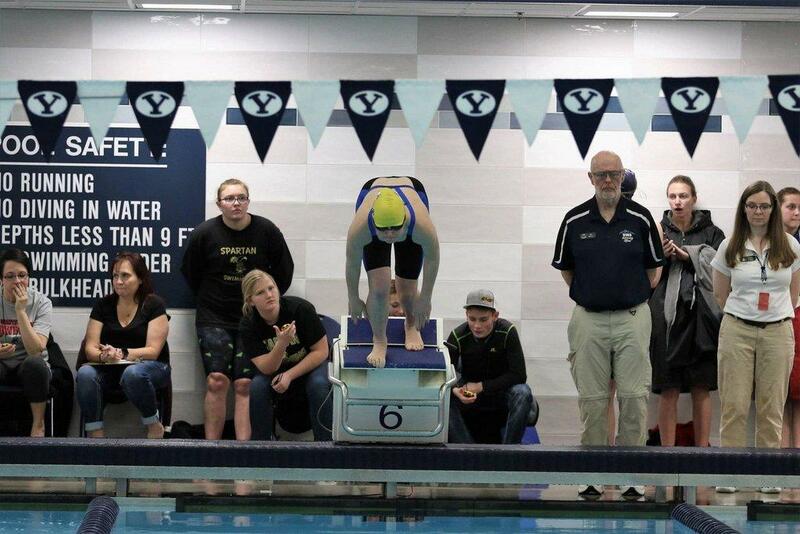 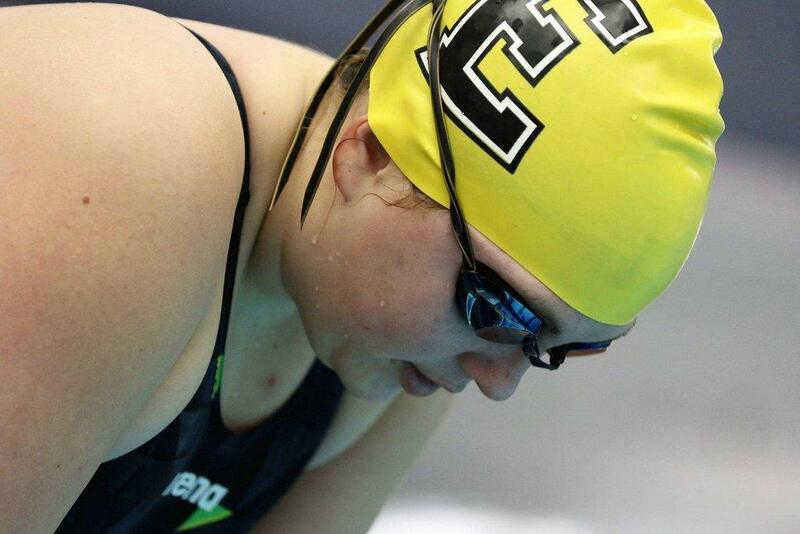 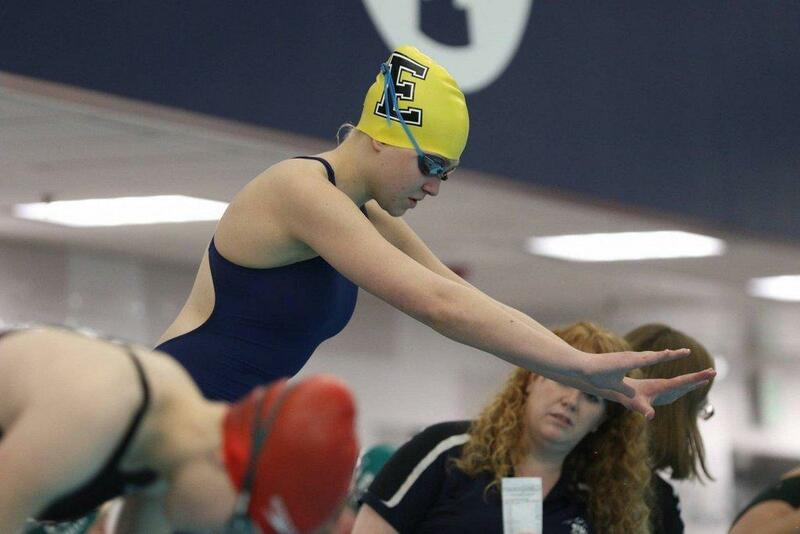 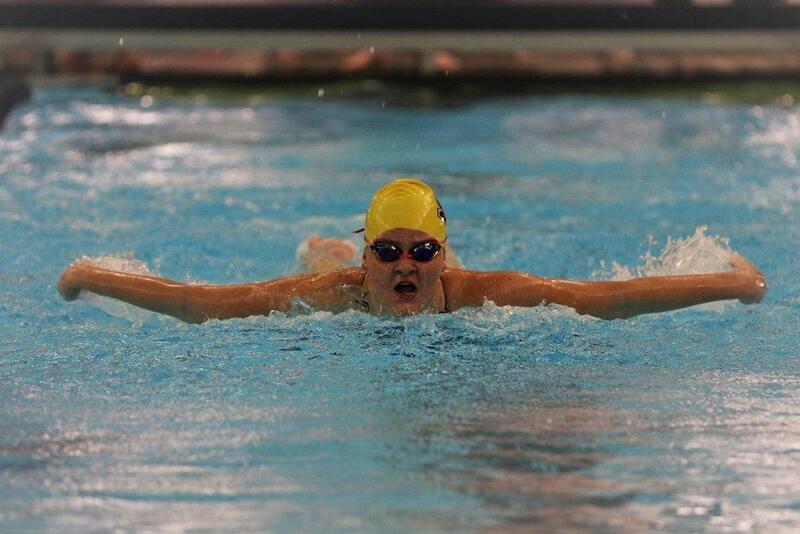 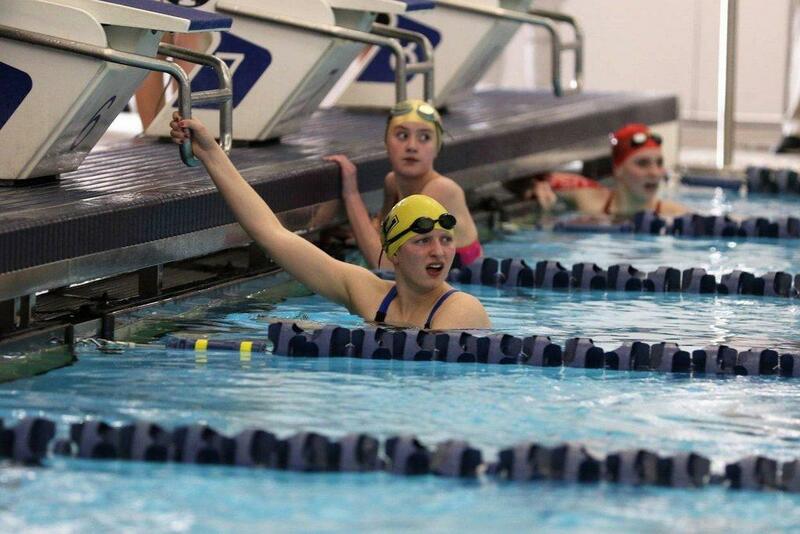 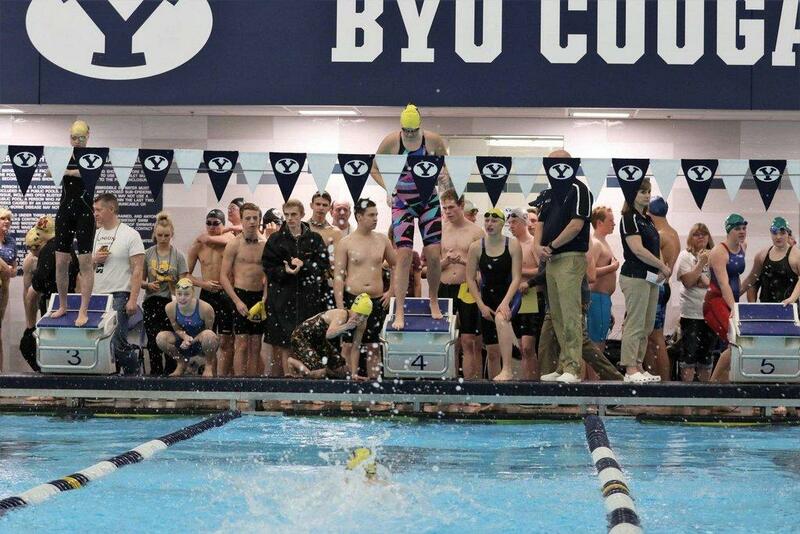 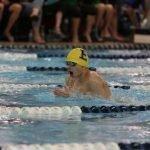 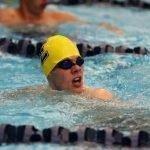 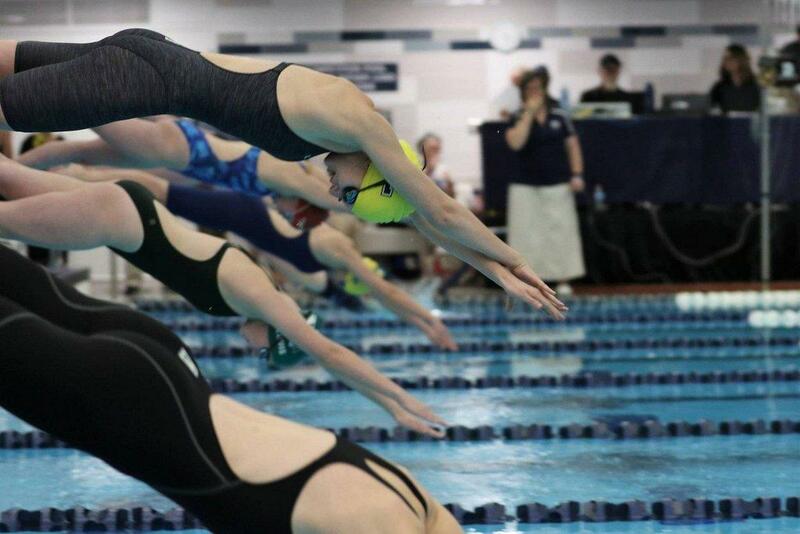 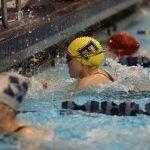 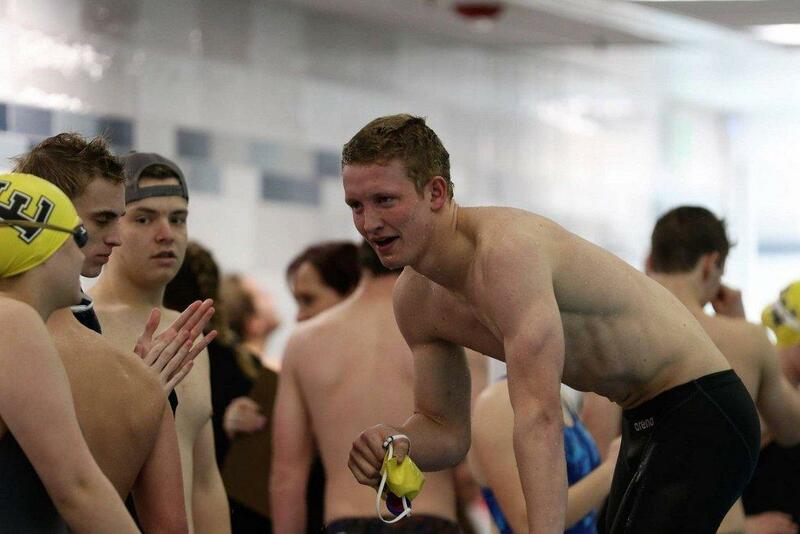 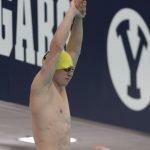 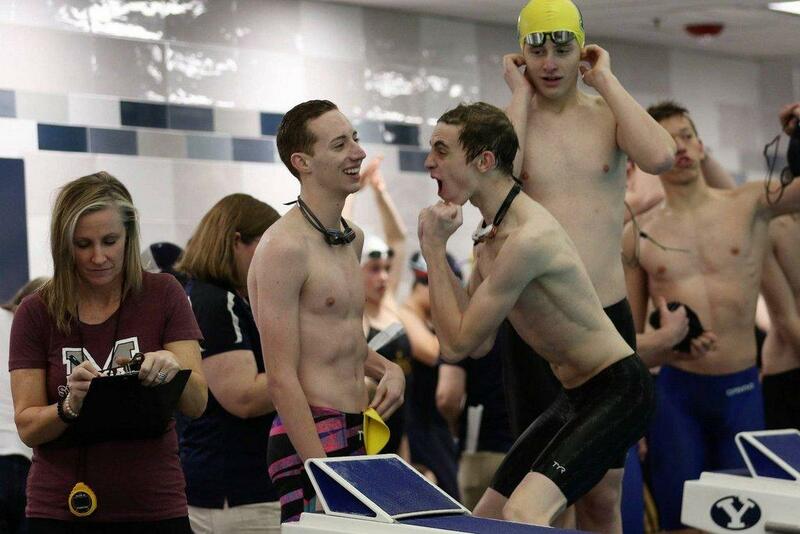 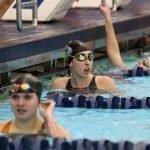 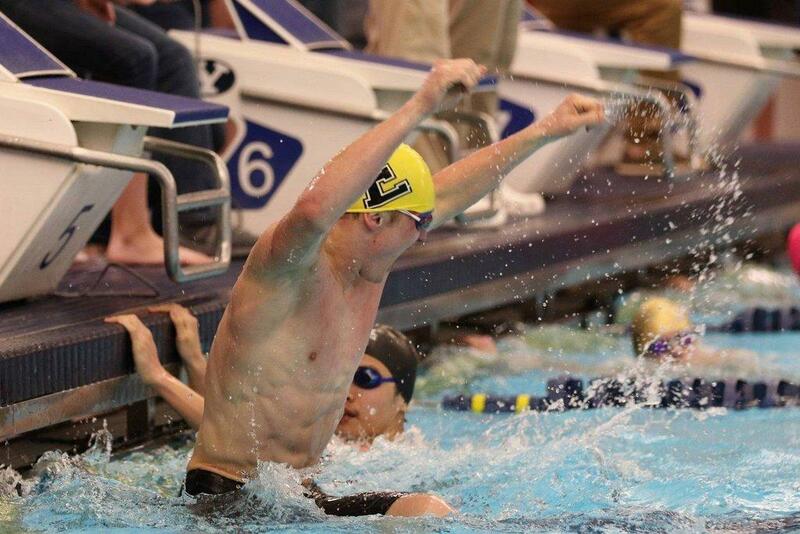 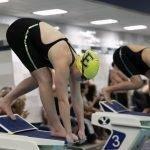 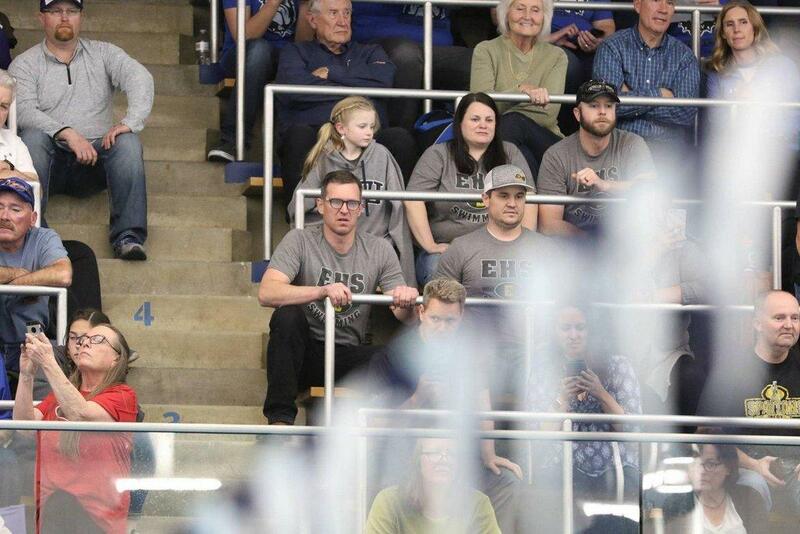 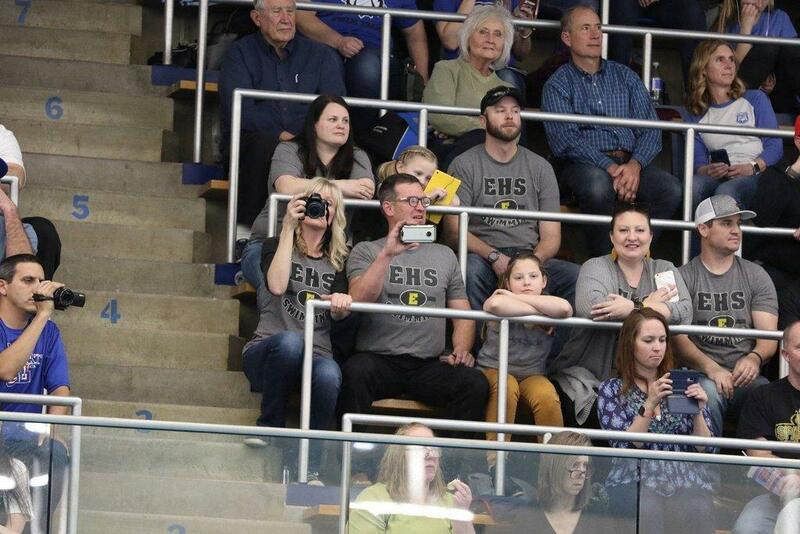 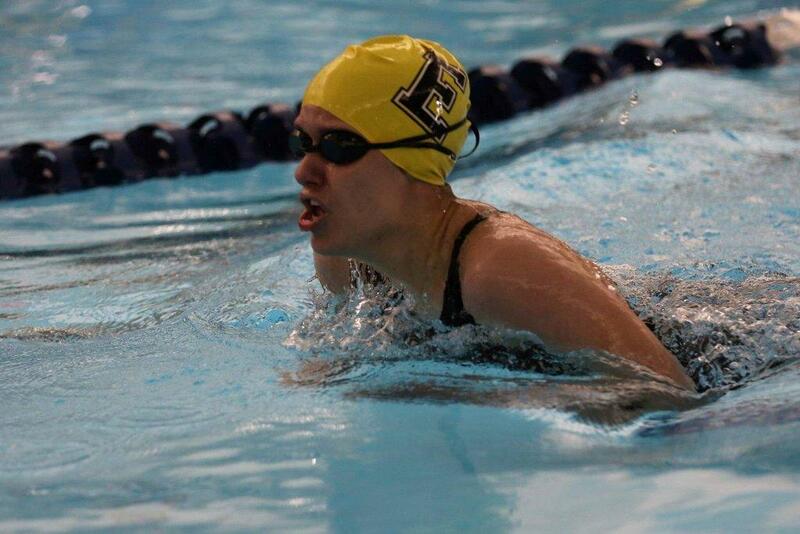 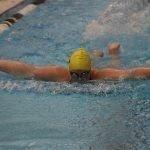 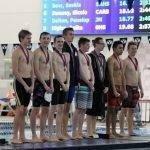 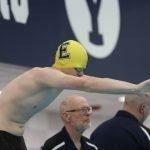 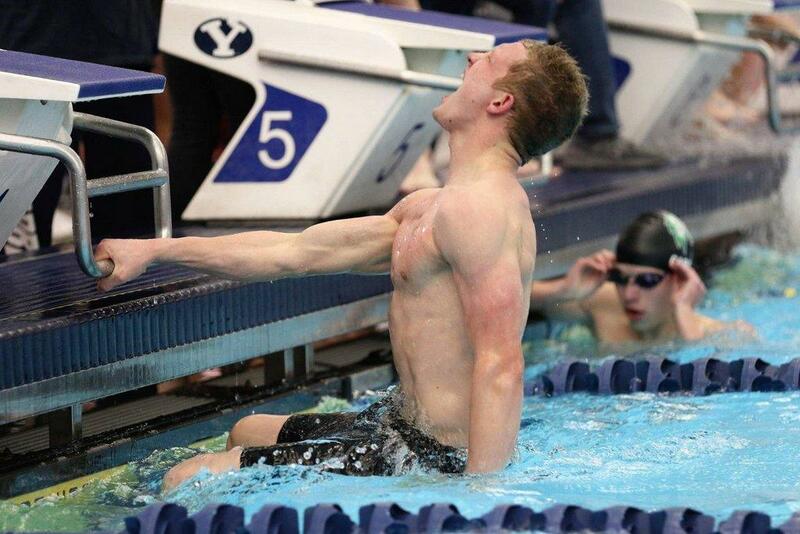 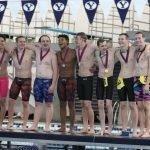 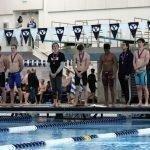 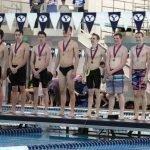 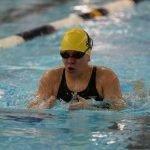 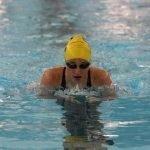 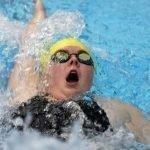 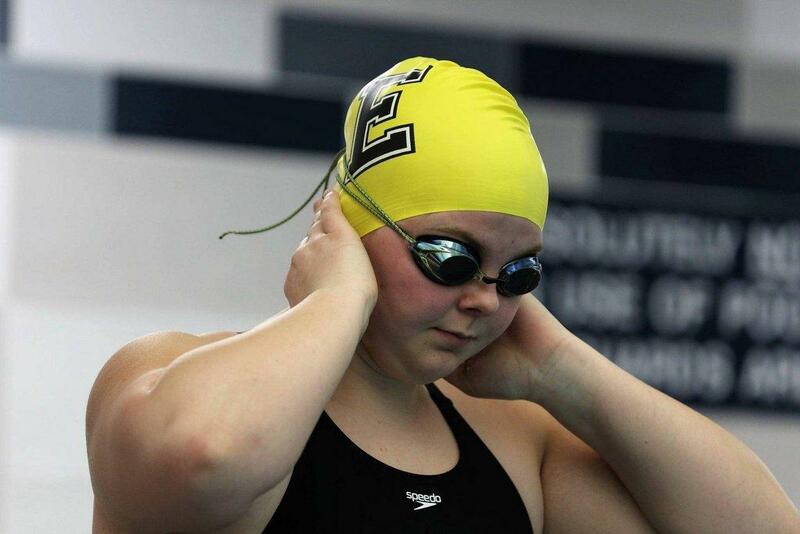 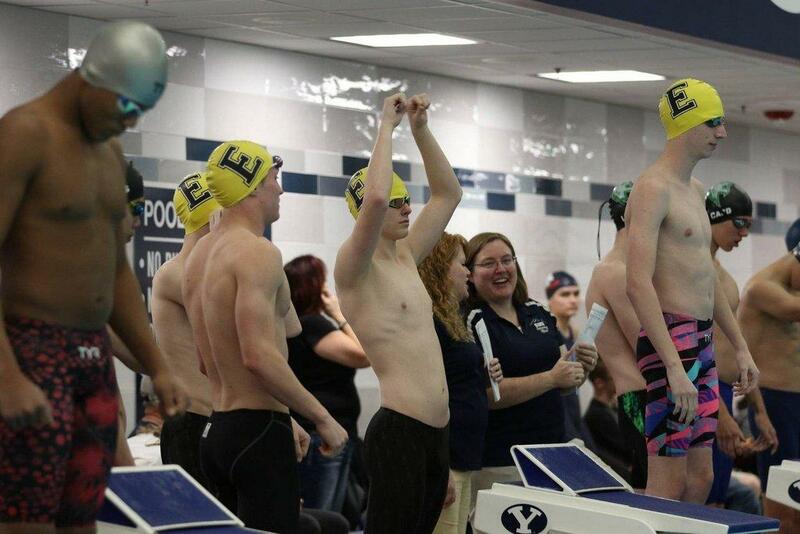 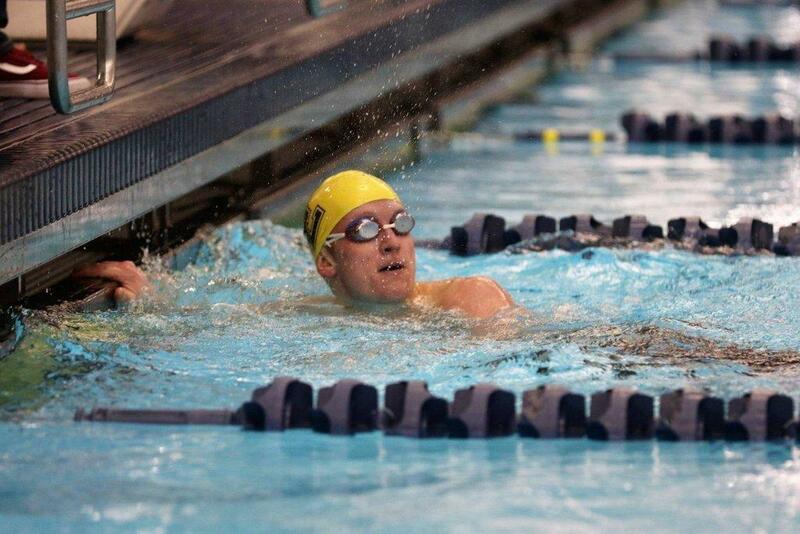 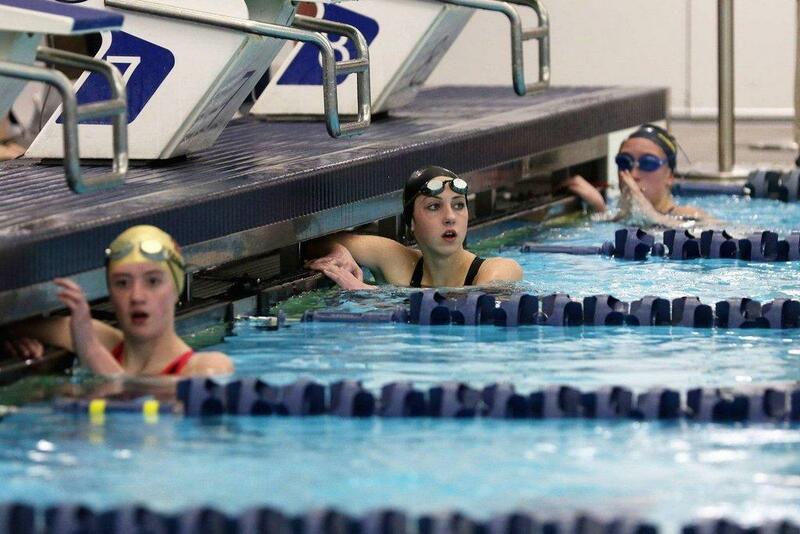 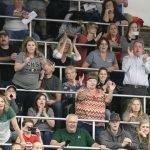 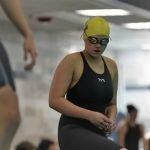 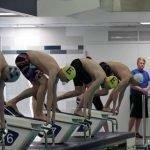 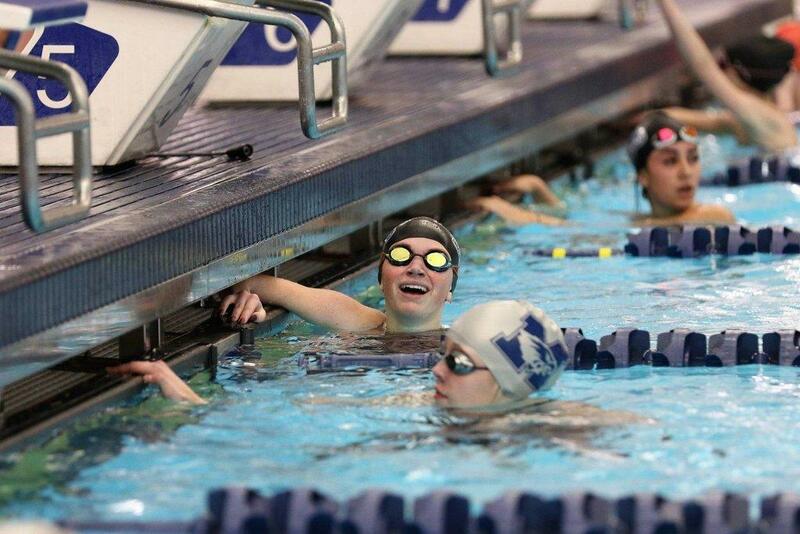 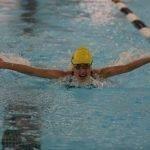 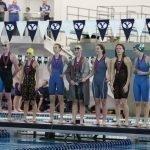 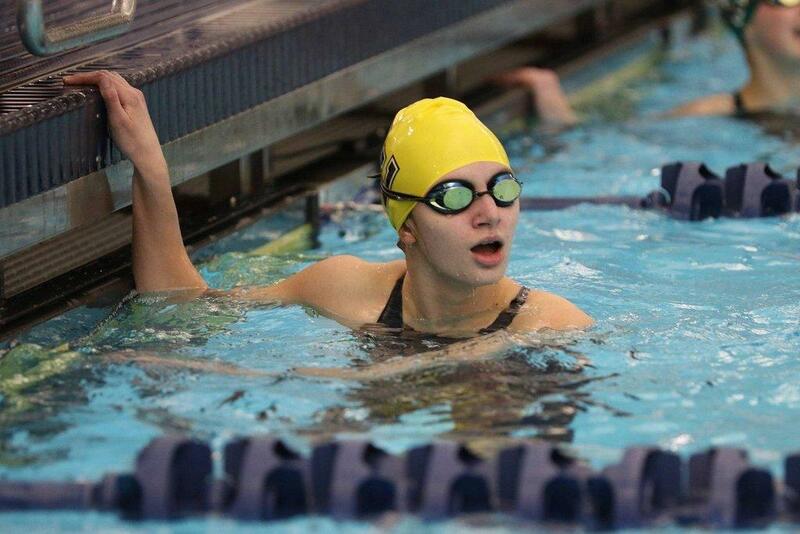 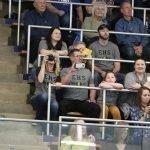 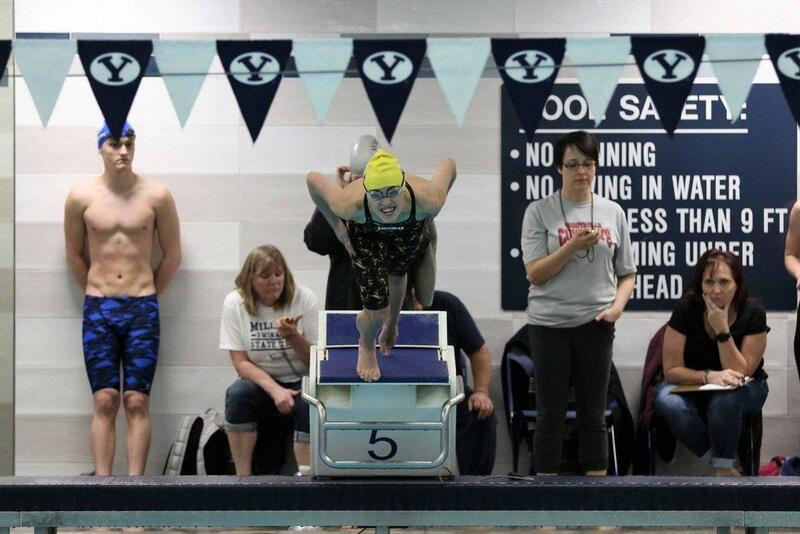 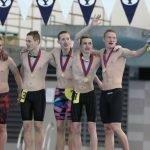 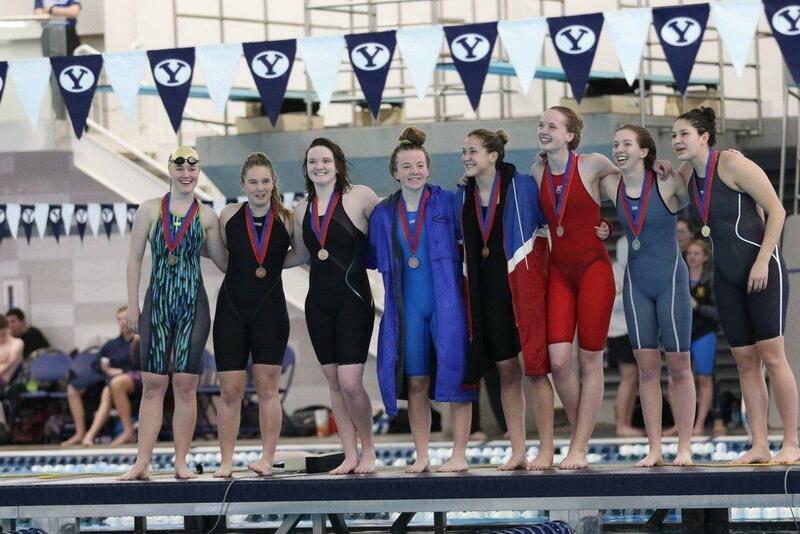 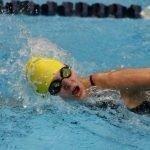 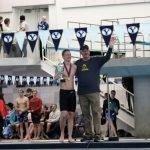 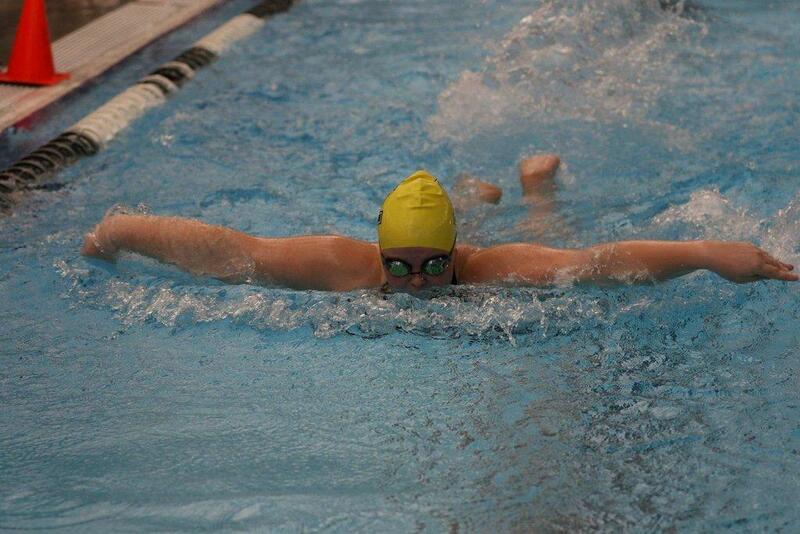 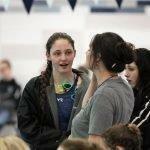 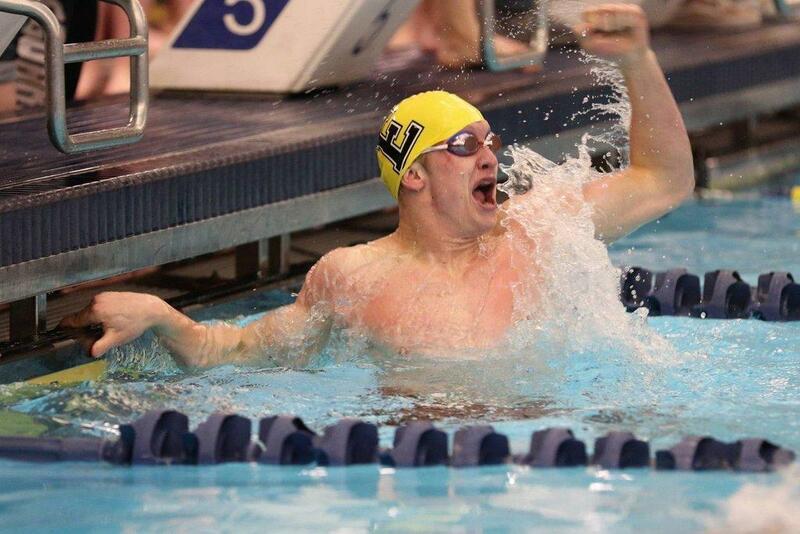 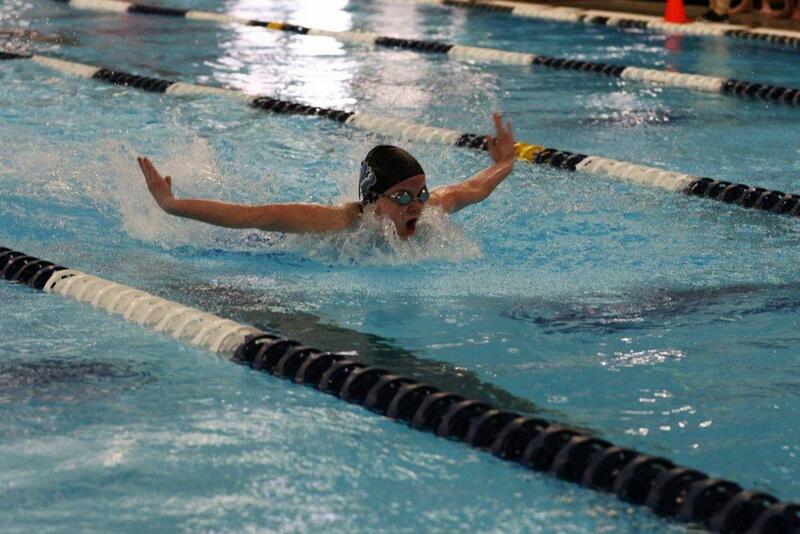 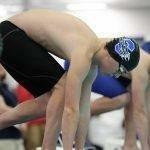 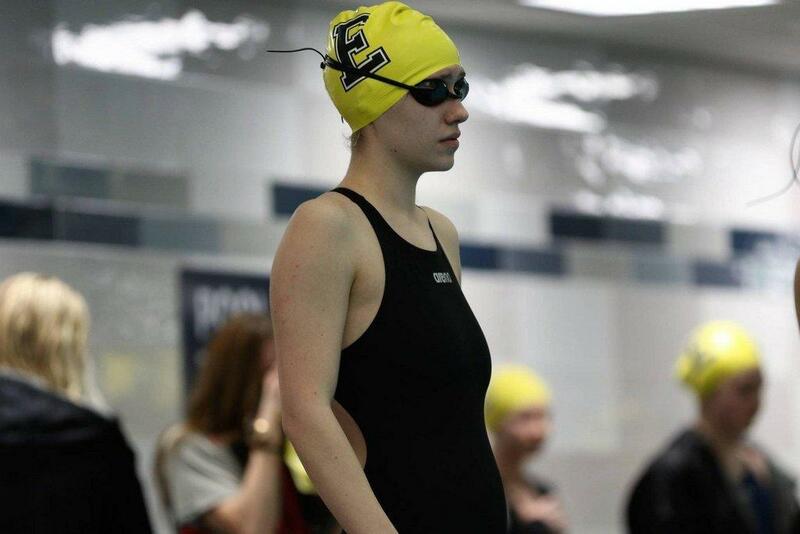 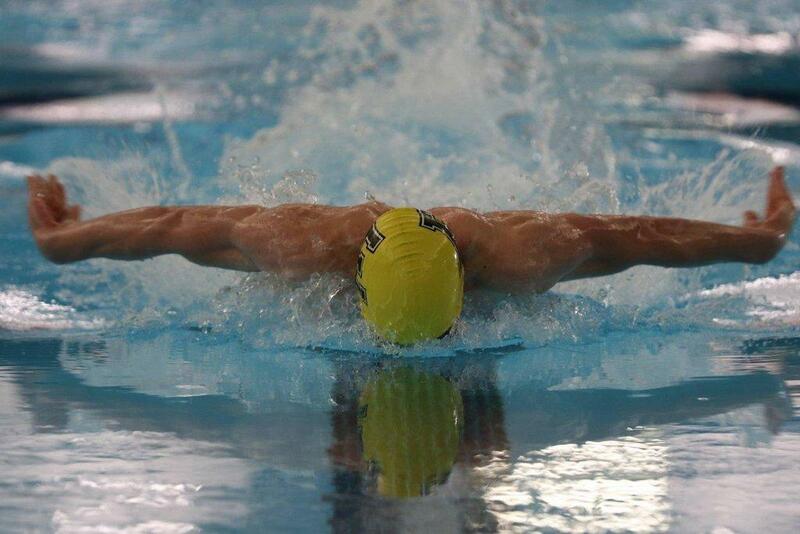 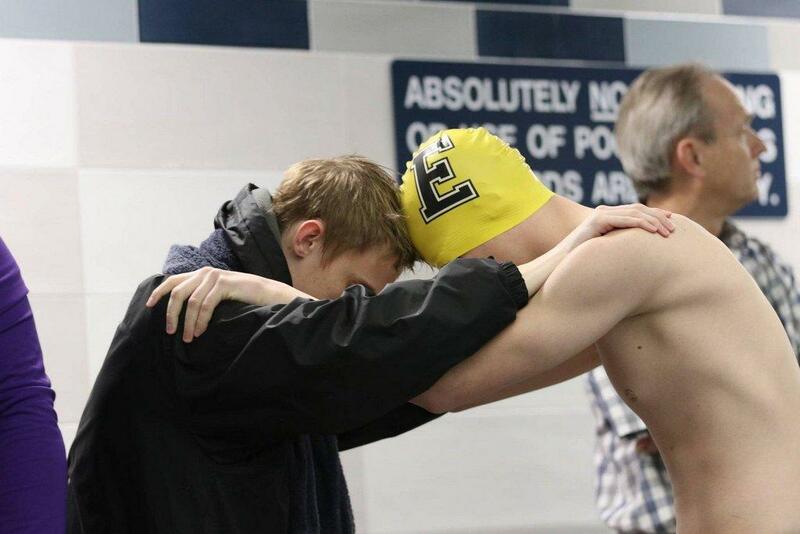 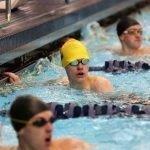 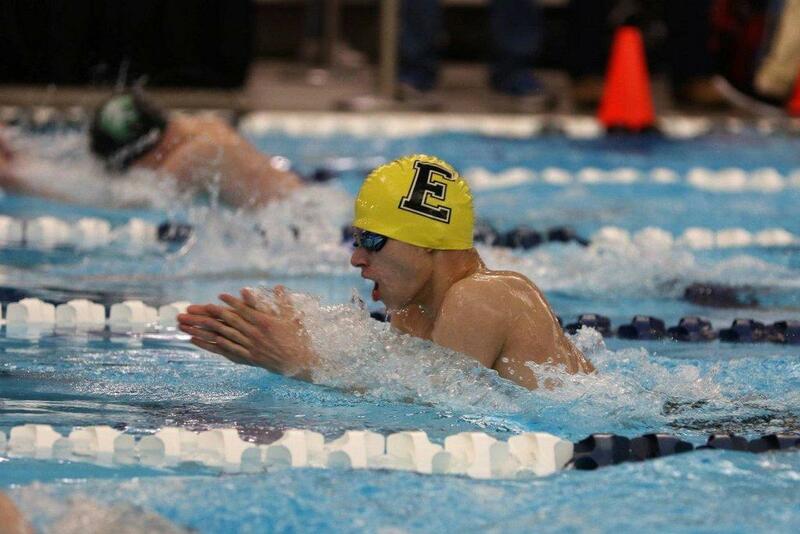 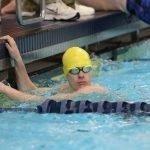 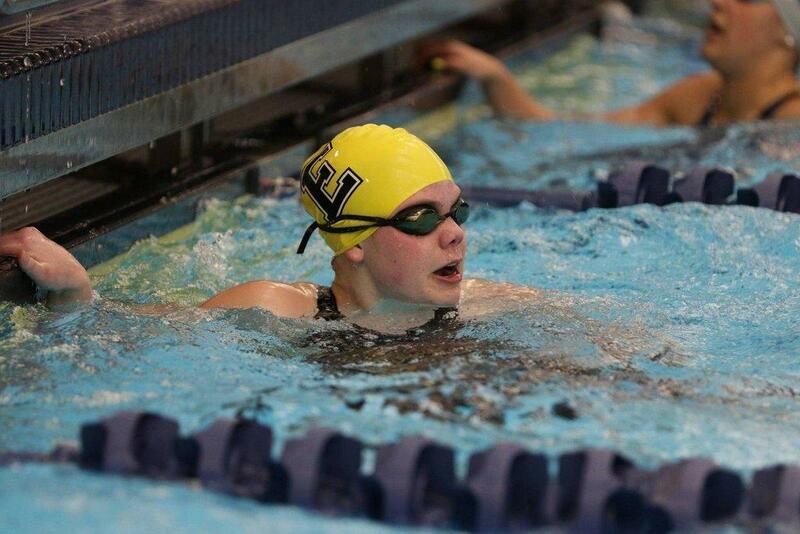 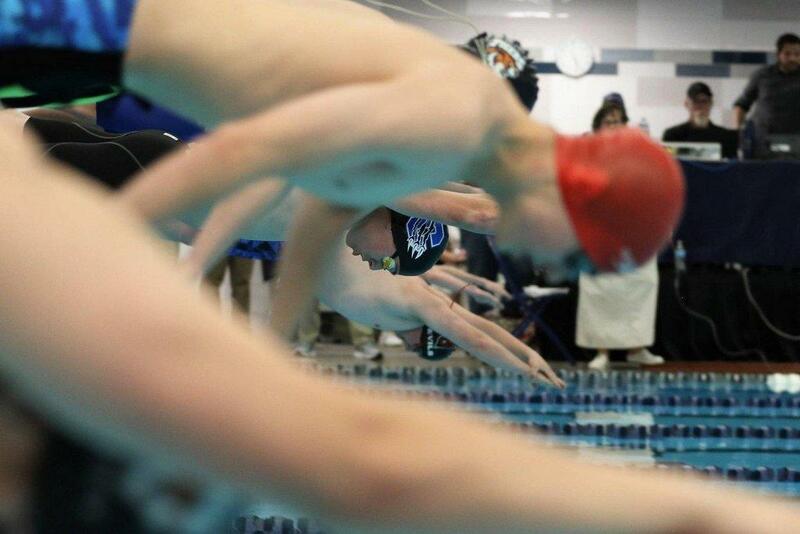 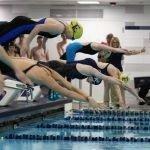 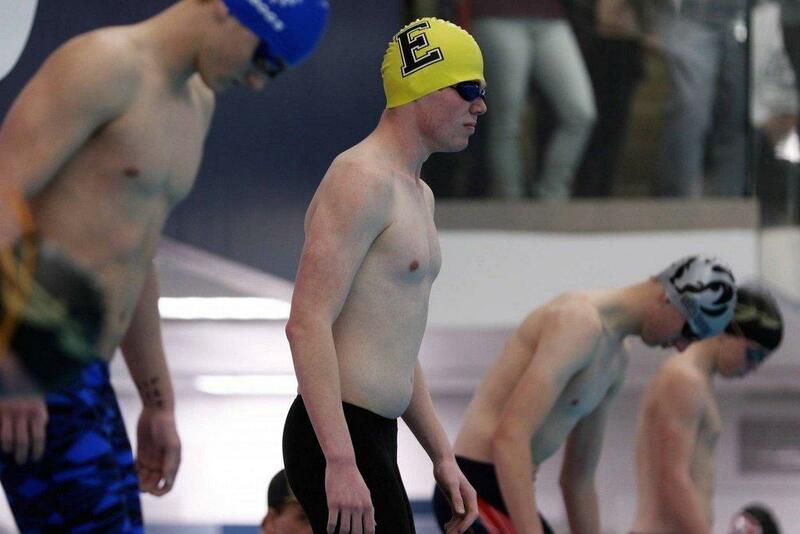 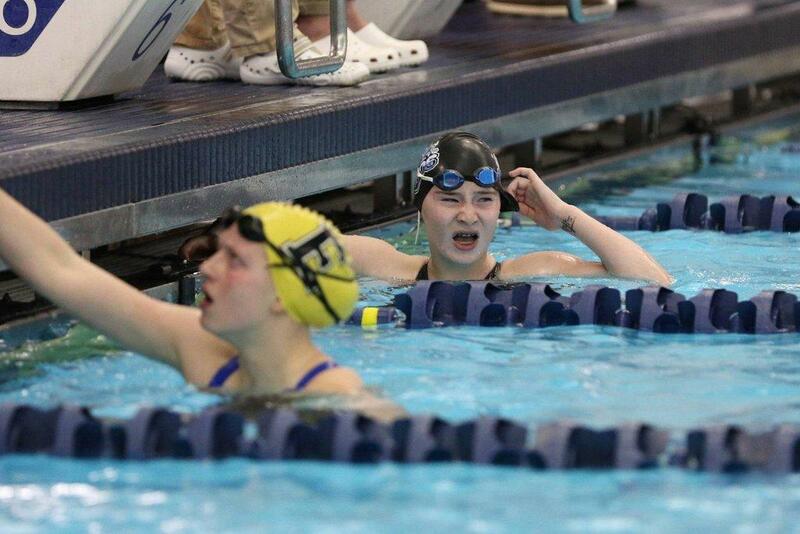 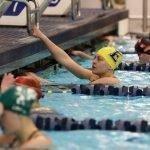 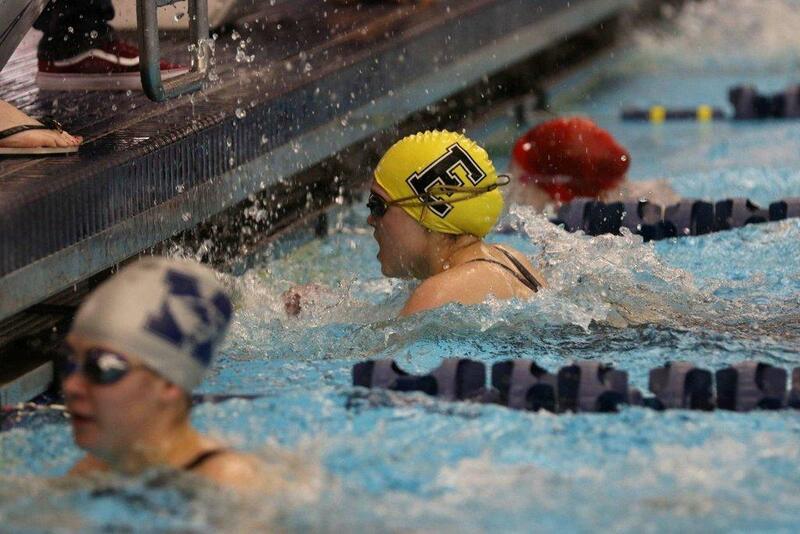 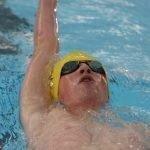 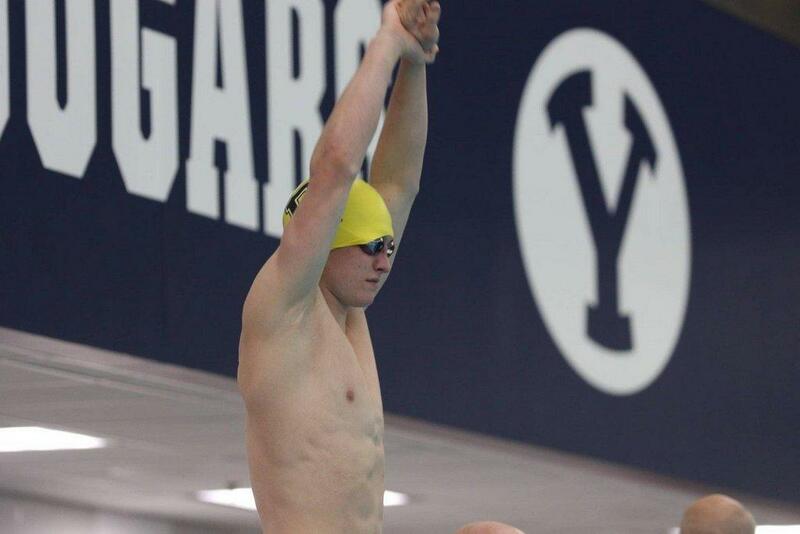 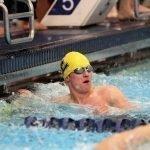 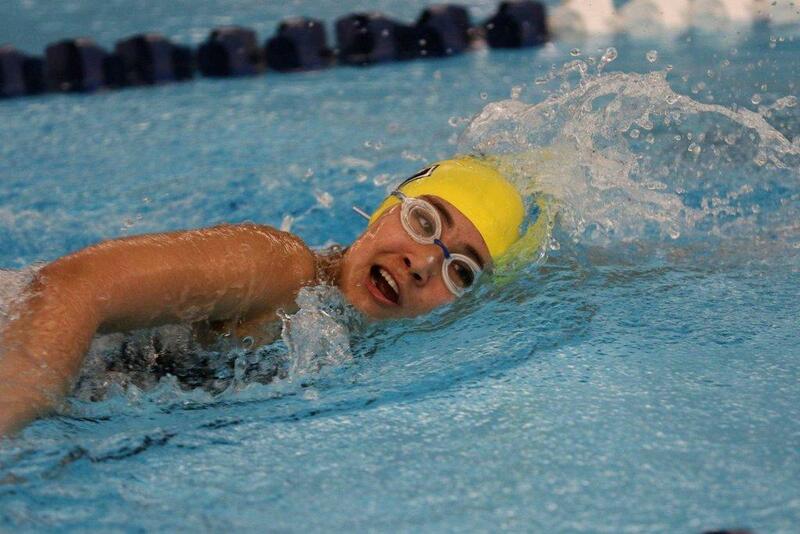 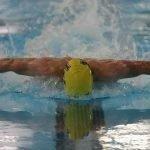 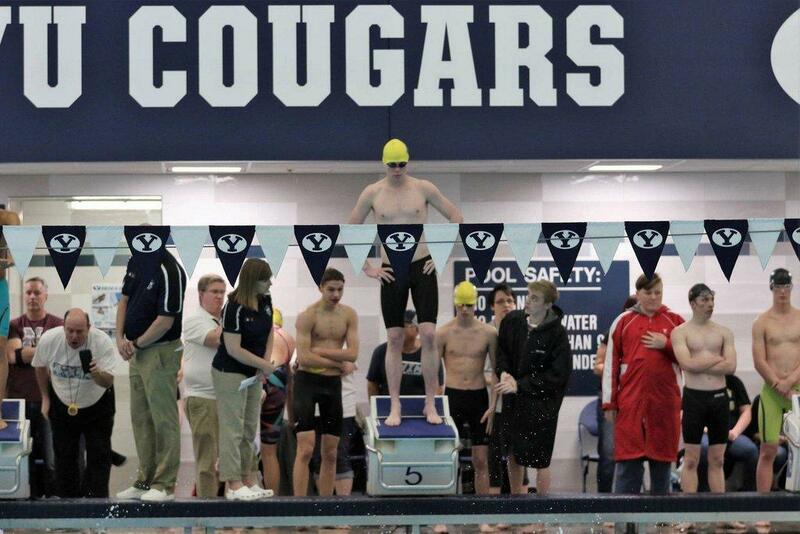 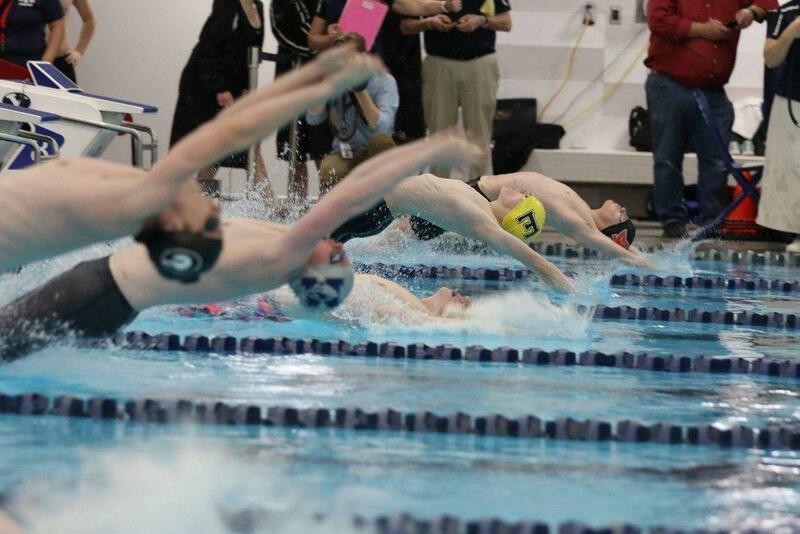 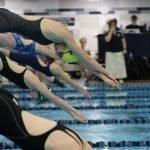 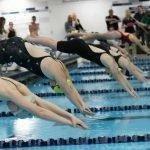 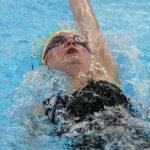 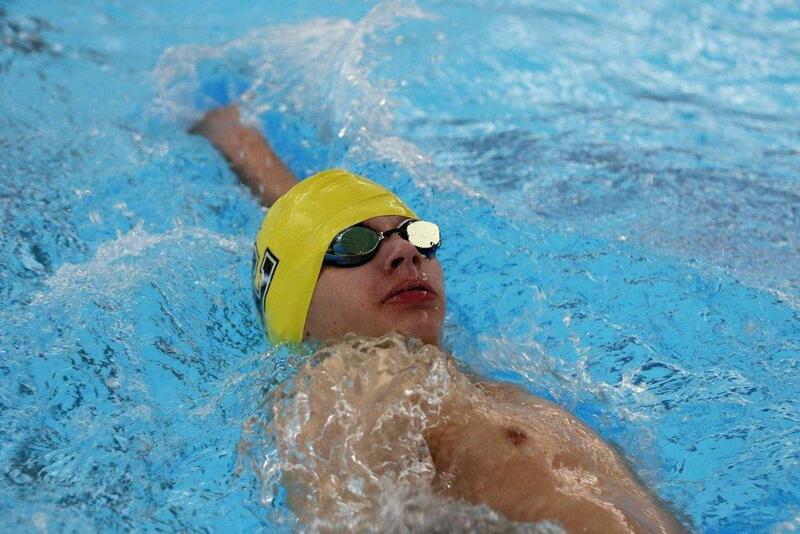 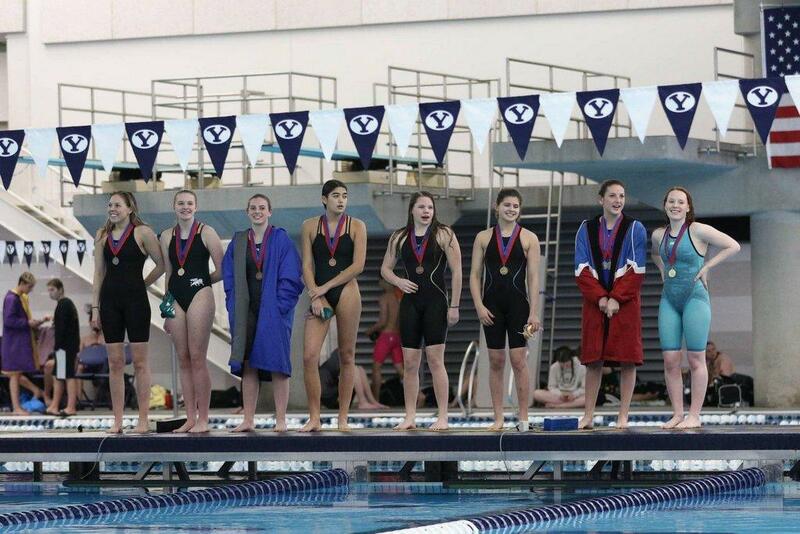 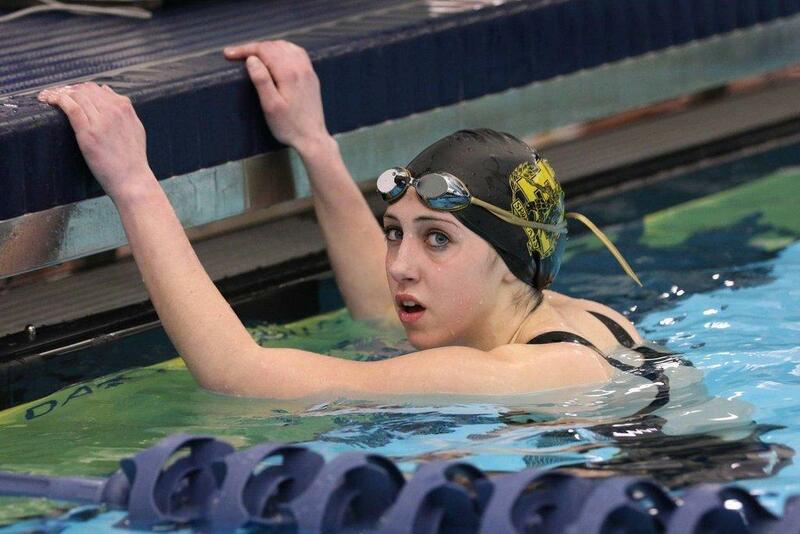 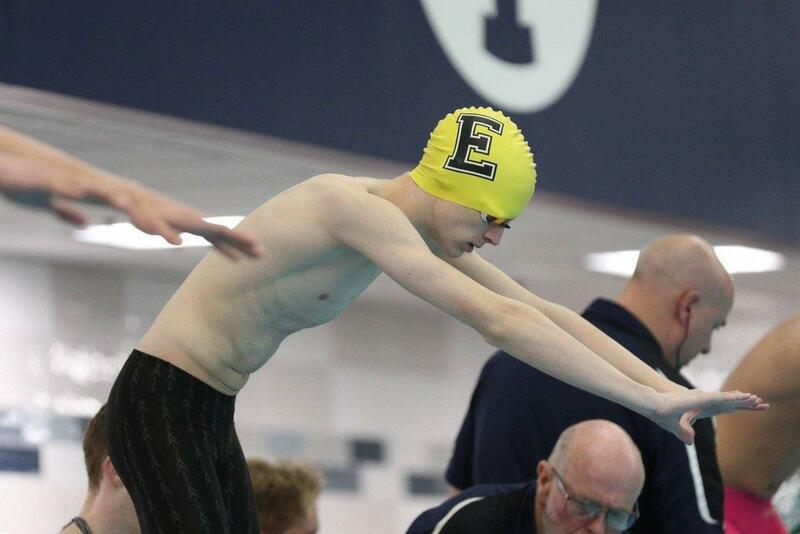 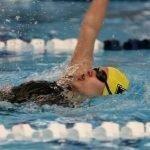 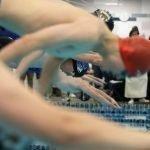 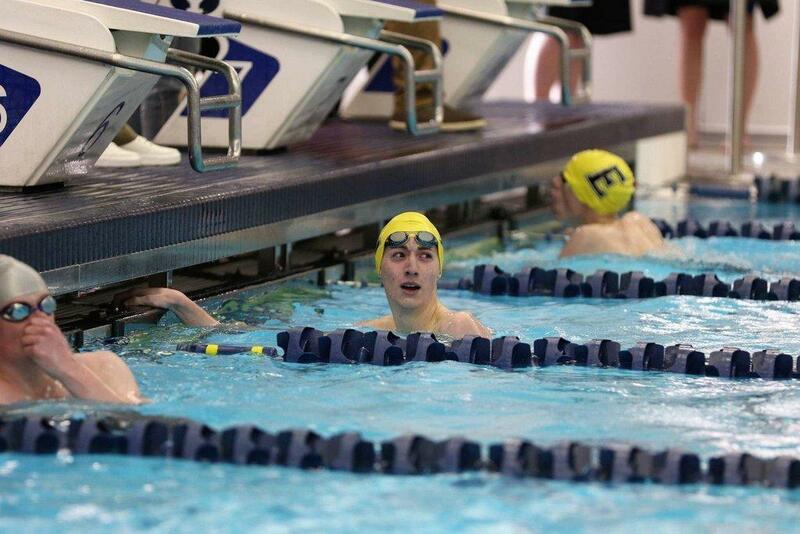 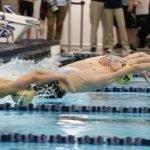 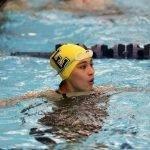 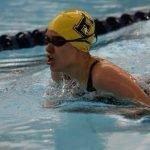 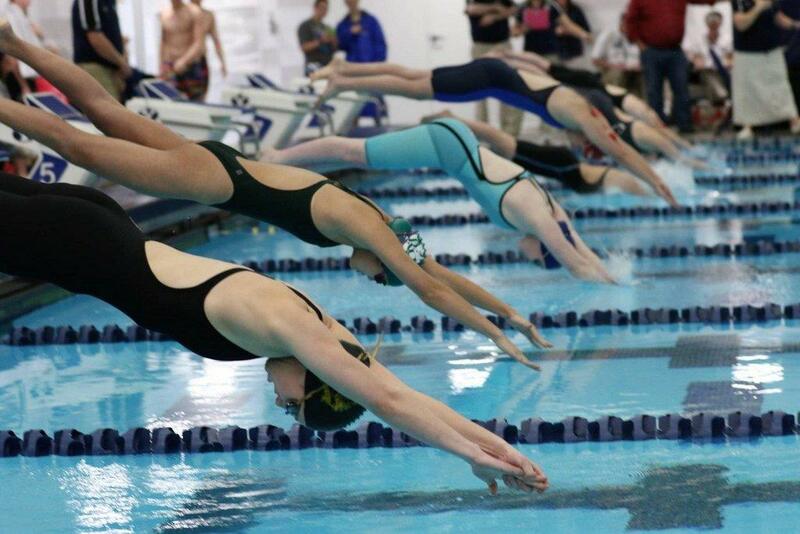 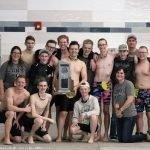 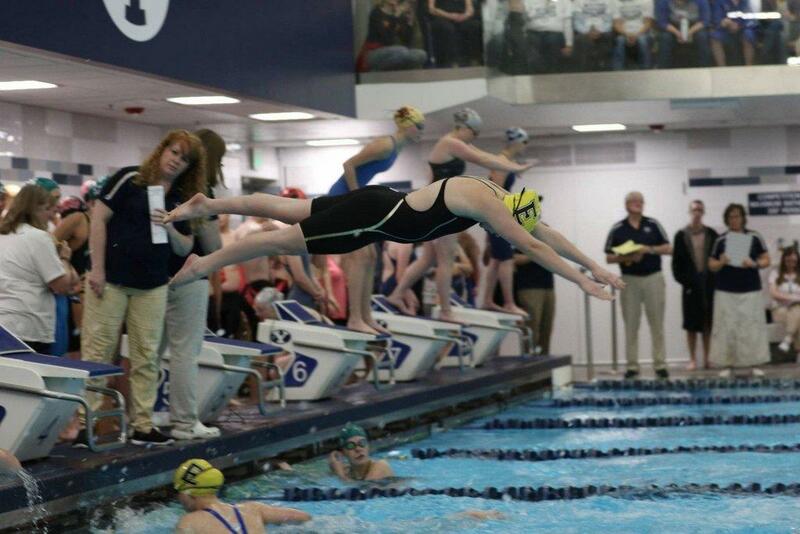 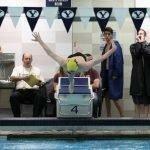 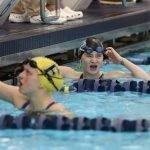 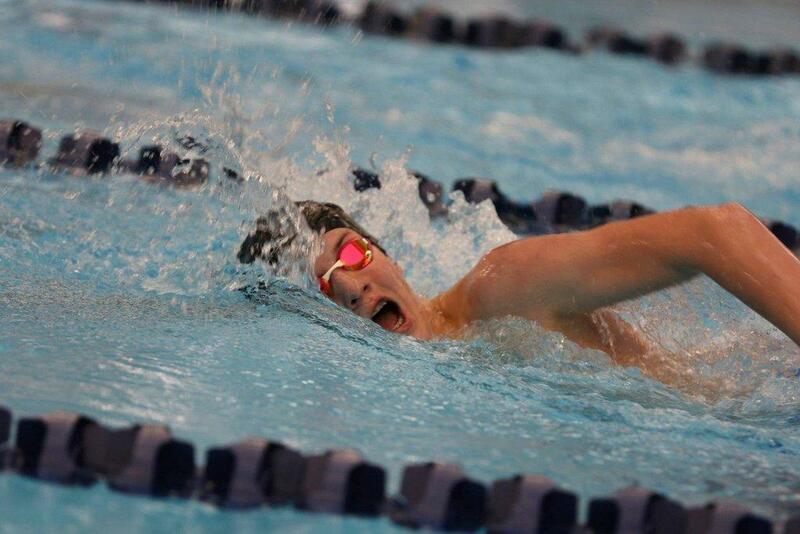 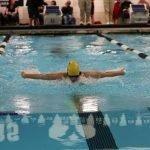 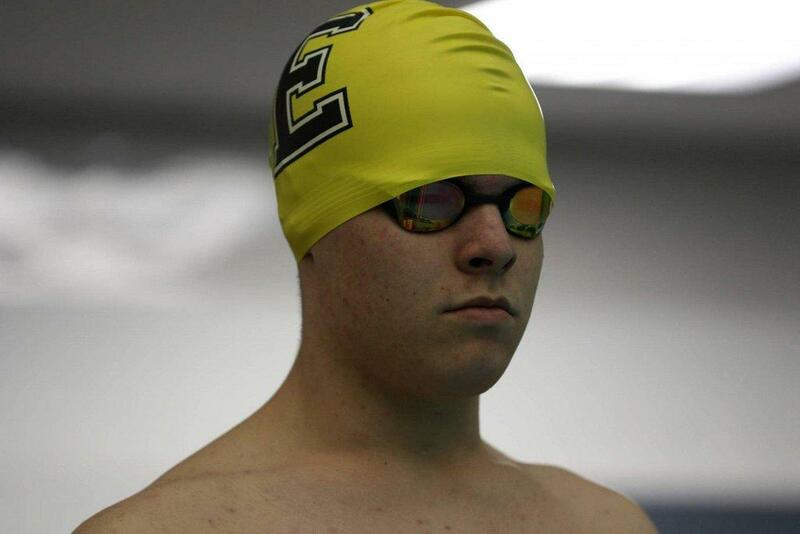 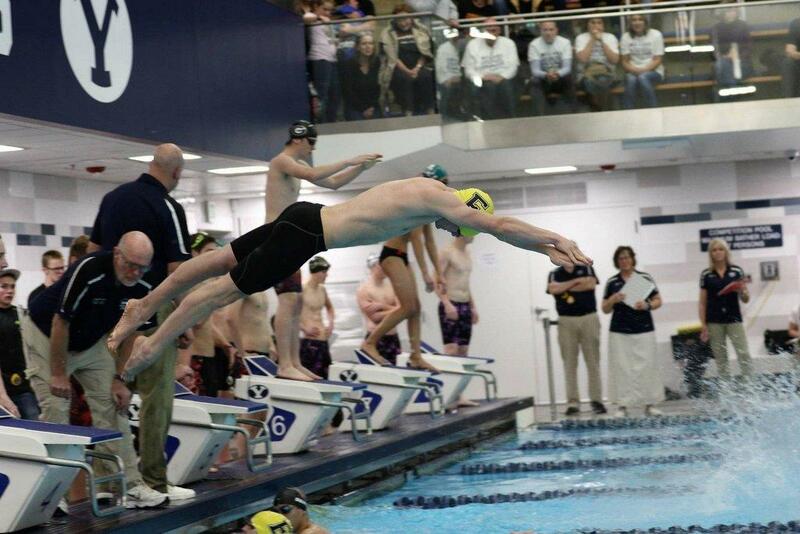 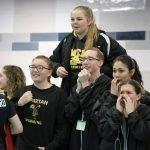 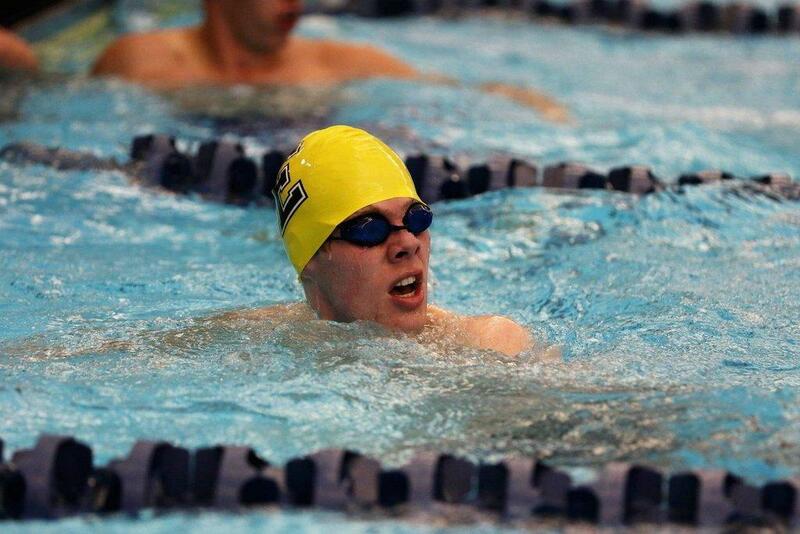 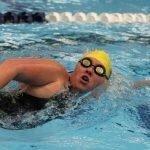 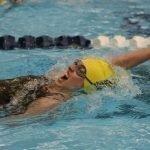 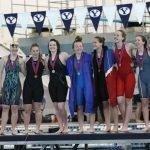 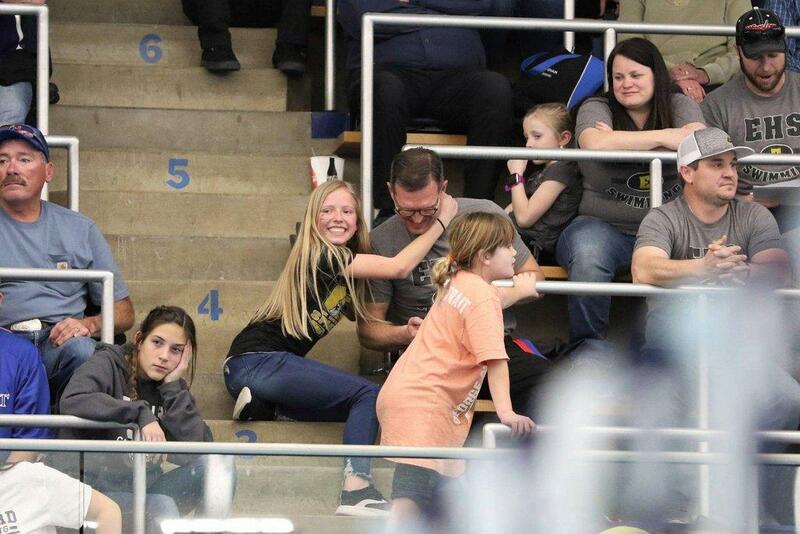 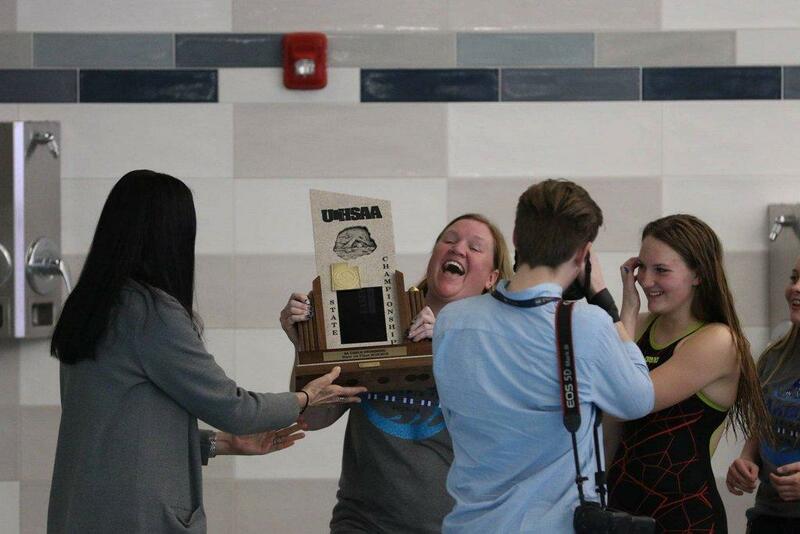 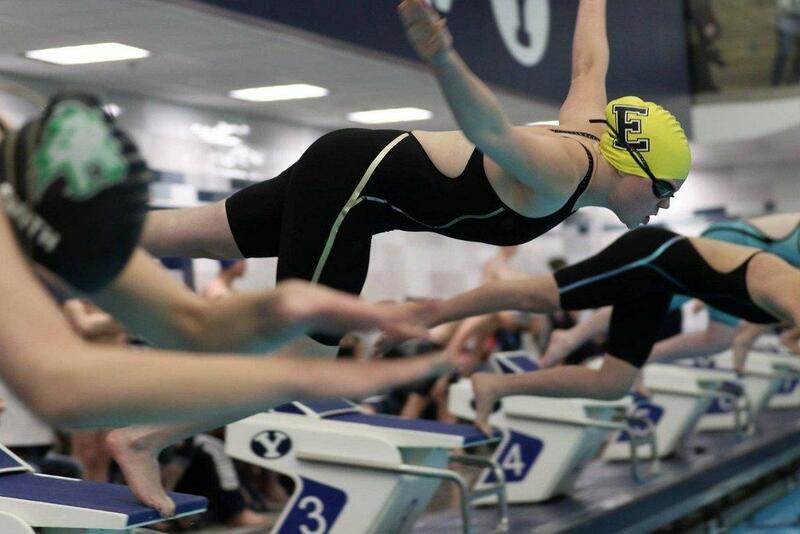 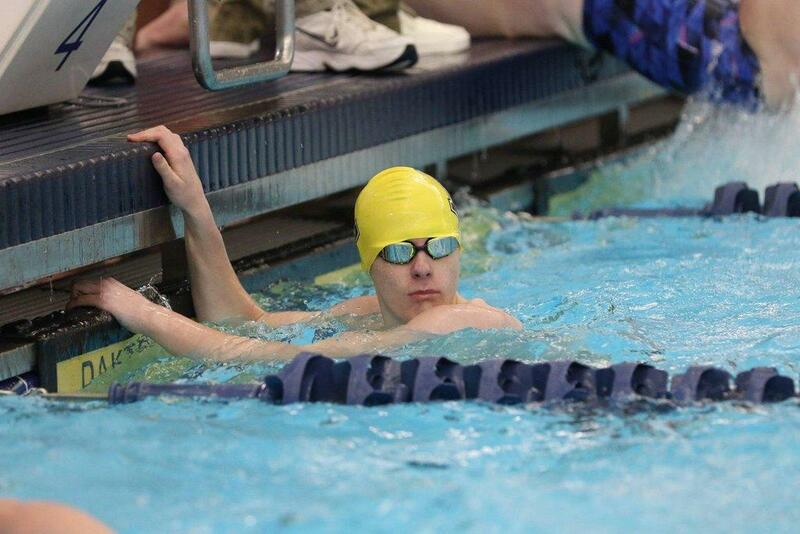 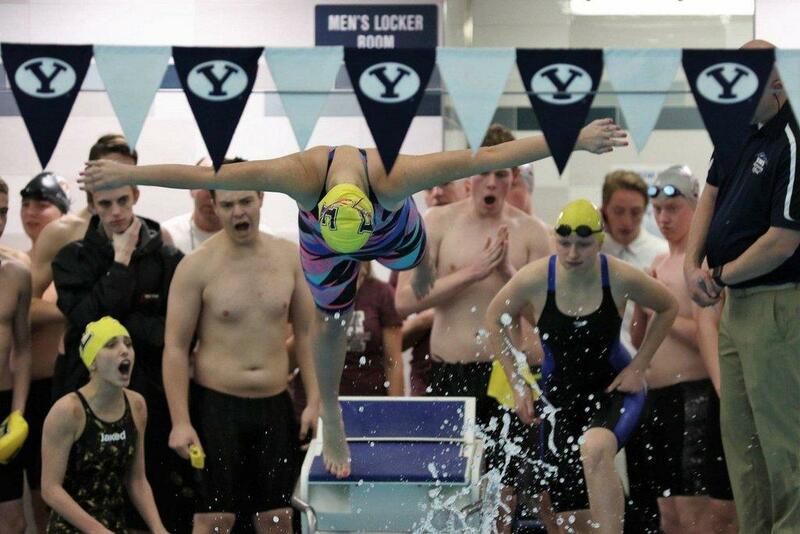 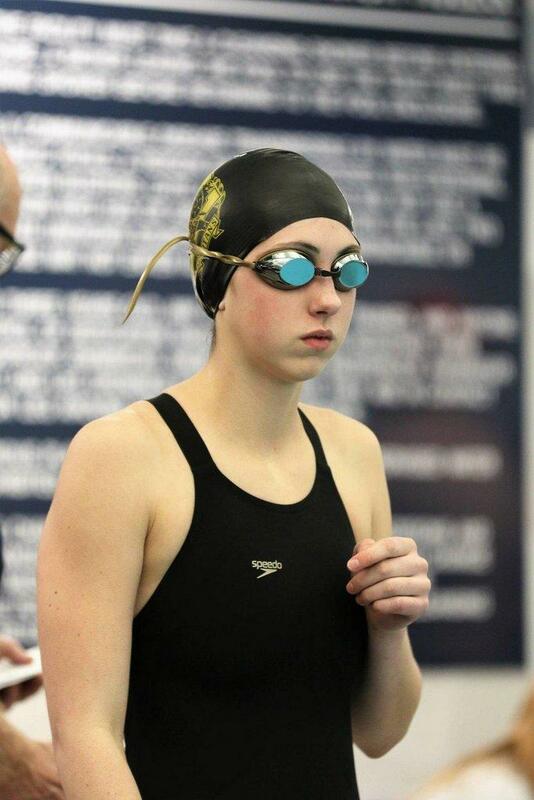 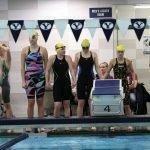 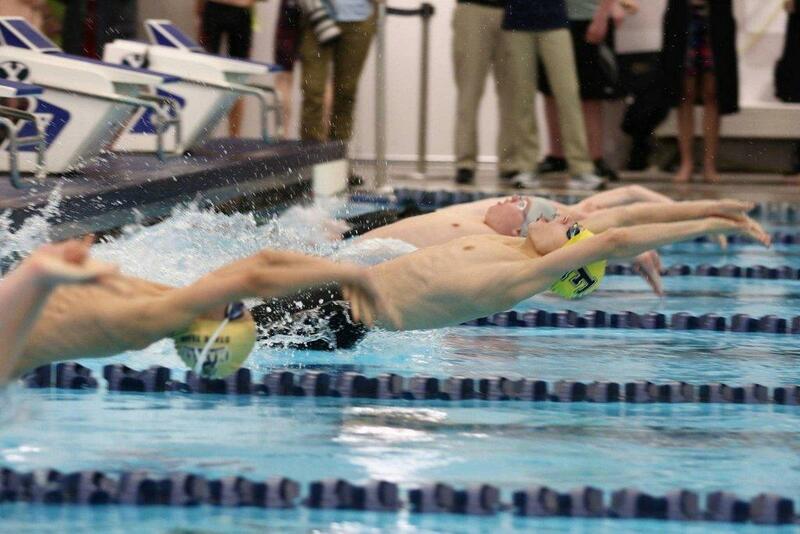 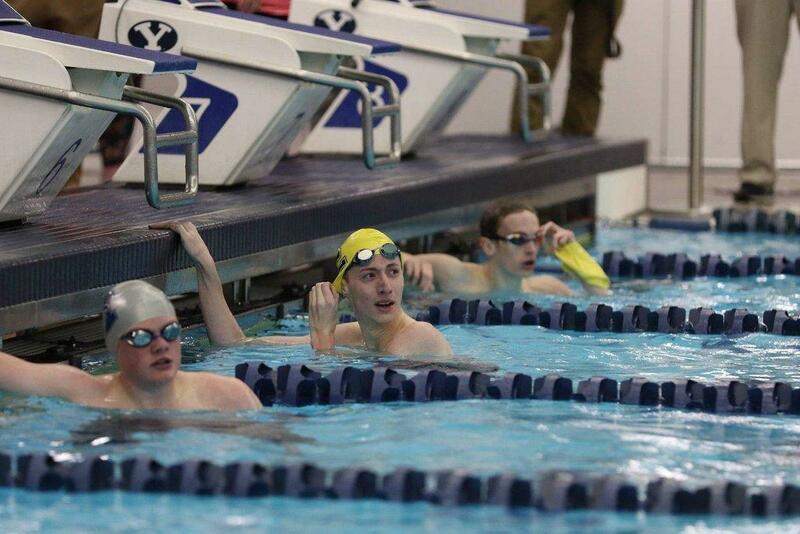 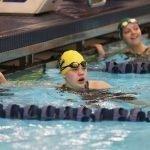 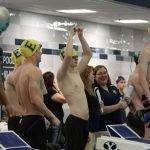 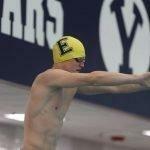 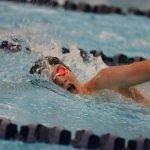 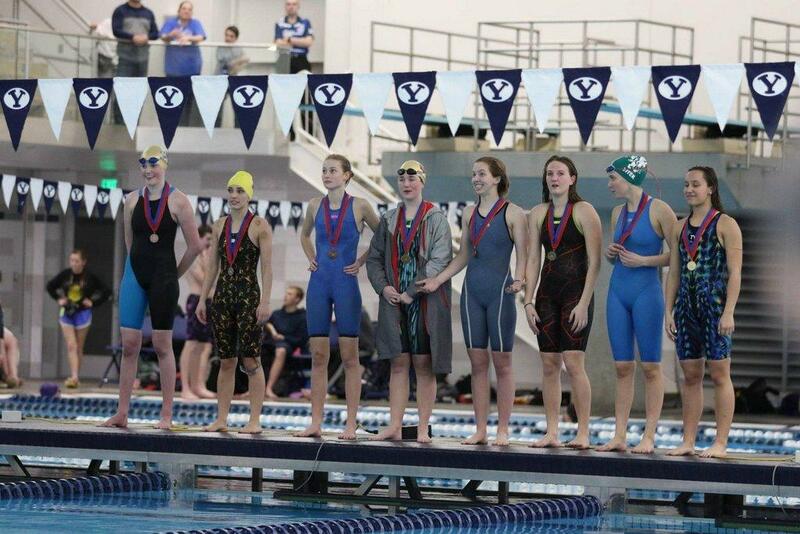 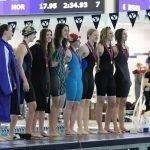 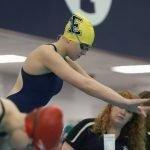 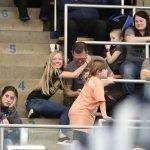 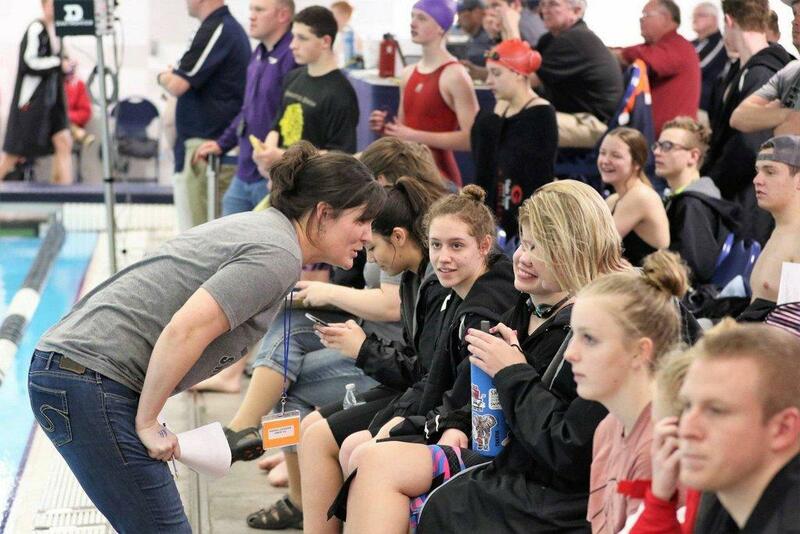 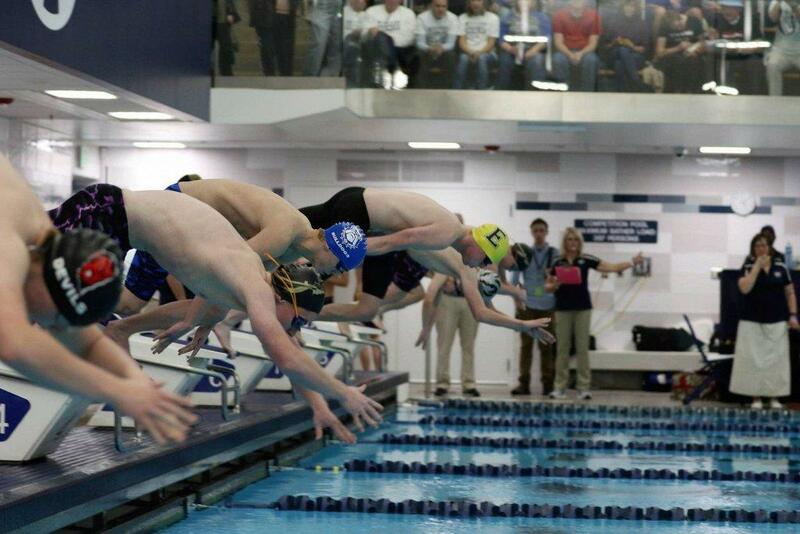 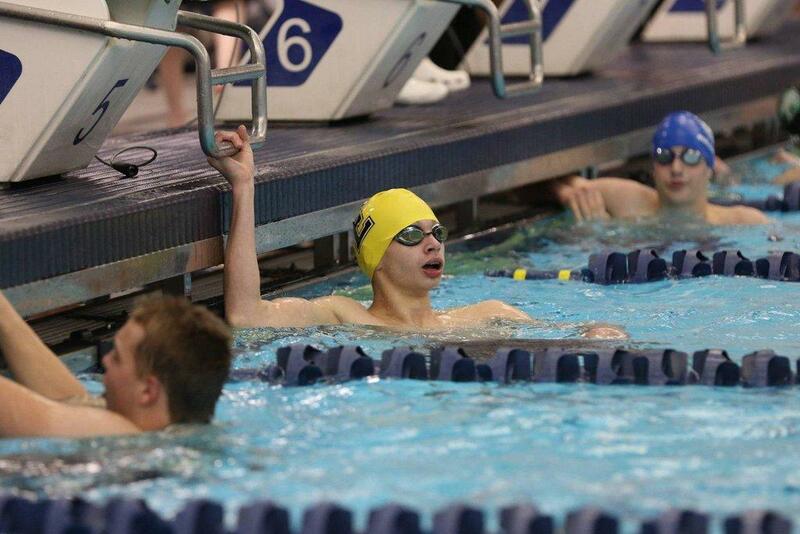 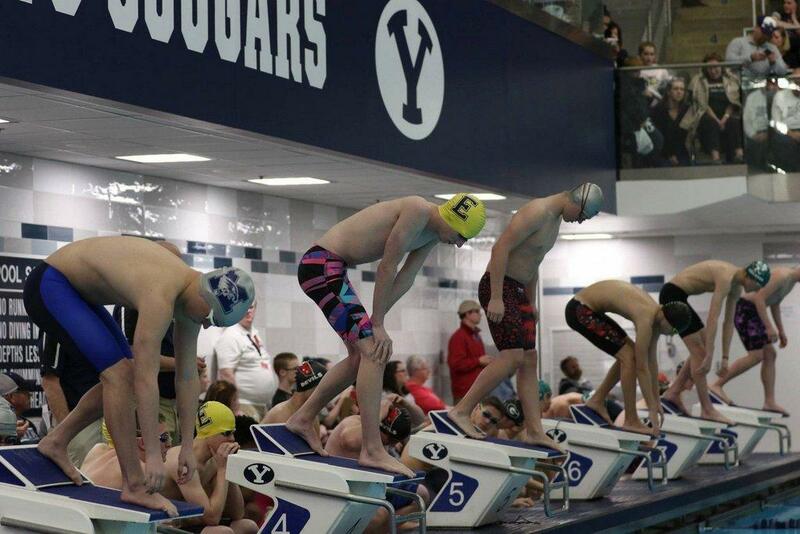 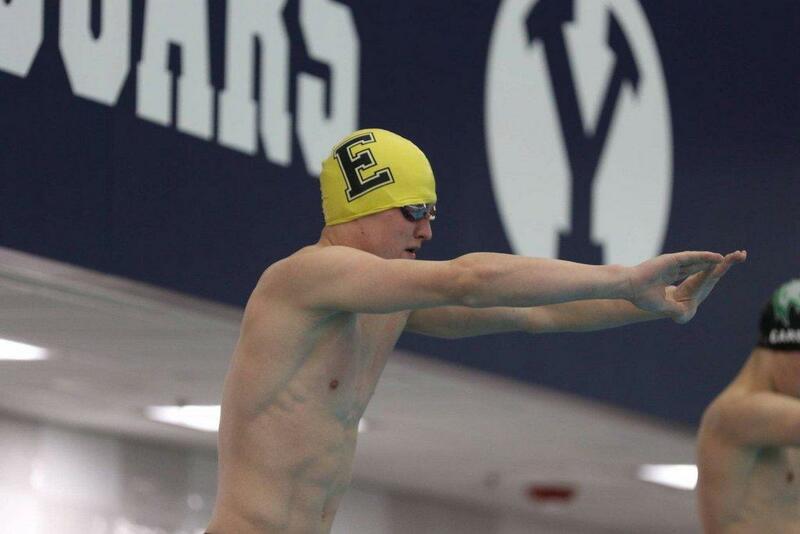 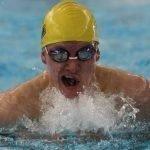 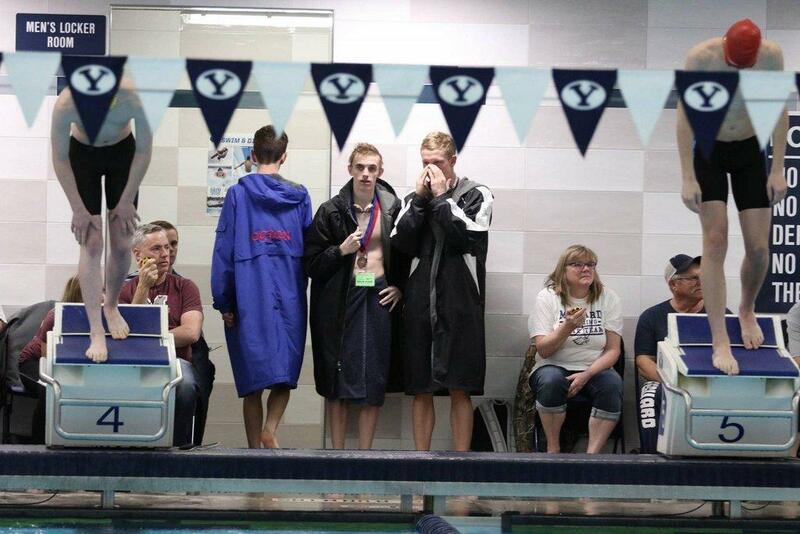 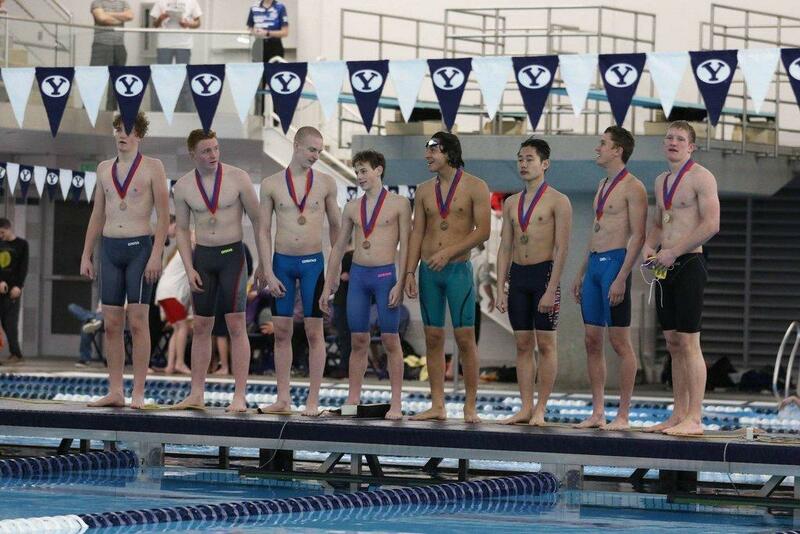 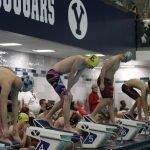 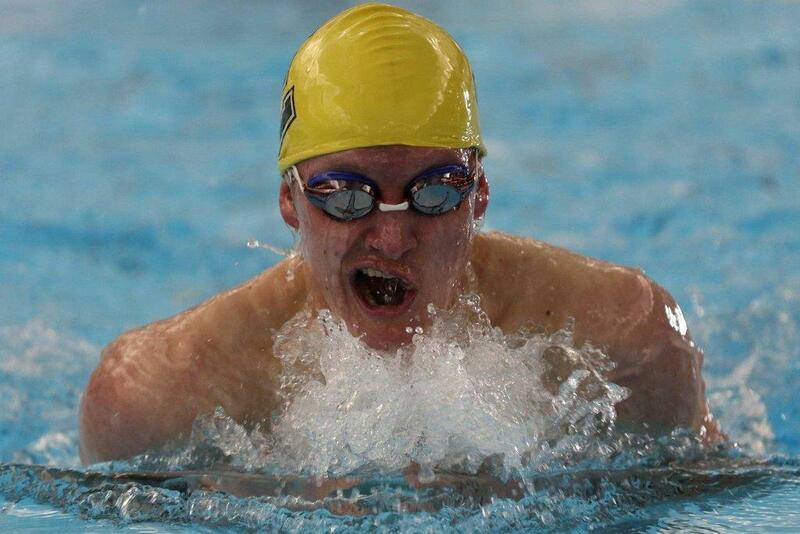 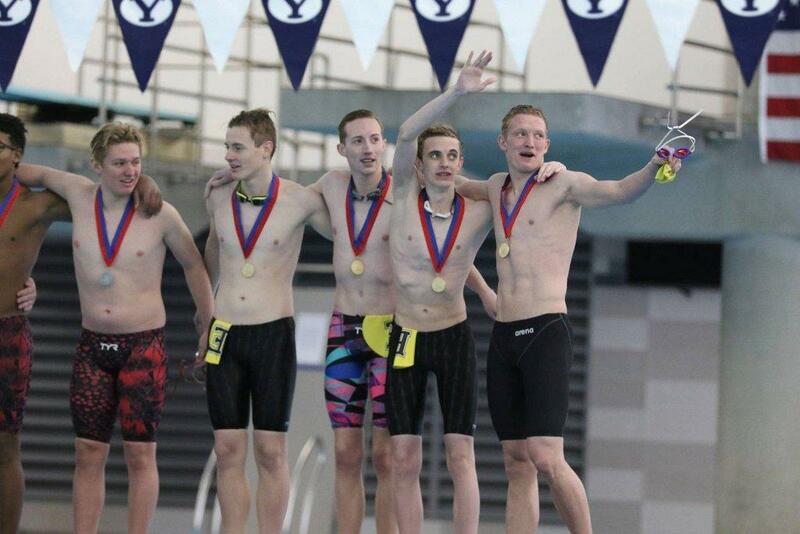 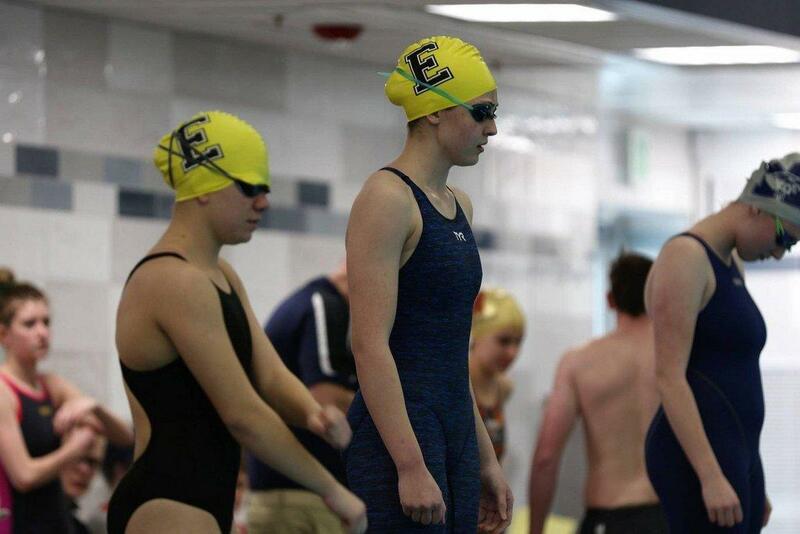 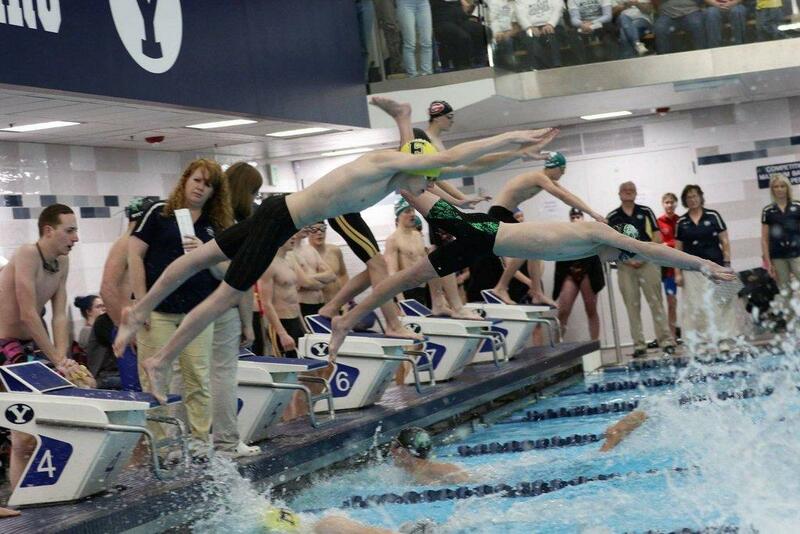 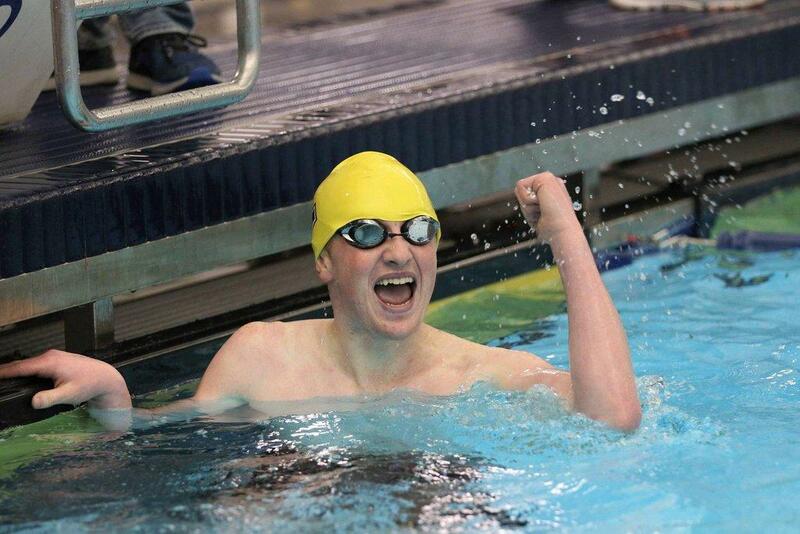 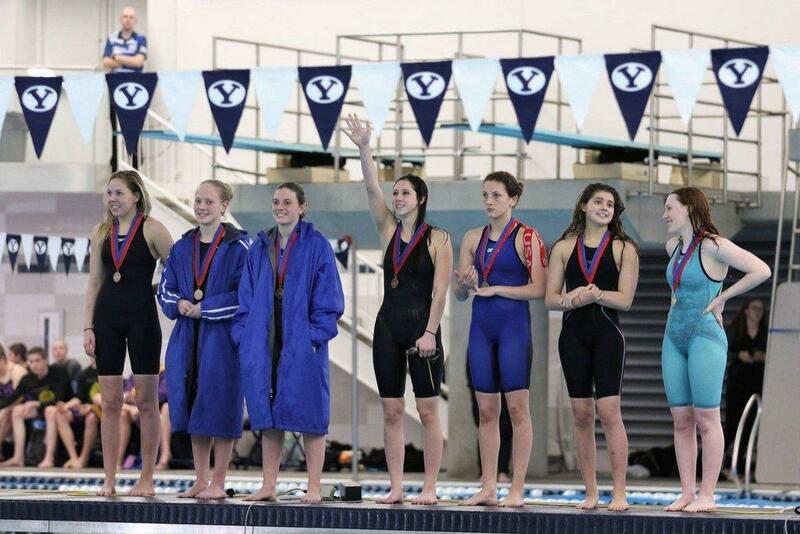 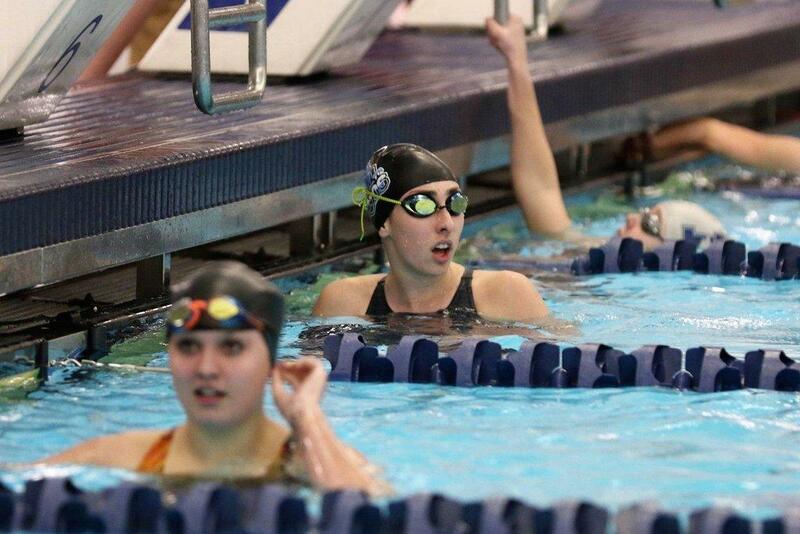 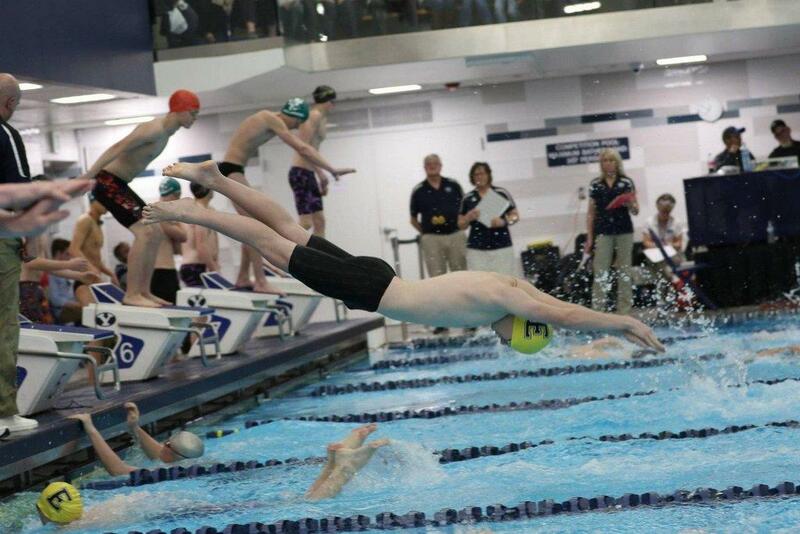 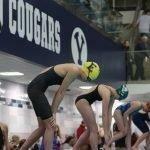 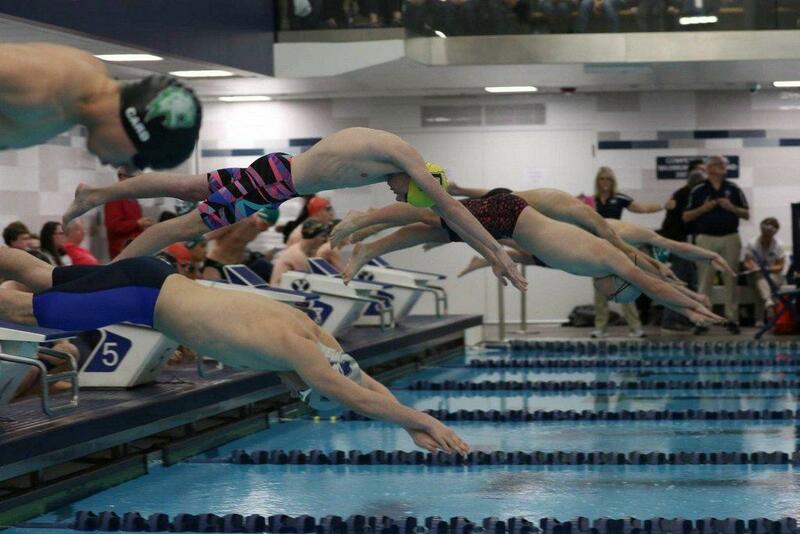 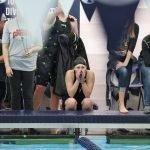 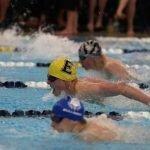 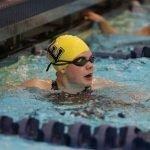 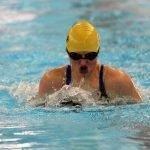 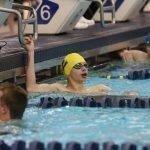 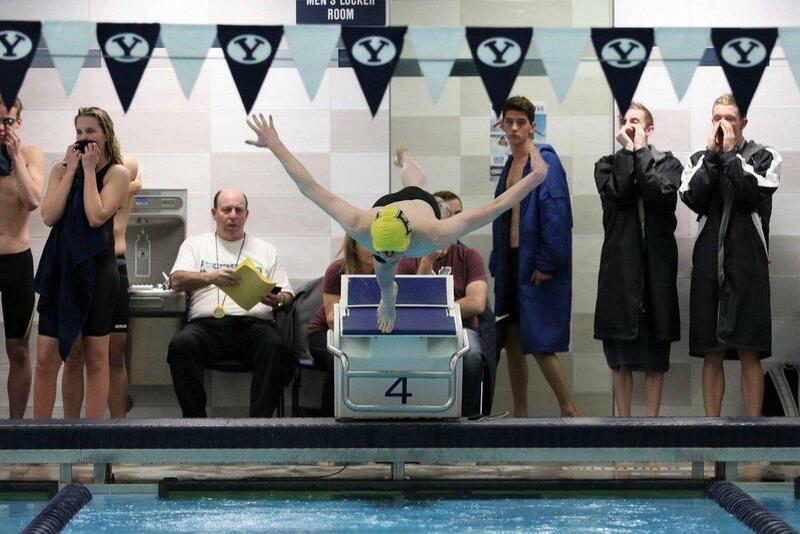 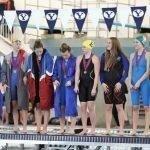 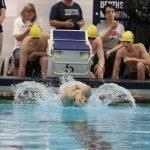 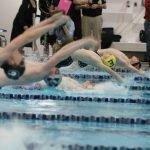 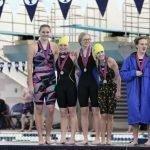 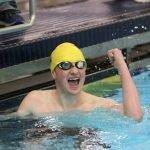 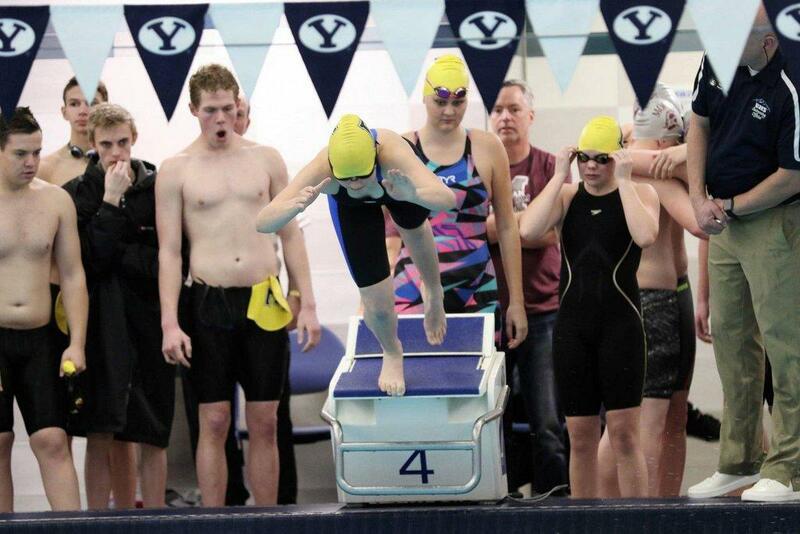 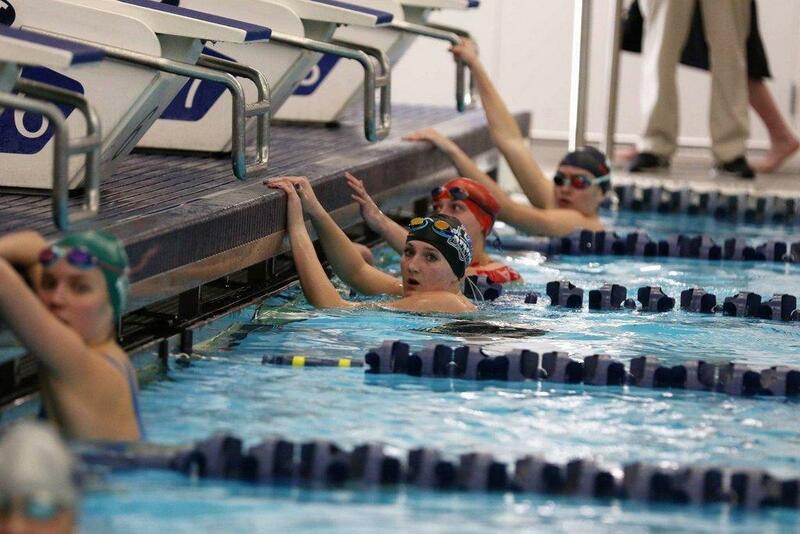 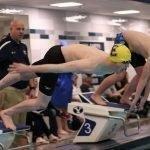 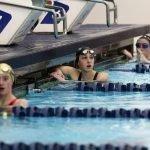 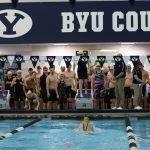 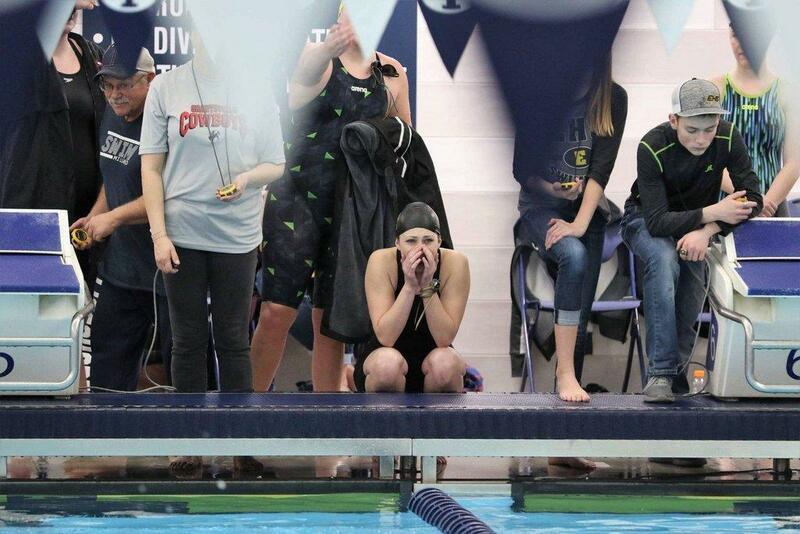 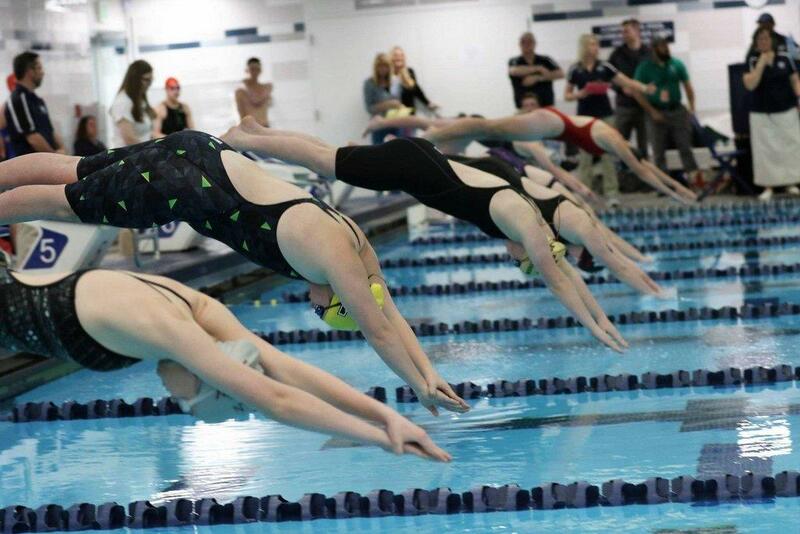 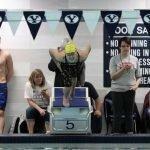 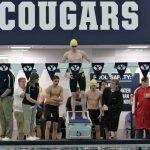 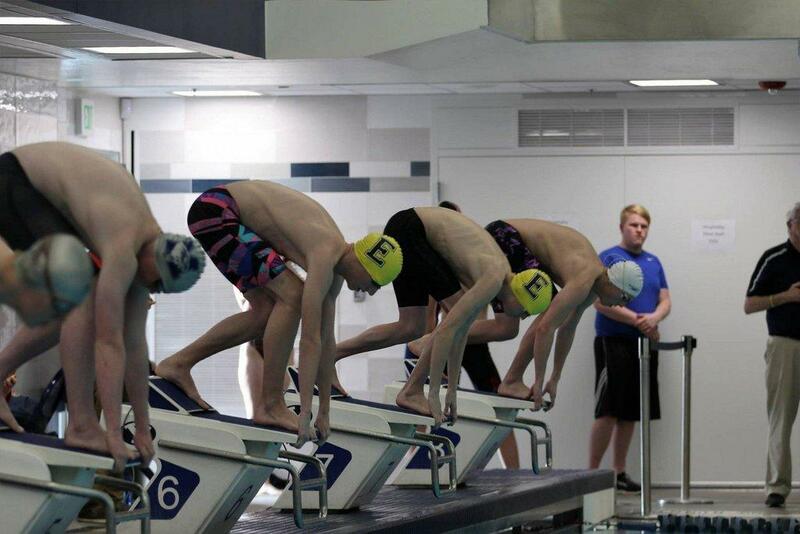 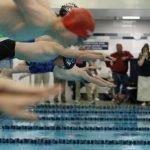 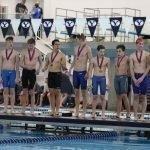 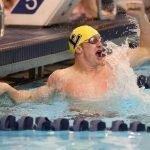 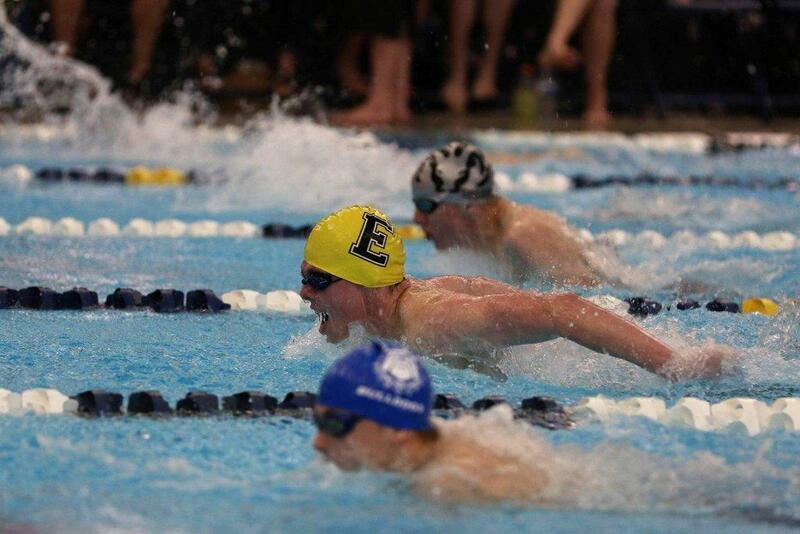 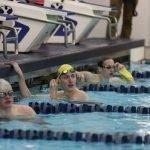 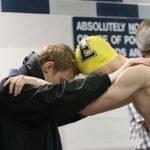 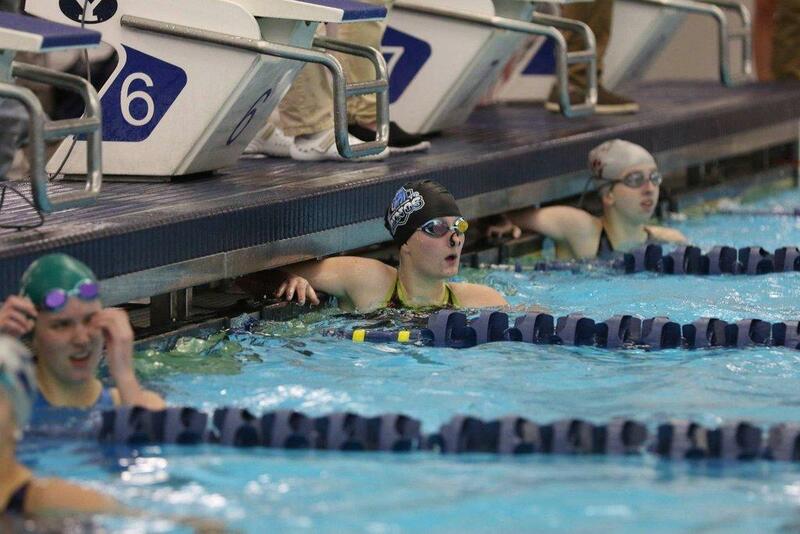 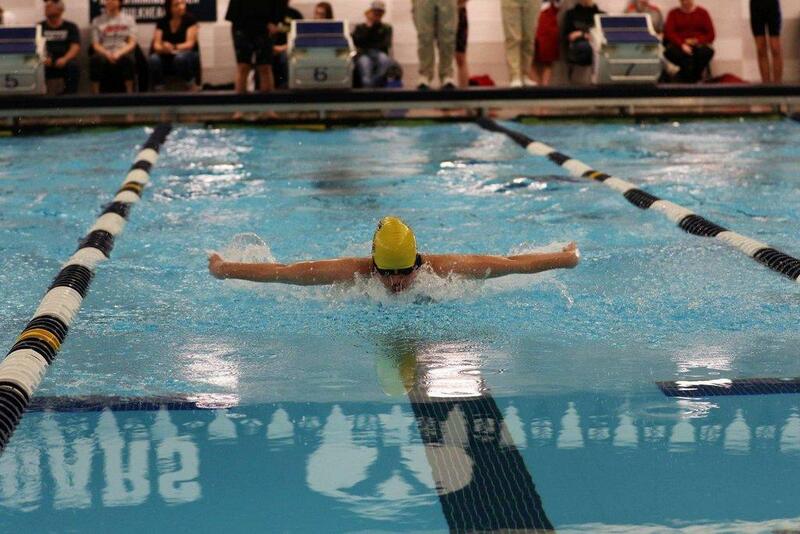 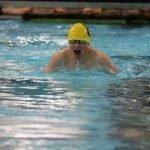 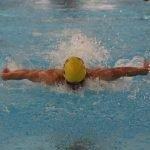 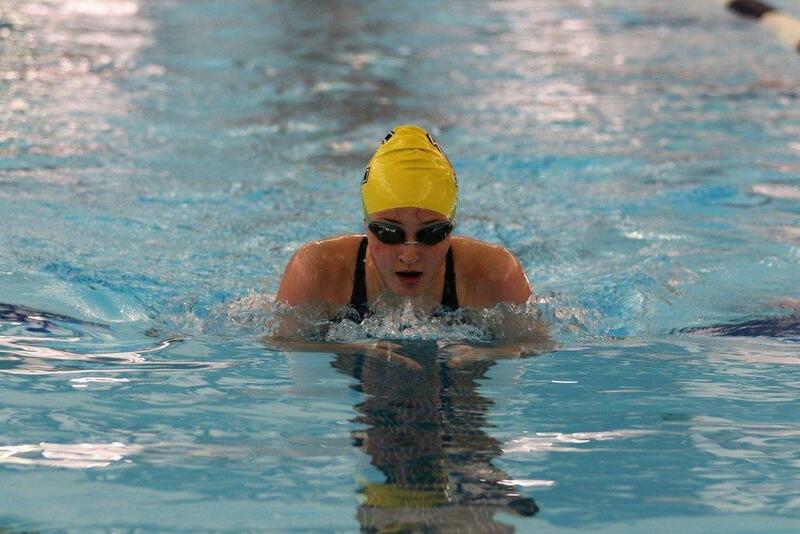 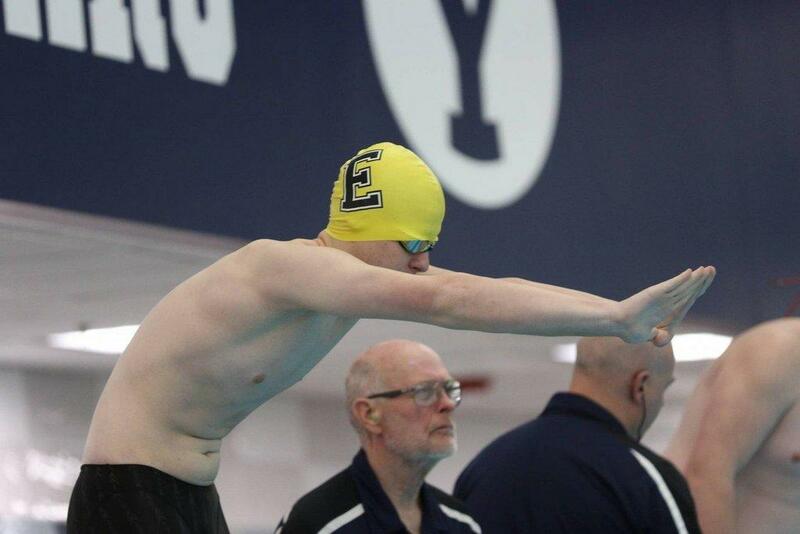 The 3A State Swim competition took place on Thursday at Brigham Young University. 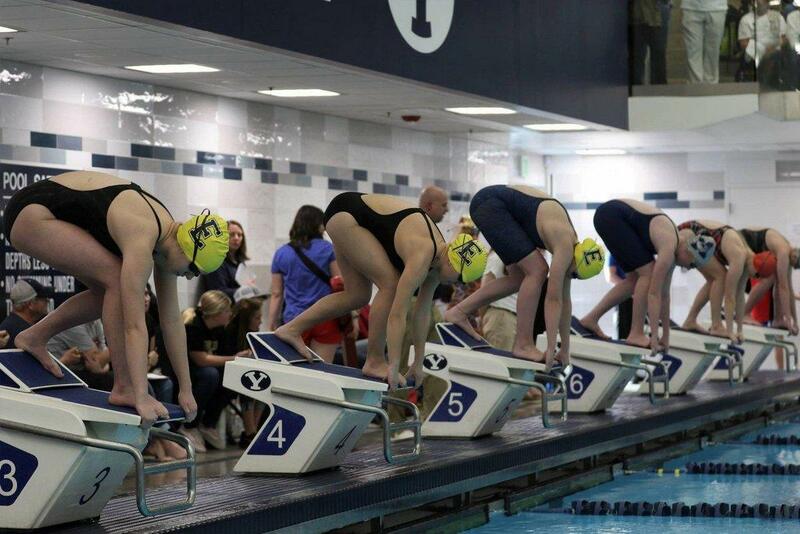 The Lady Spartans started off well and took second place, only 12 hundredths of a second behind Judge Memorial, in the 200 medley relay. 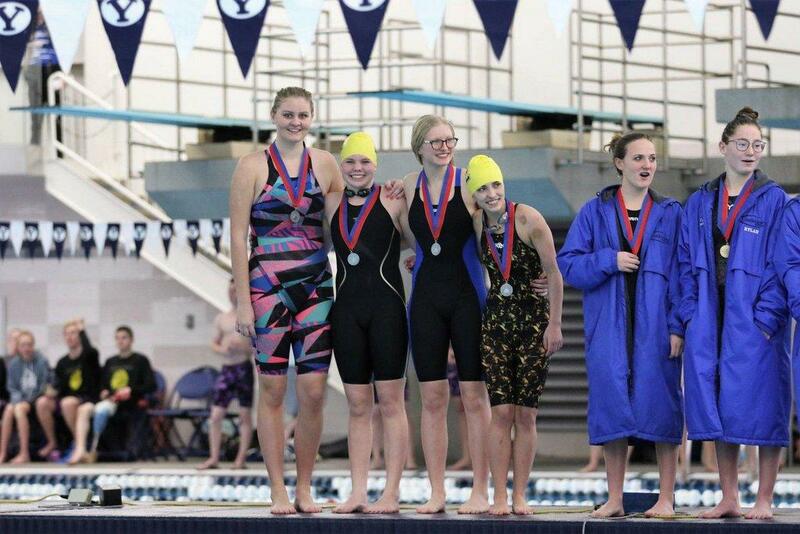 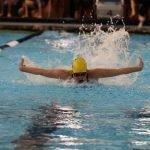 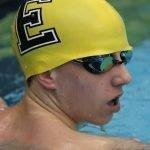 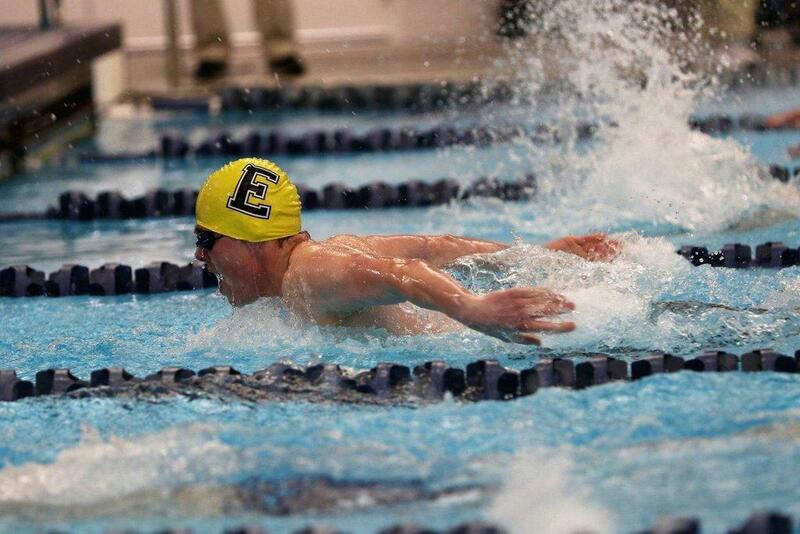 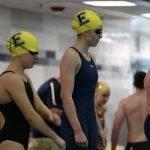 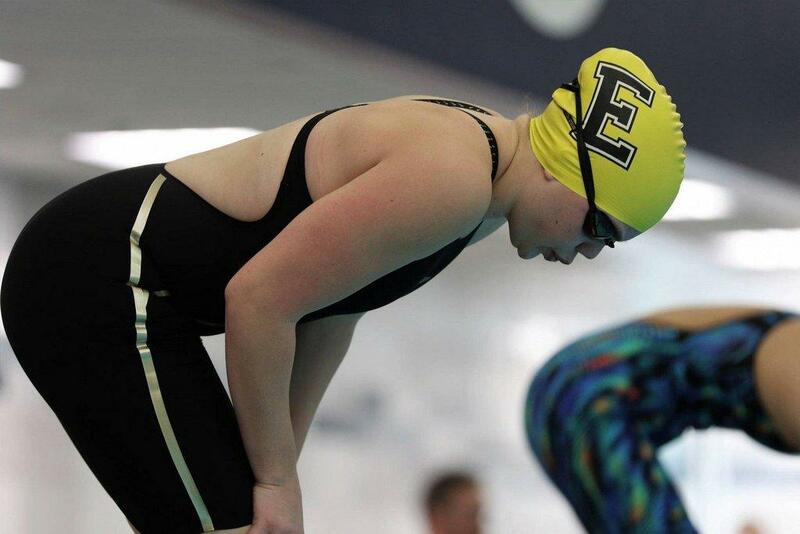 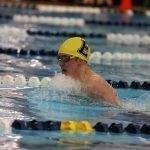 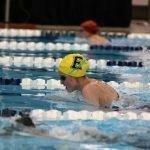 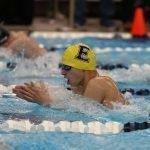 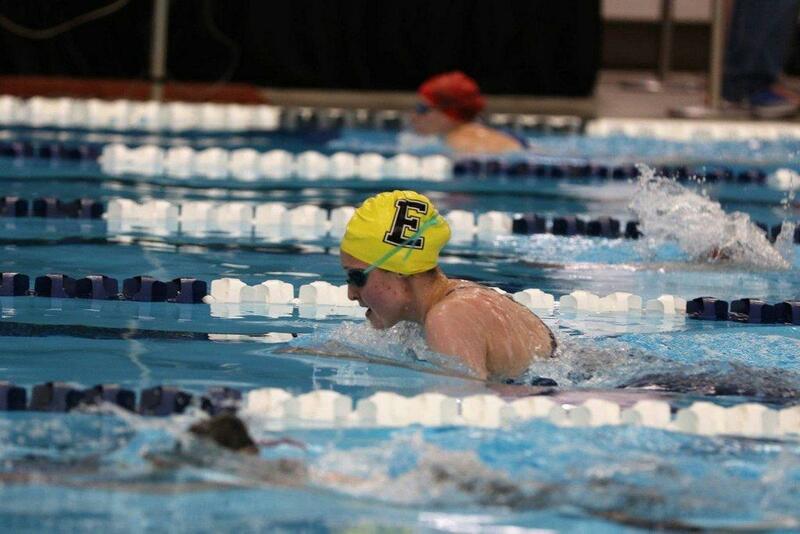 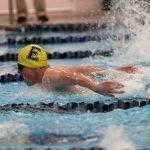 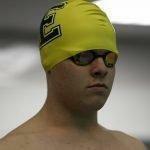 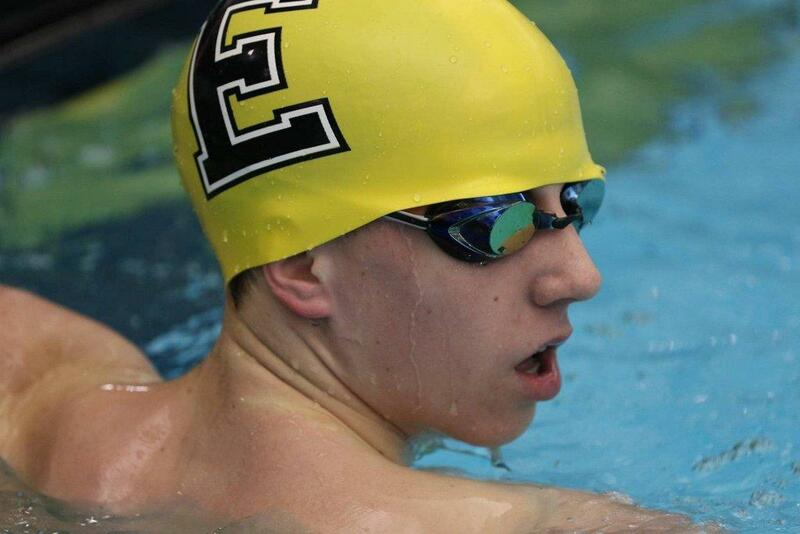 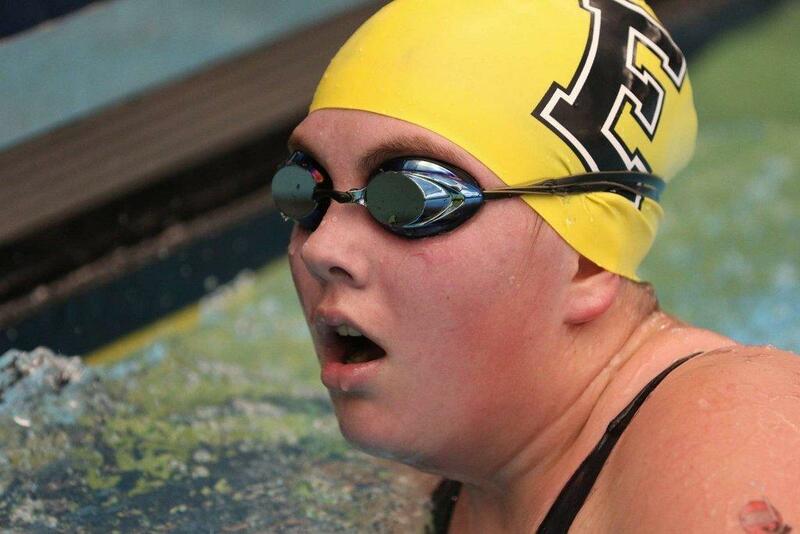 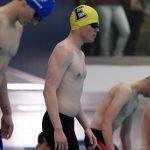 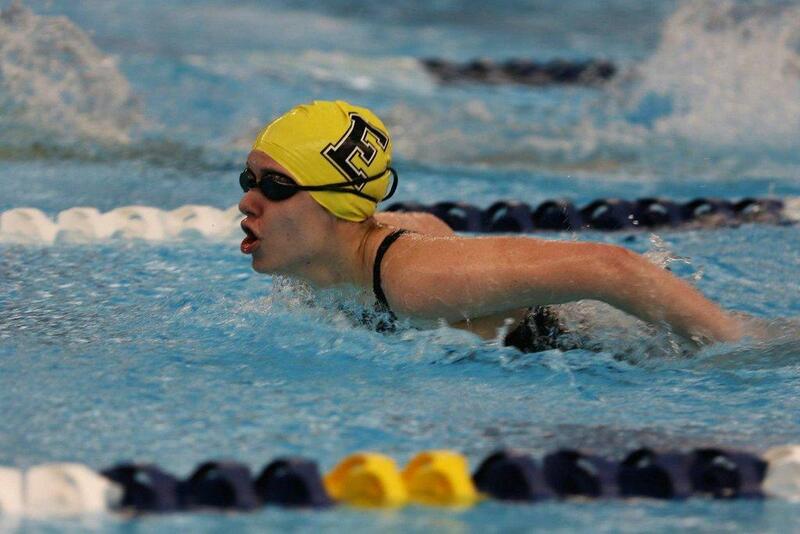 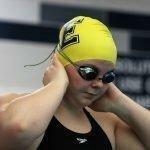 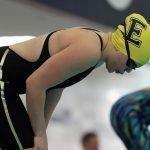 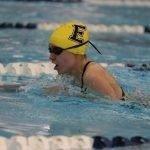 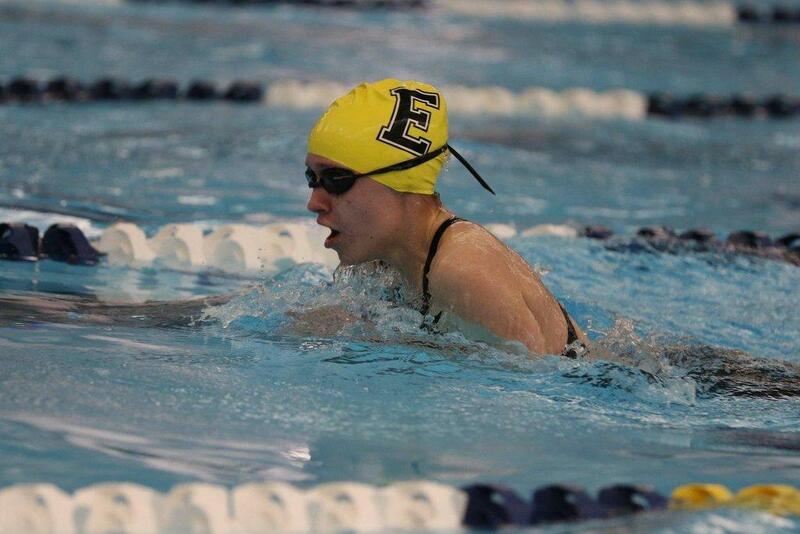 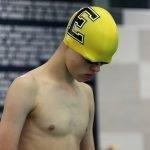 Emery then finished fourth in the 200 free relay and fifth in the 400 free, just behind Carbon in both races. 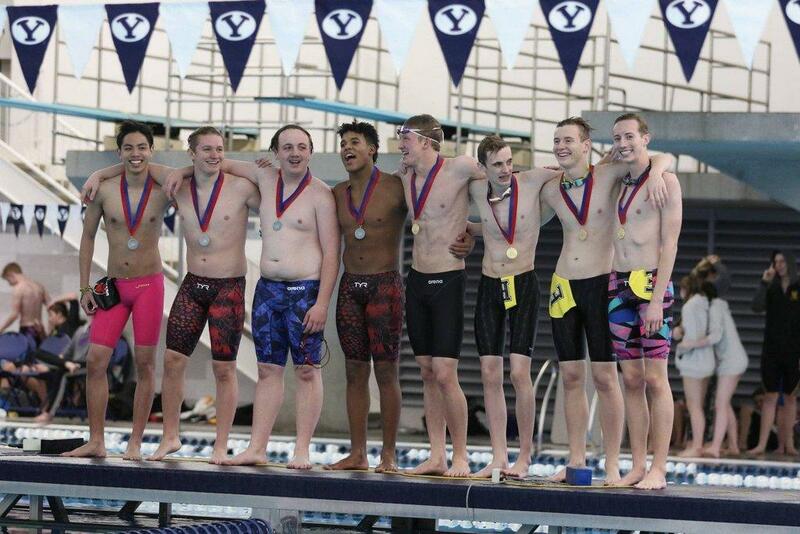 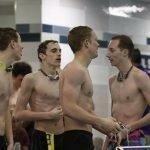 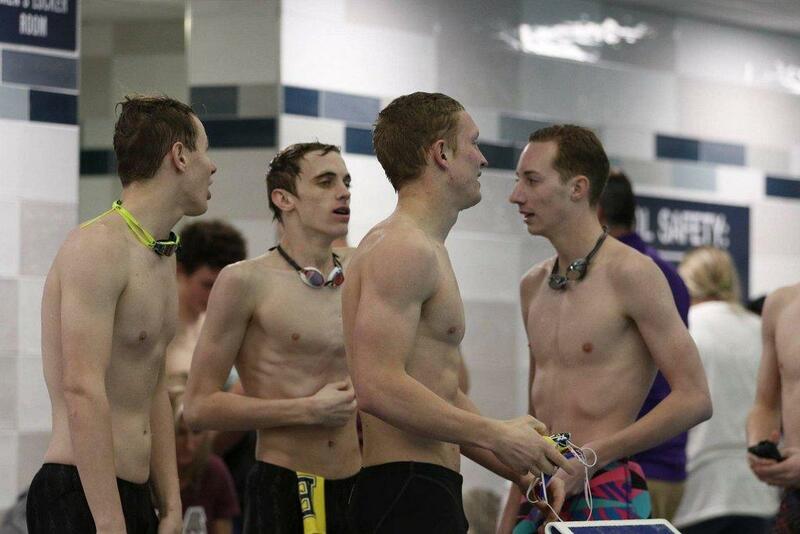 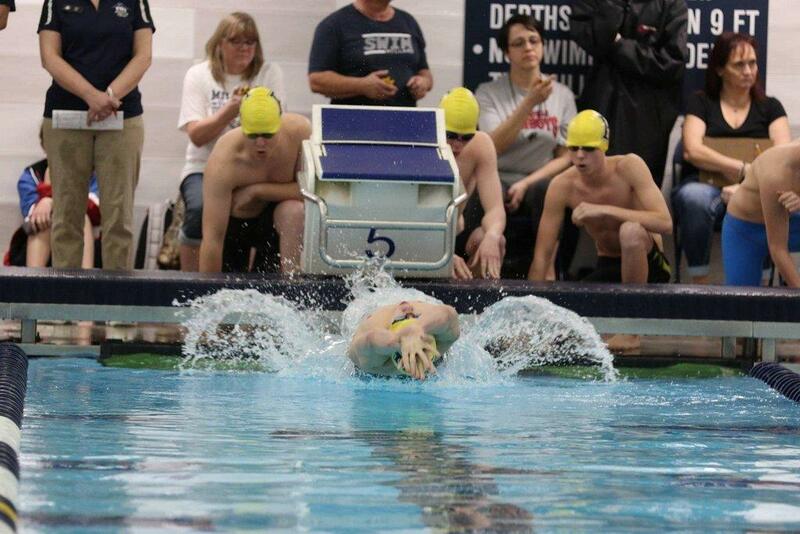 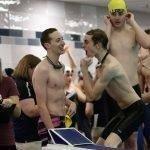 The boys’ relay team took first in the 200 free and 400 free relays, edging out Grand in both events. 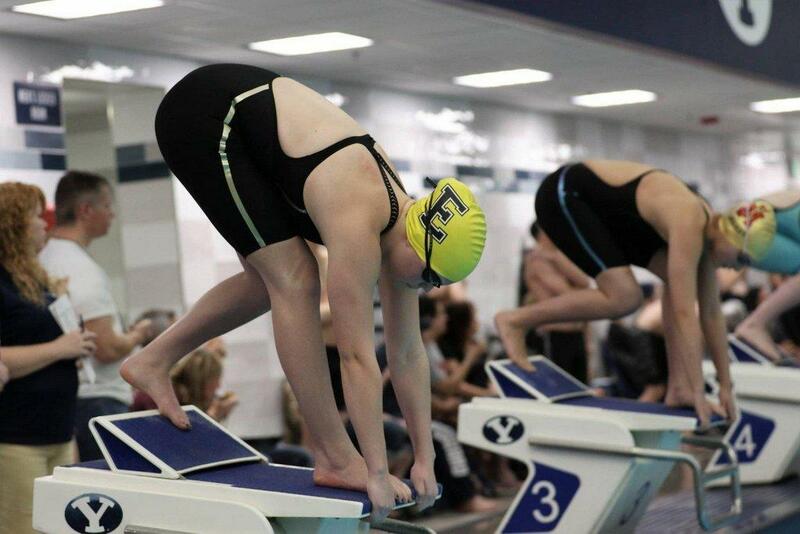 Haley Guymon placed second in the 100 breast and third in the 200 IM while Alexis Johansen finished fourth in the 200 free. 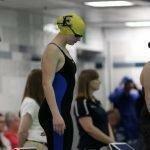 Kaelee Hooley finished just behind Carbon’s Megan Swasey for a fourth place finish in the 50 free. 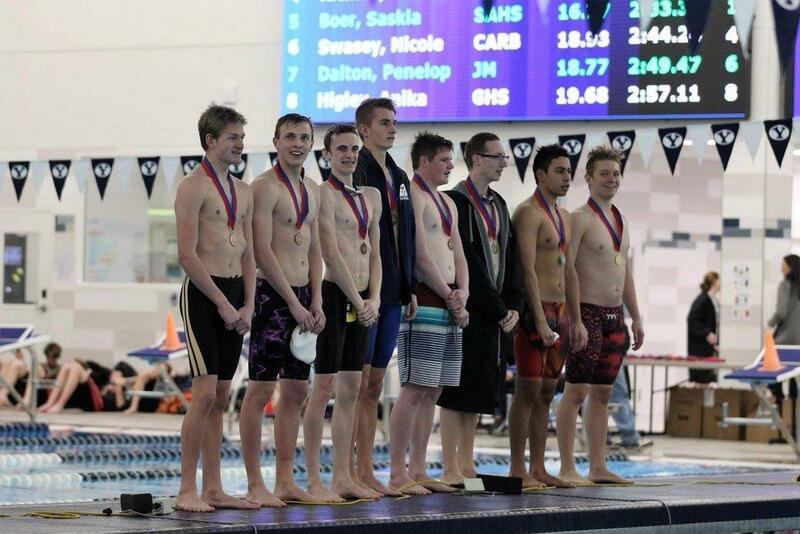 Hooley again took fourth in the 100 free. 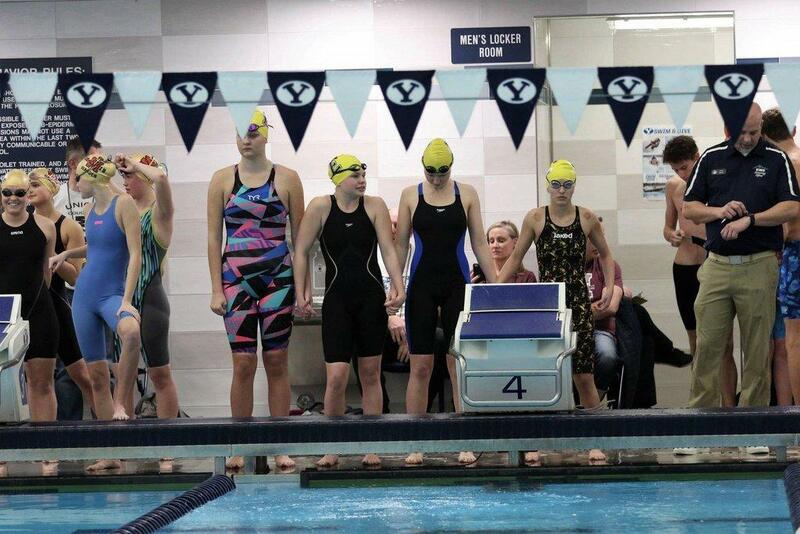 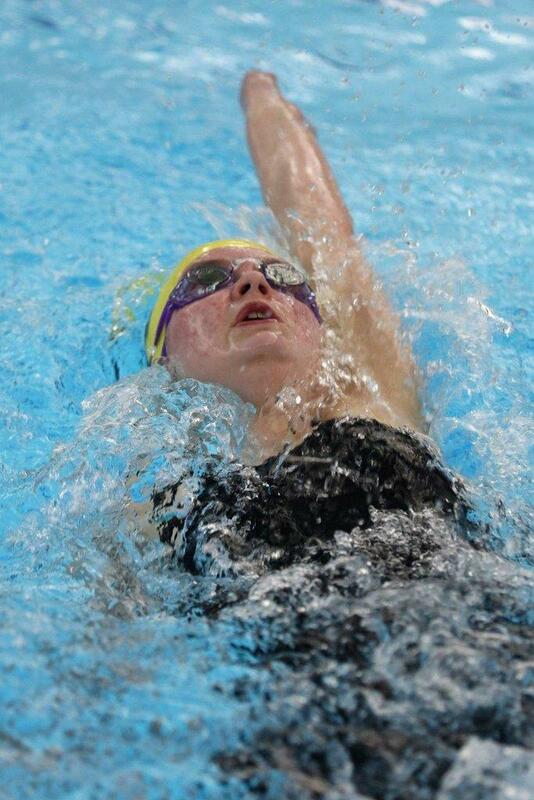 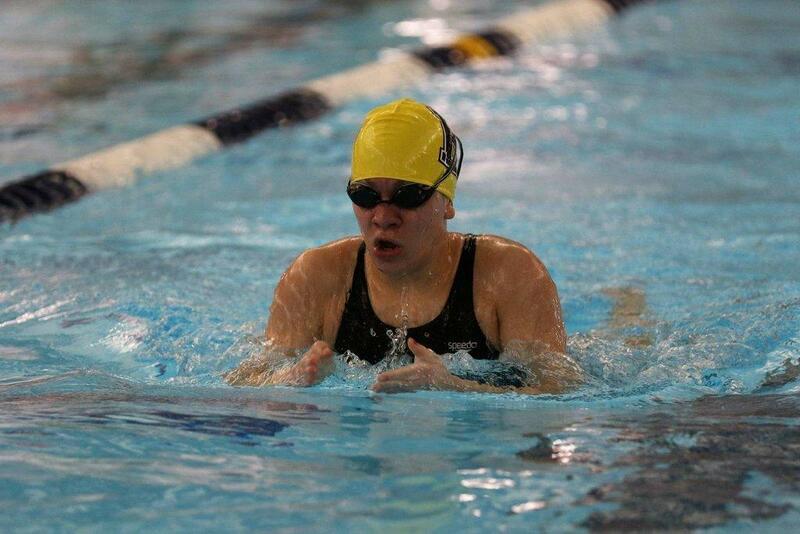 Sydney Terwilleger ended in seventh place in the 100 back. 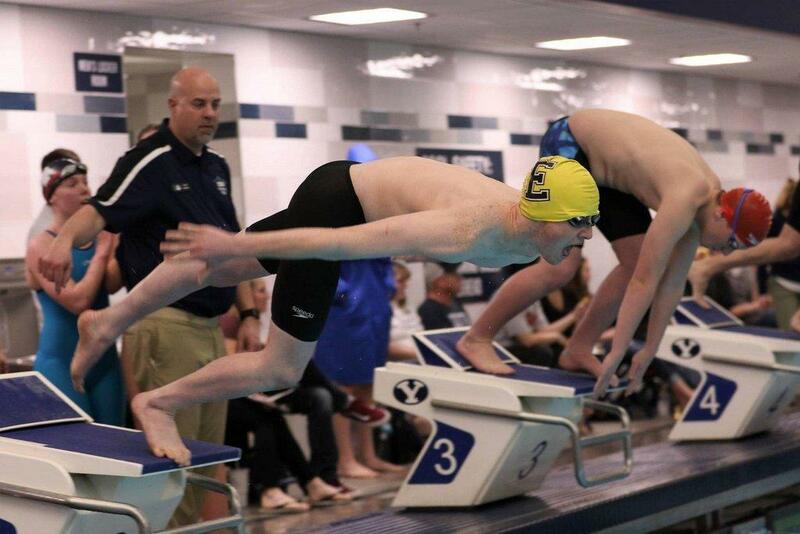 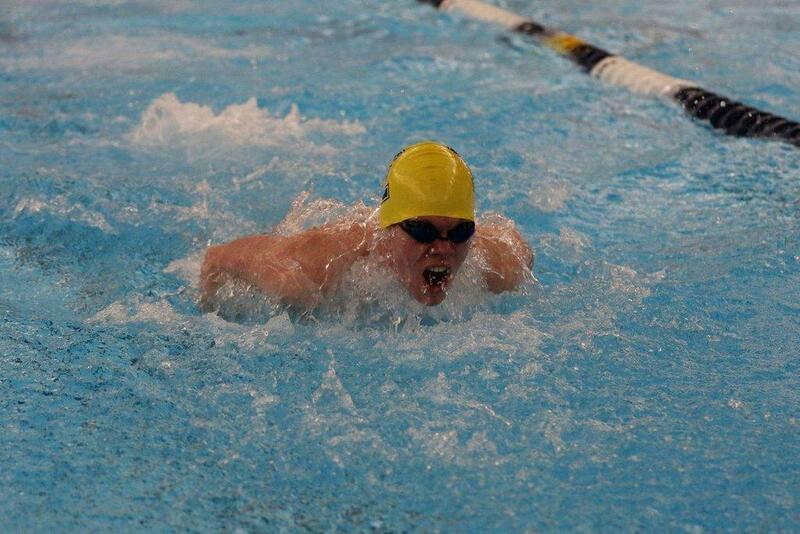 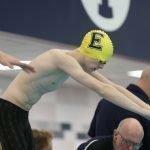 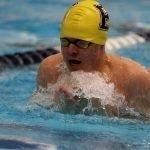 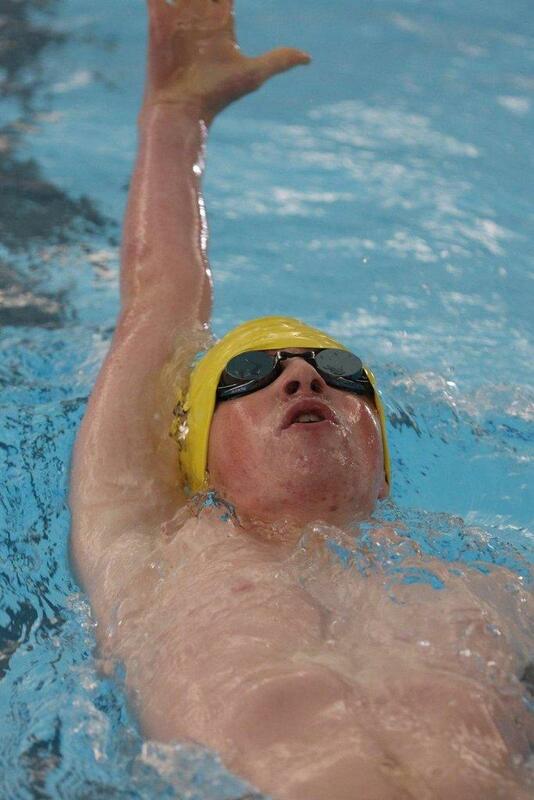 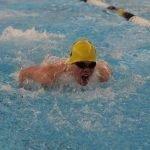 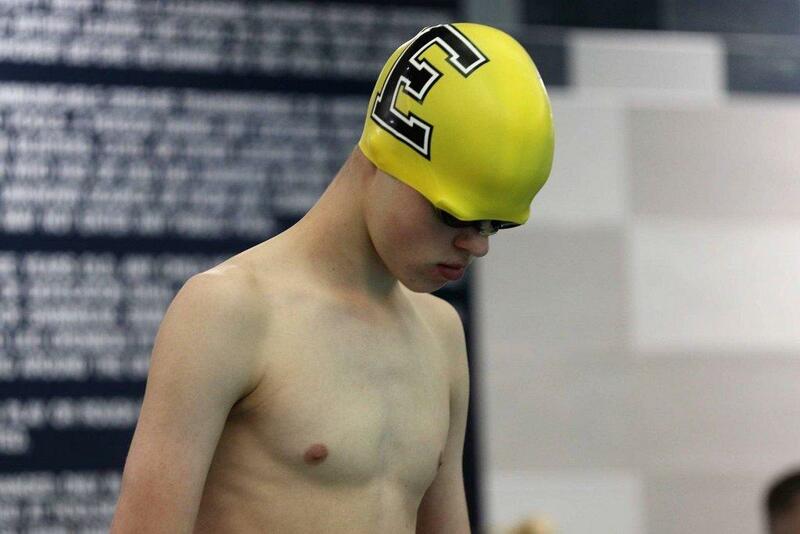 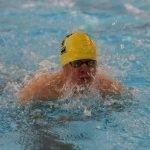 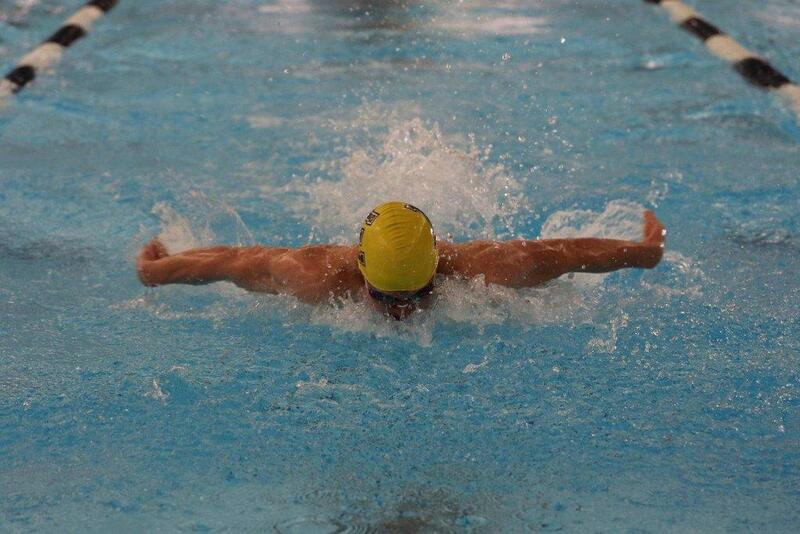 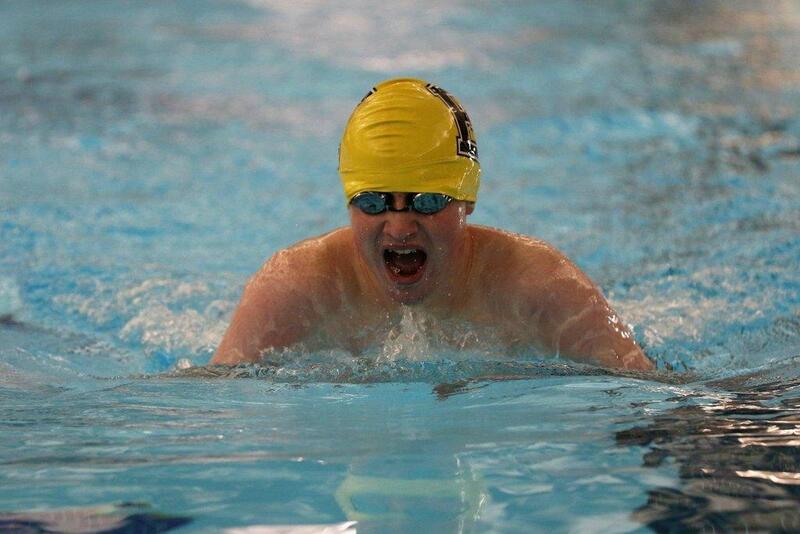 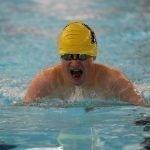 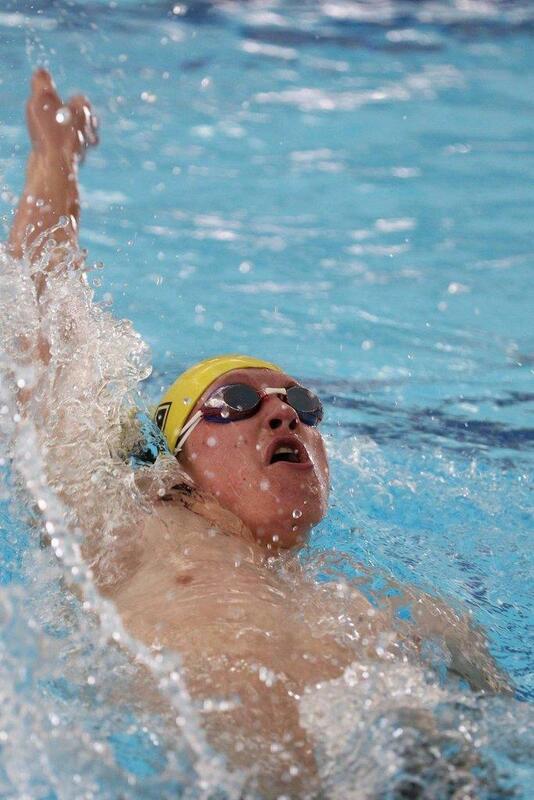 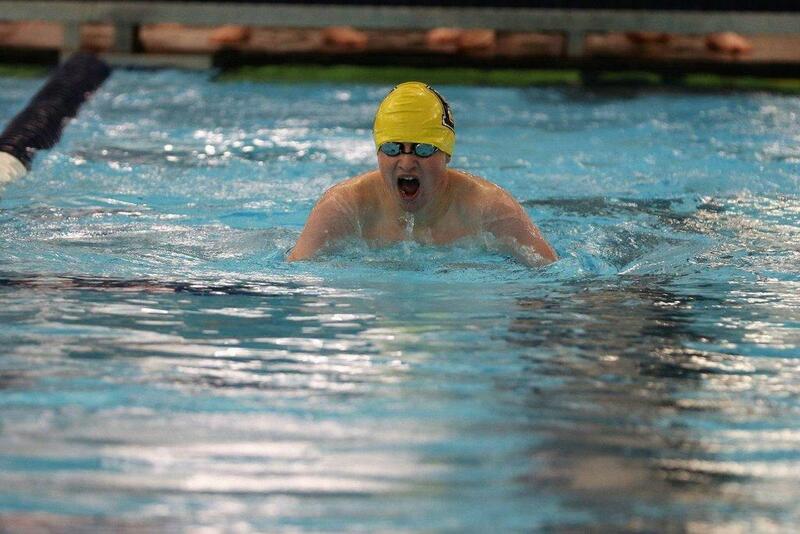 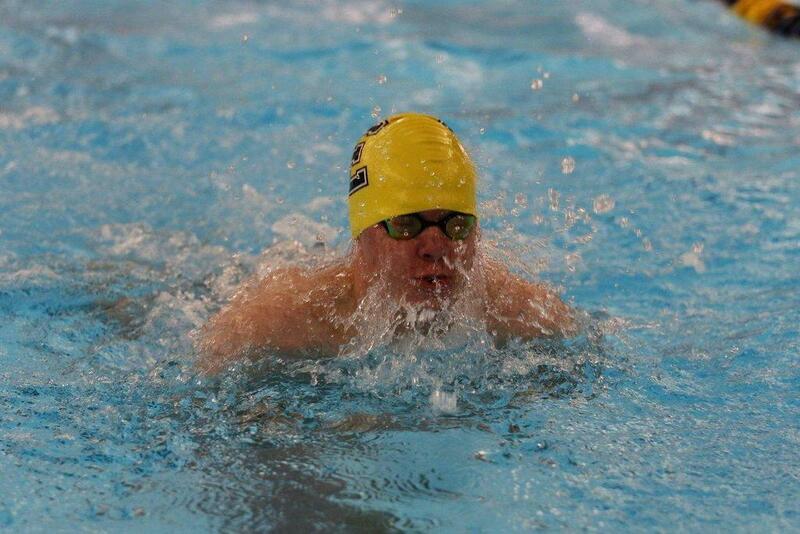 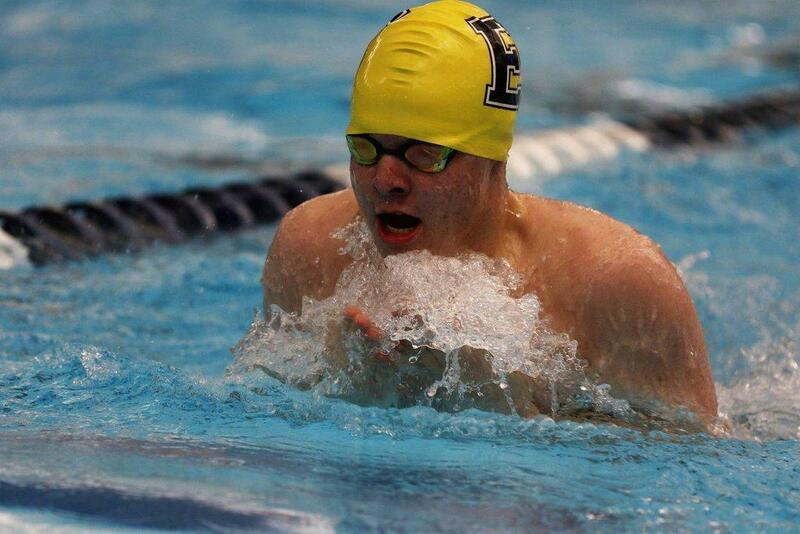 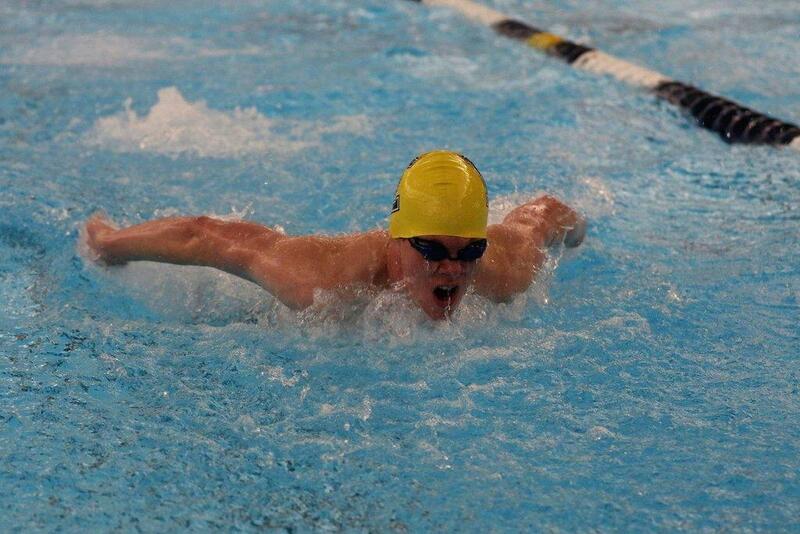 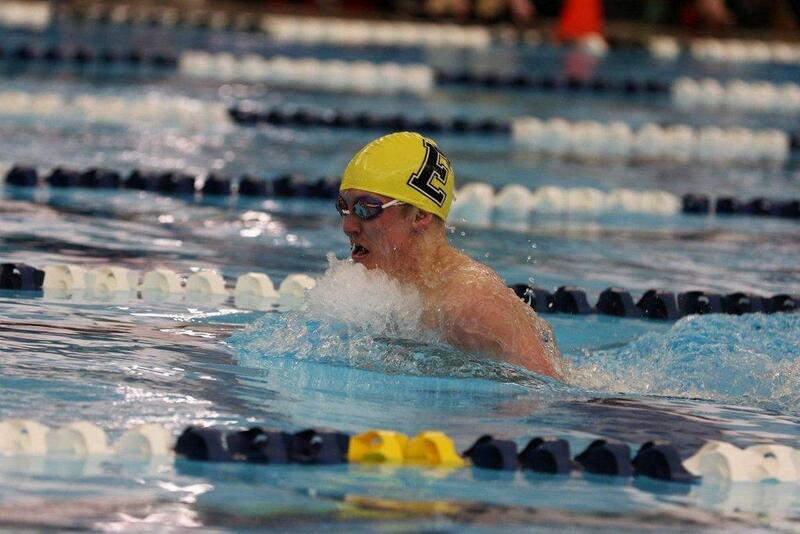 Keldan Guymon blew out his competition in the 200 IM and won by over seven seconds. 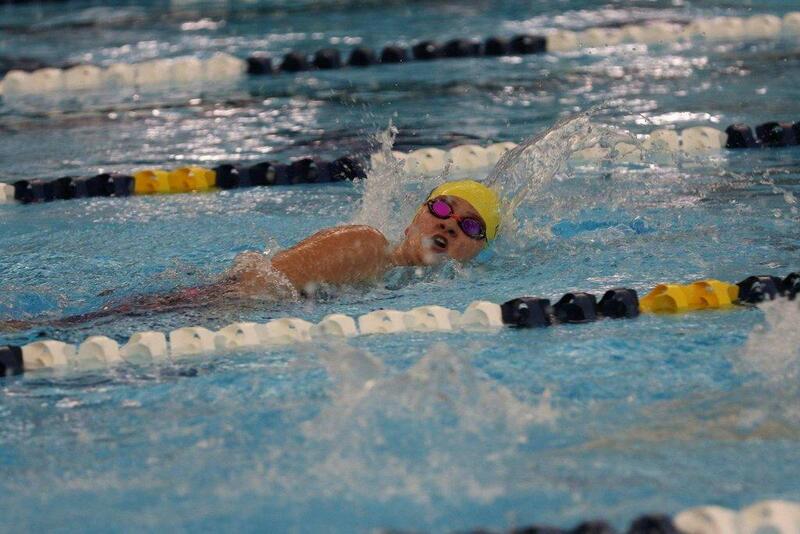 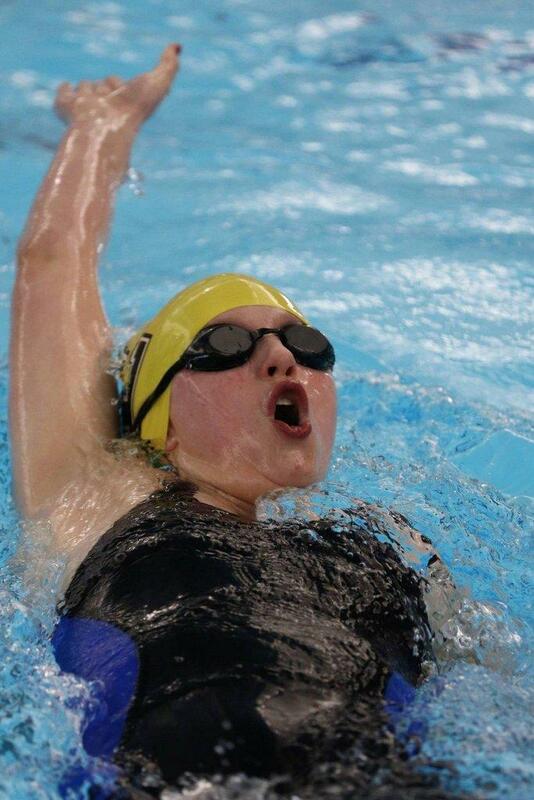 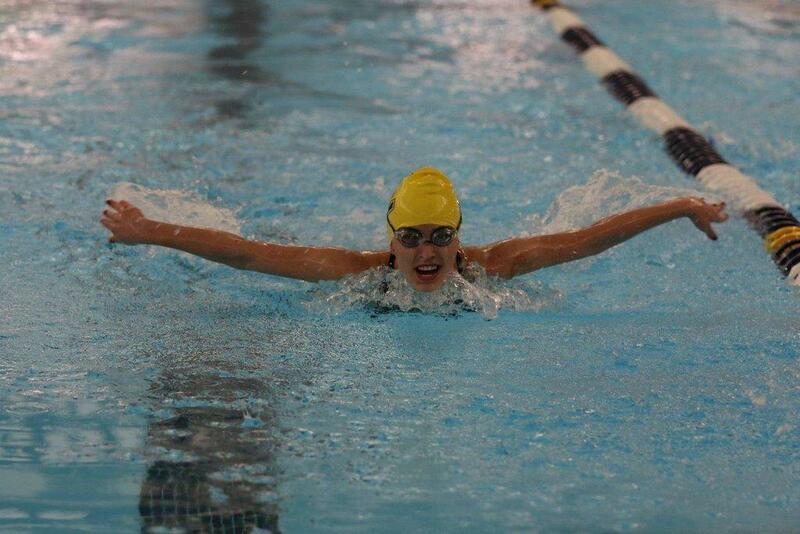 Before the day was over, Keldan would again take first place with a successful bout in the 100 breast. 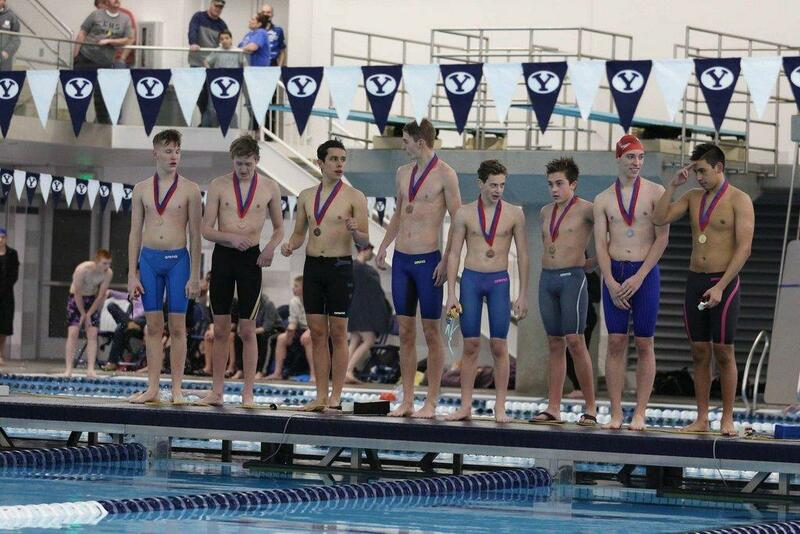 Degan Minchey placed second in the 100 back and third in the 200 free. 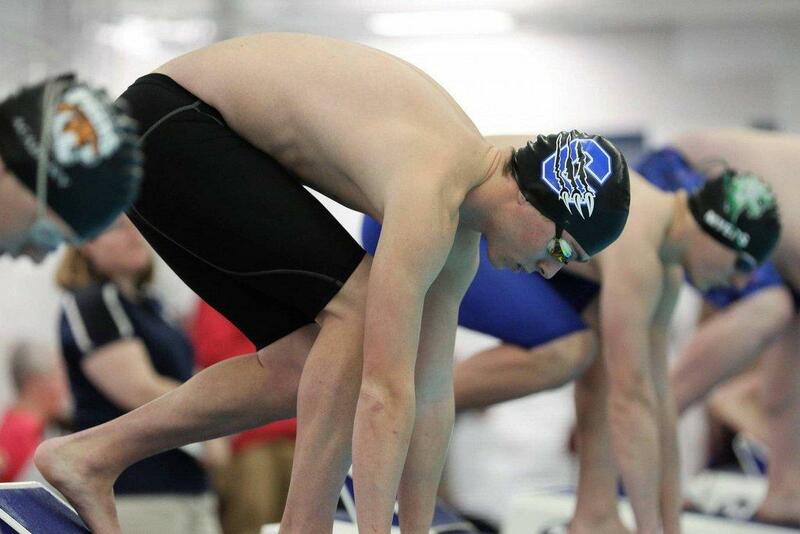 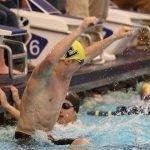 Parker Stilson followed Minchey with a fifth place finish in the 100 back and a sixth place finish in the 200 free. 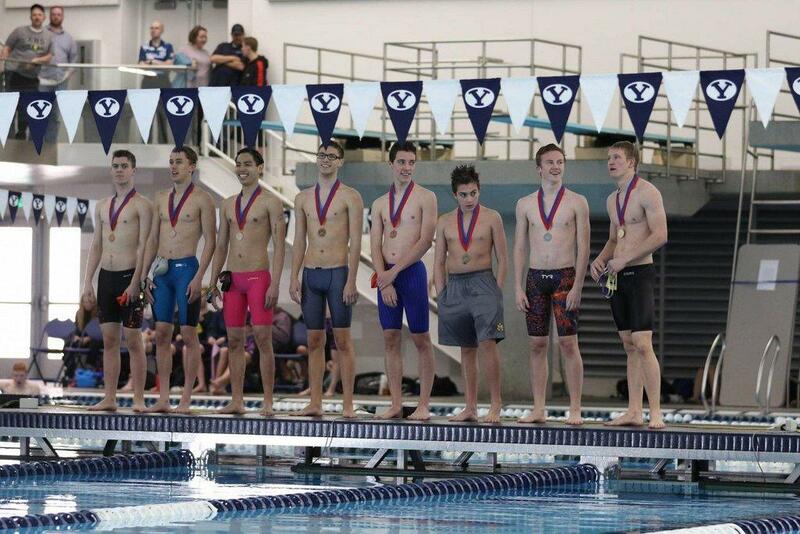 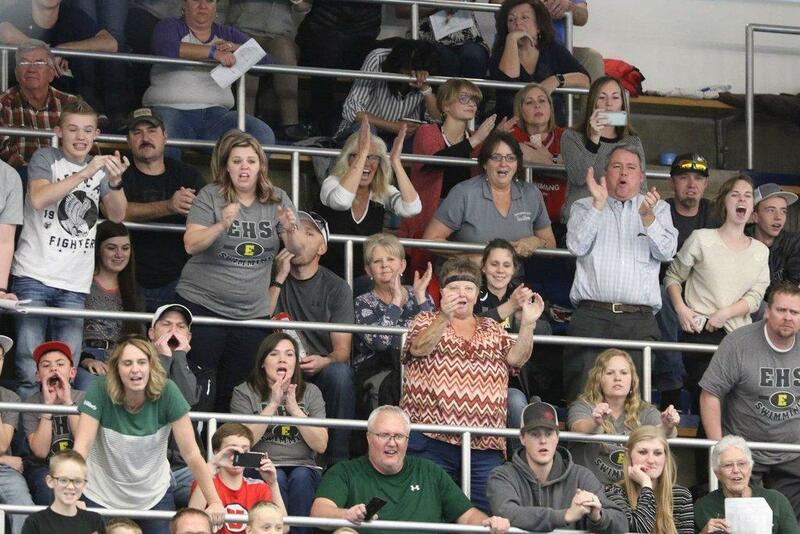 The state competition could not have been closer. 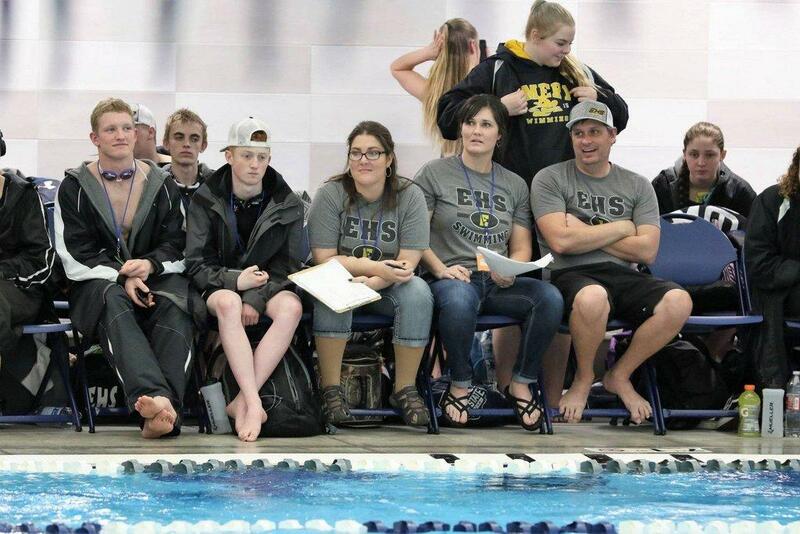 The Emery boys’ team finished second in state, just eight points behind Grand. 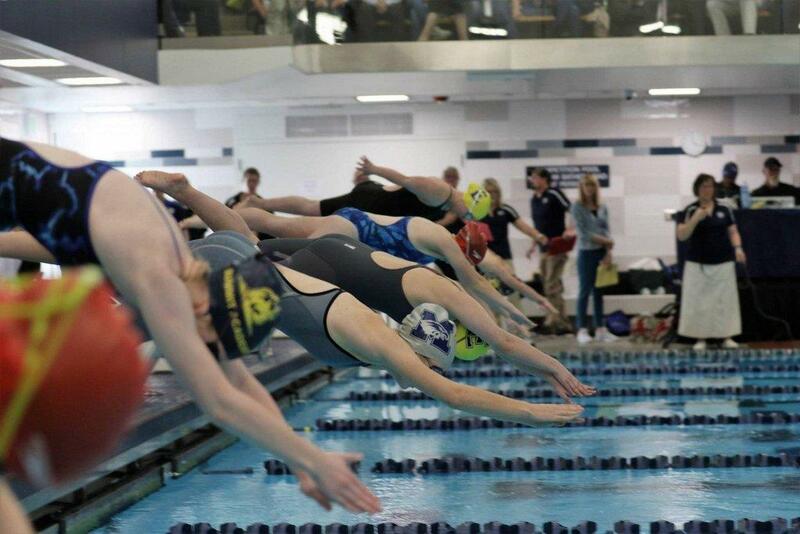 Carbon took the girls’ division by one point over Rowland Hall while the Lady Spartans finished fourth. 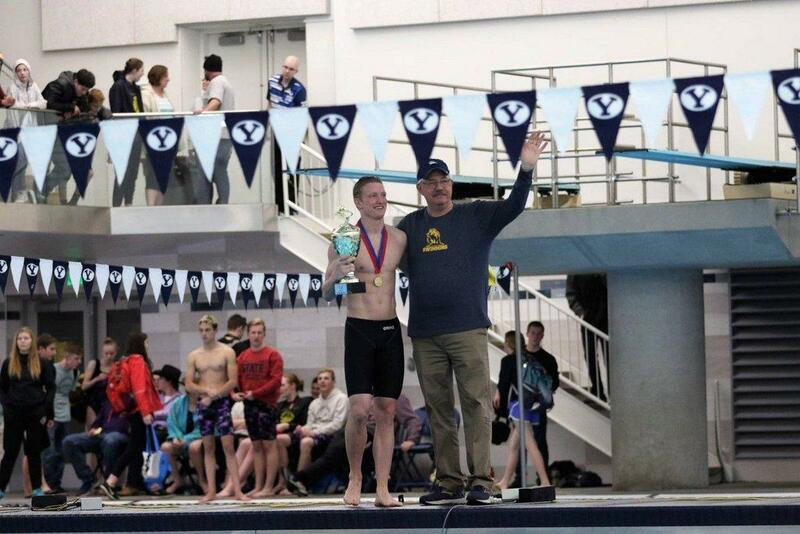 Also at the competition, Keldan Guymon was awarded as the 3A Swimmer of the Year. 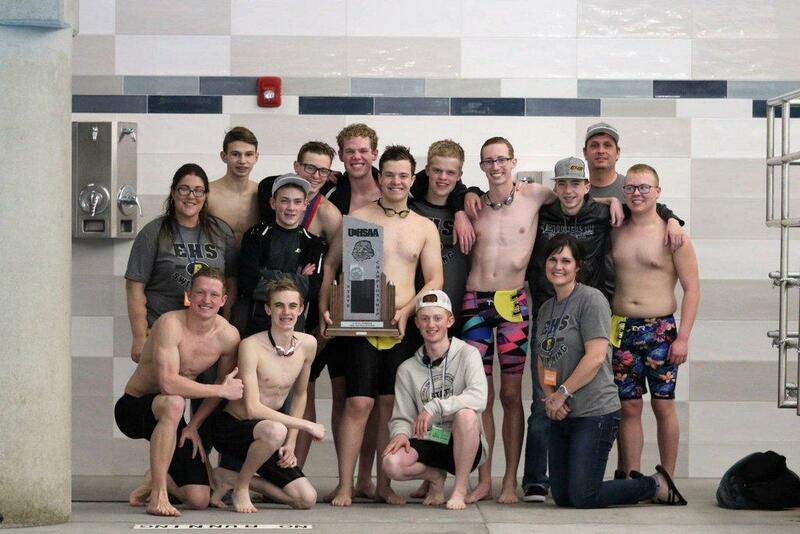 Congratulations to the Emery Swim team for their great accomplishments throughout the year!